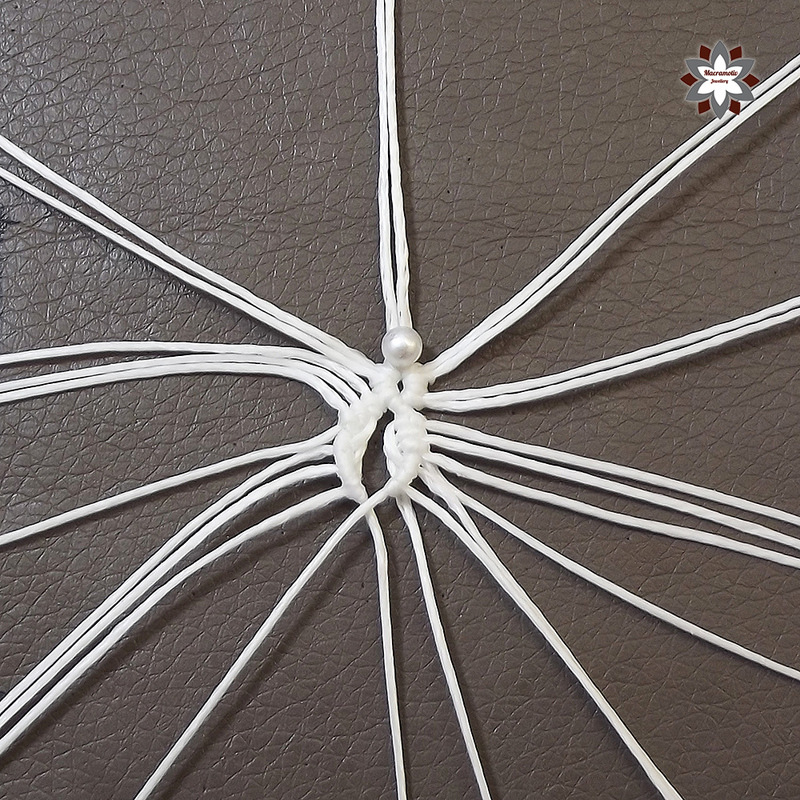 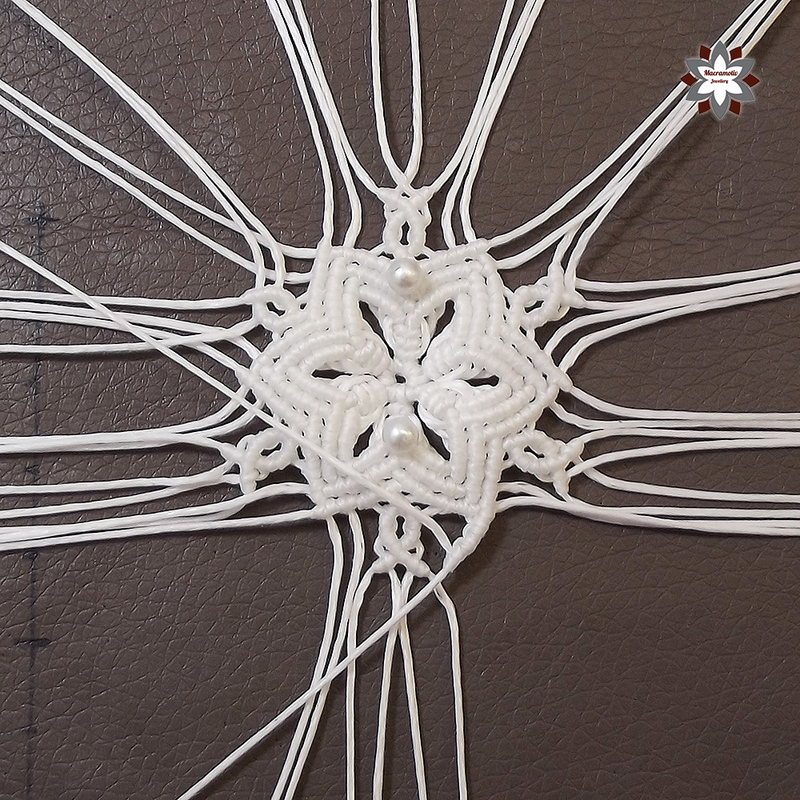 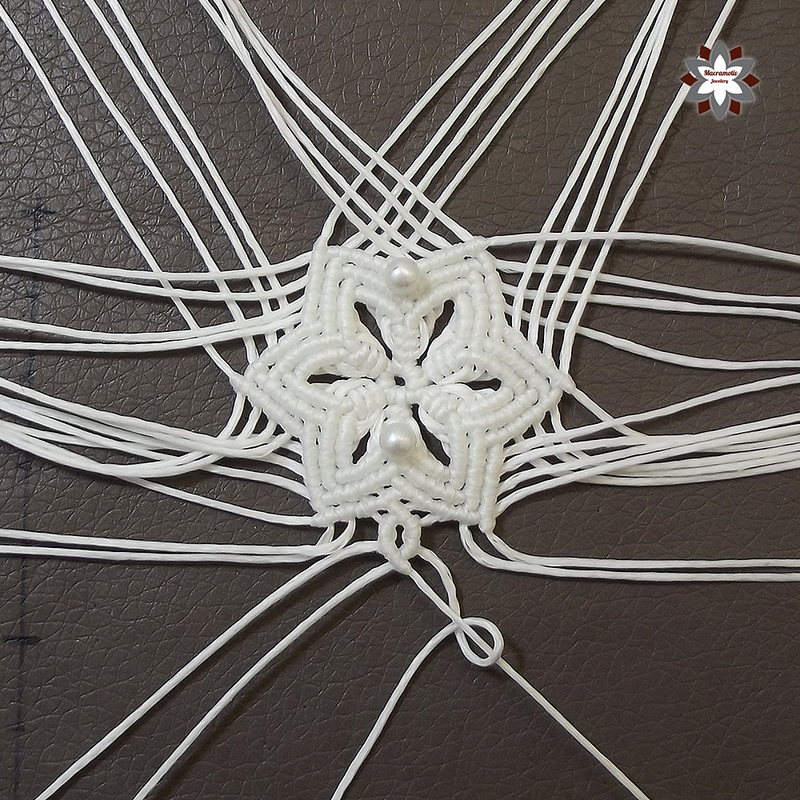 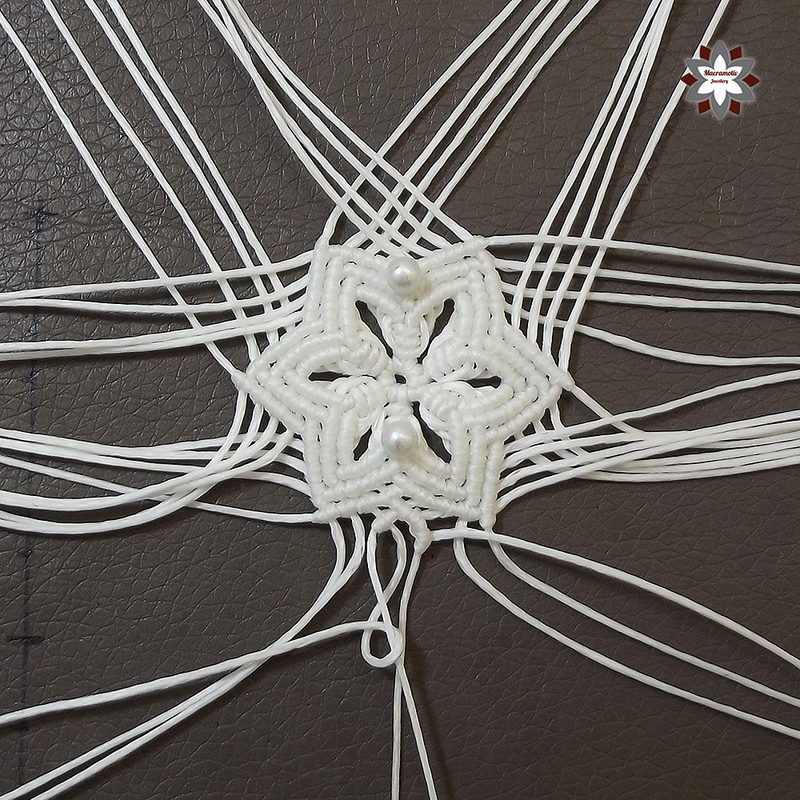 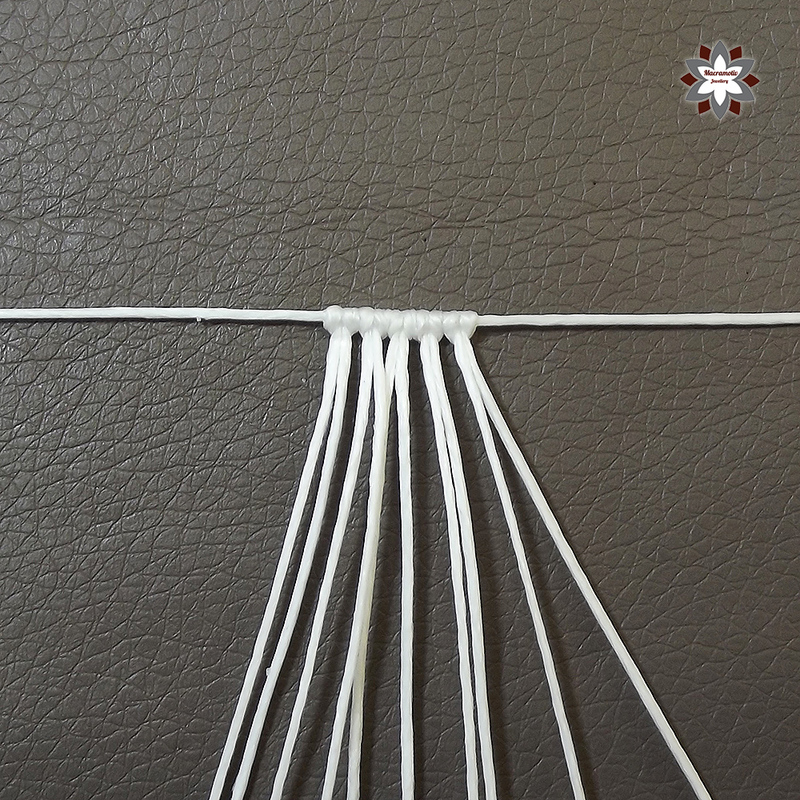 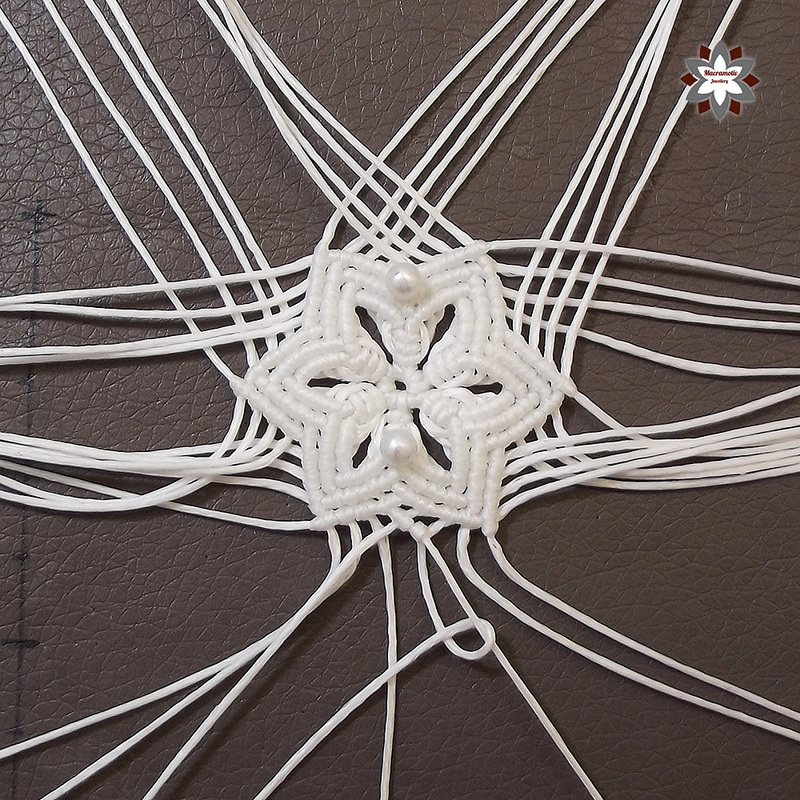 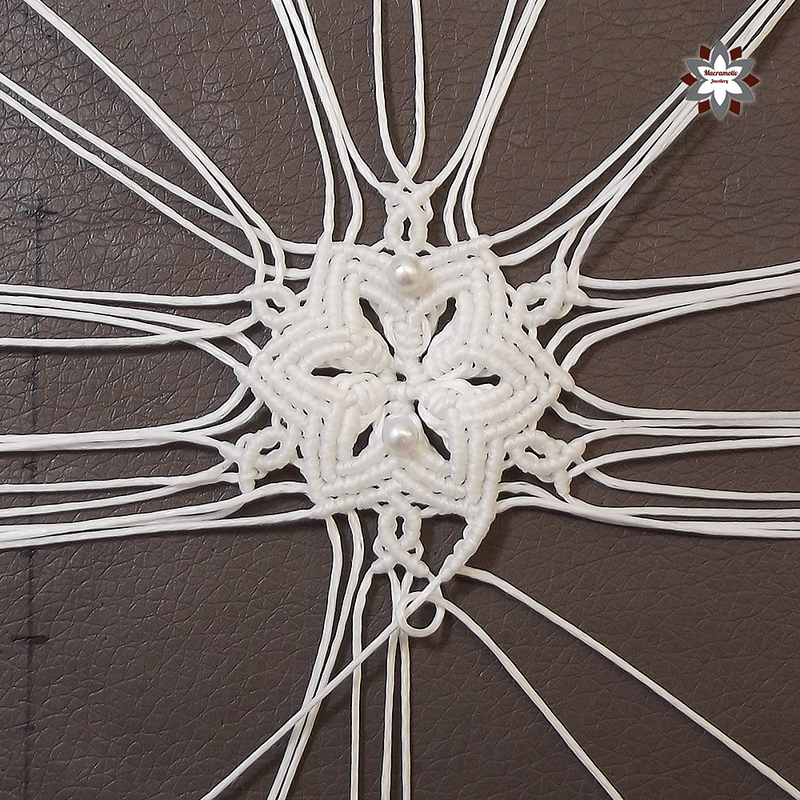 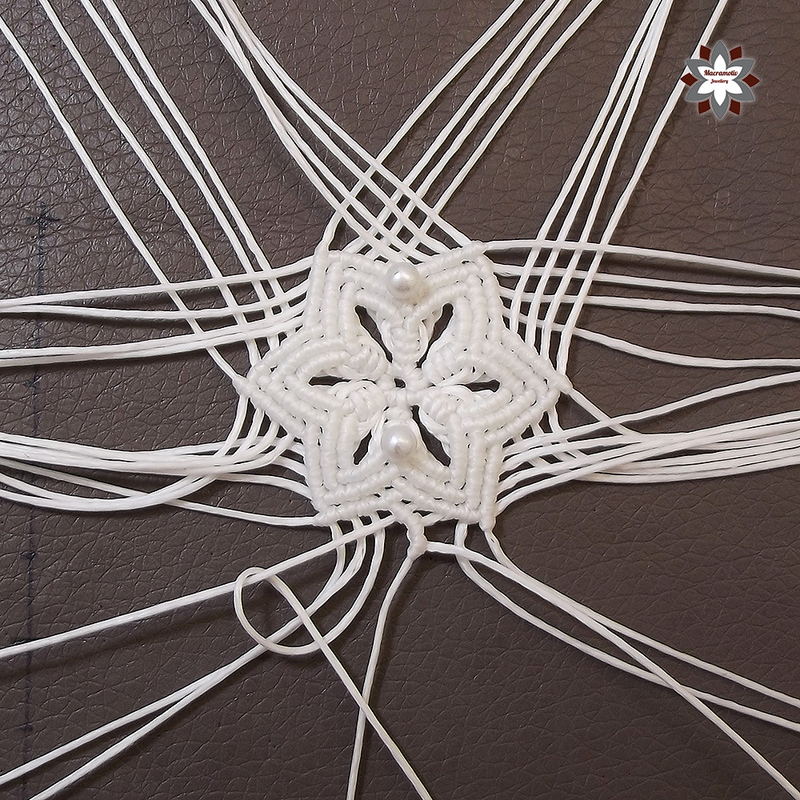 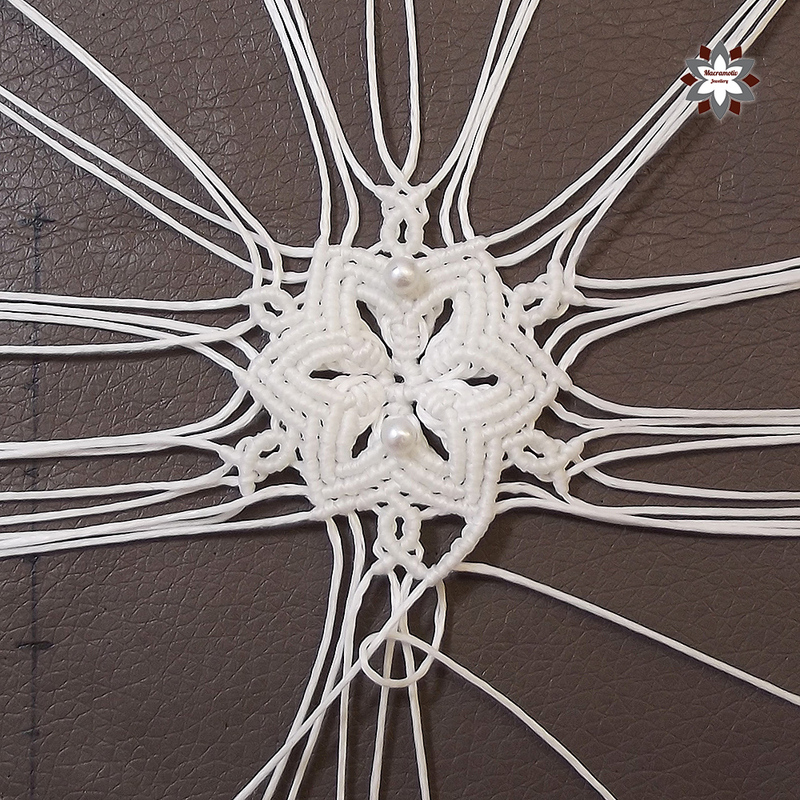 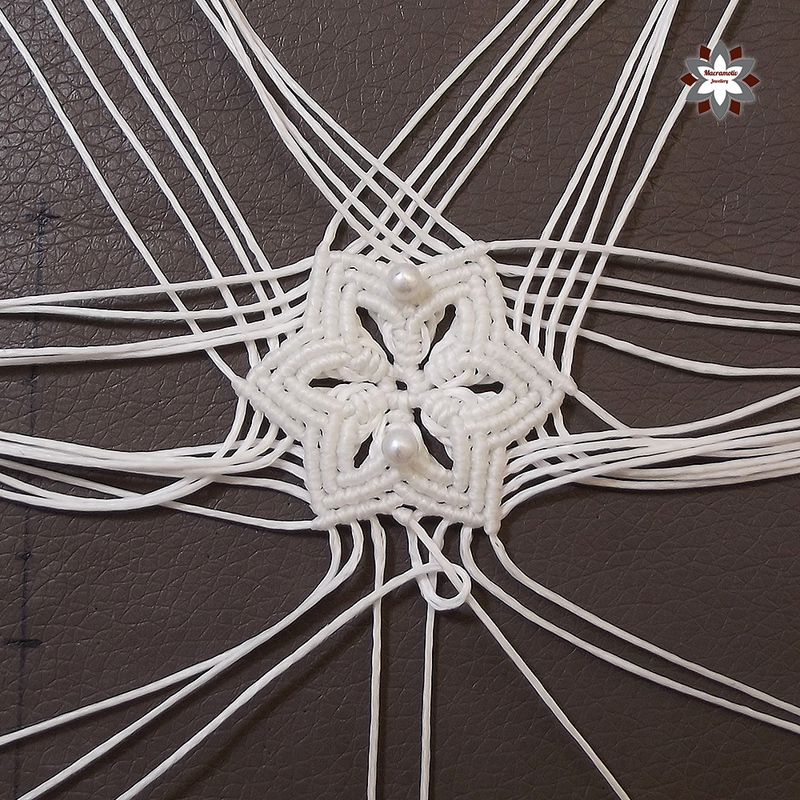 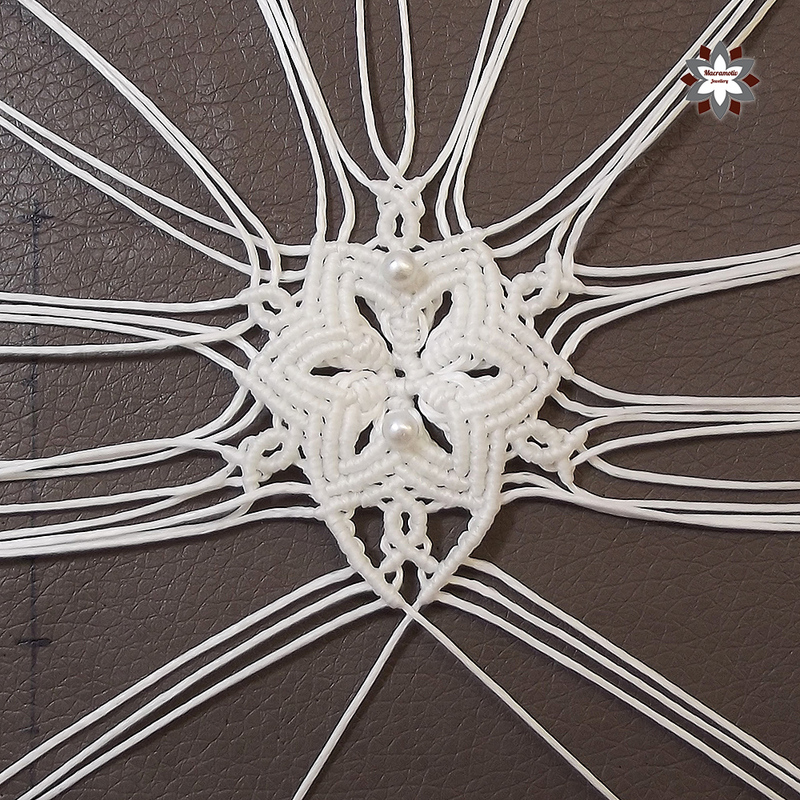 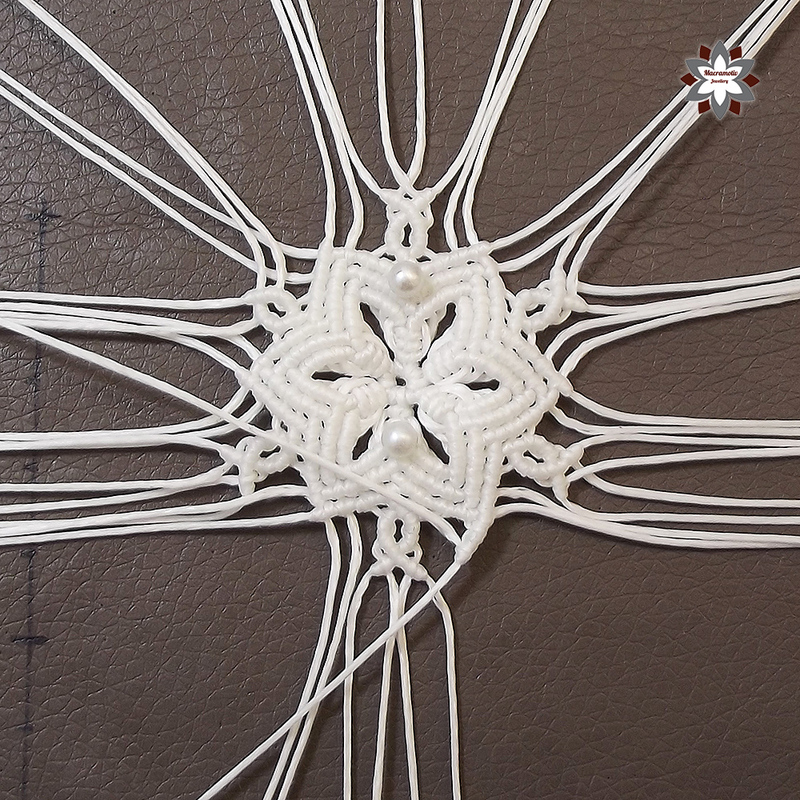 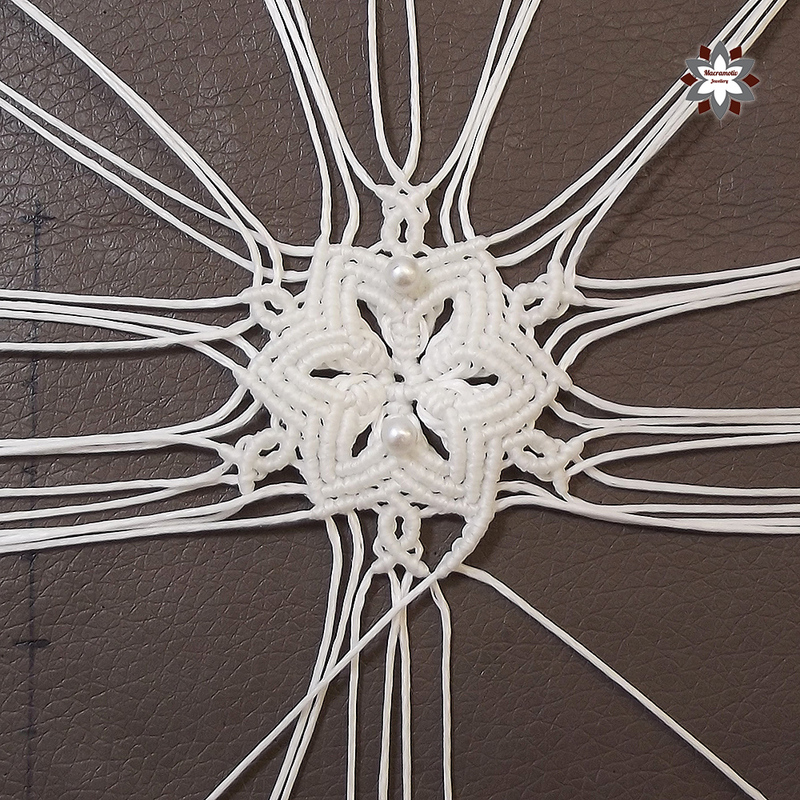 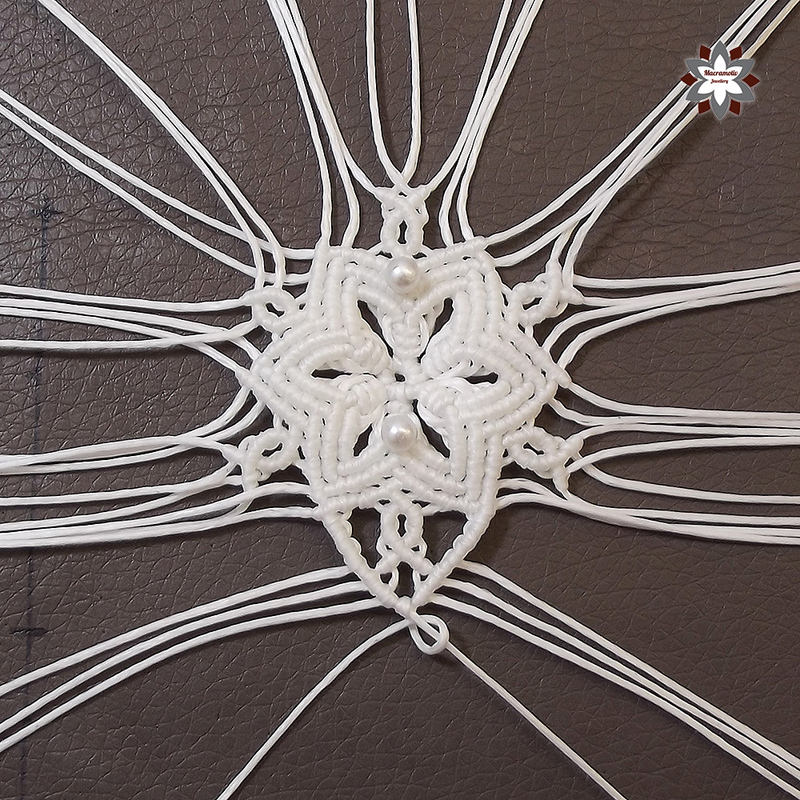 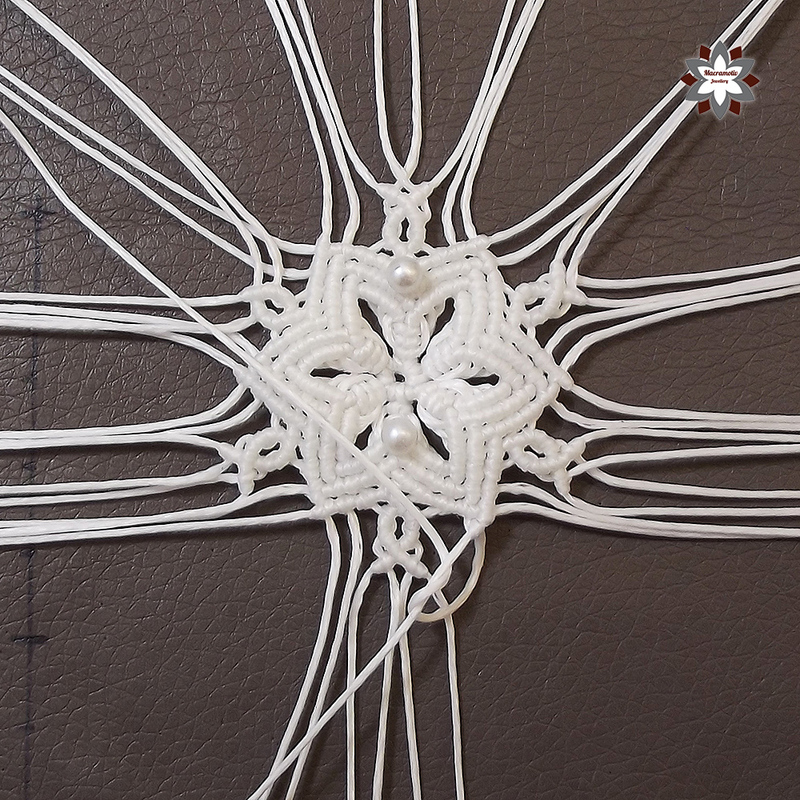 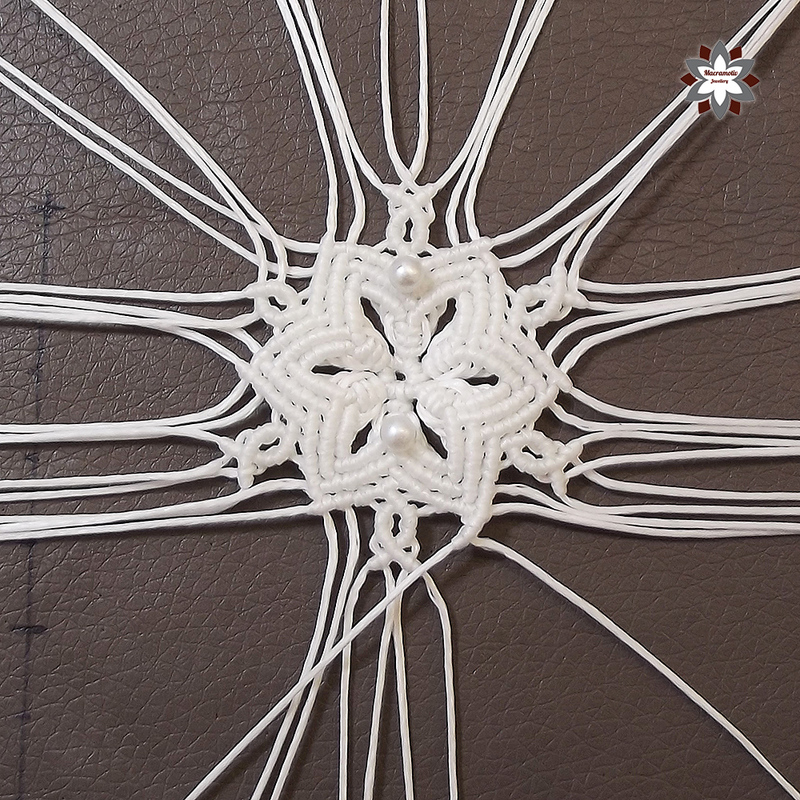 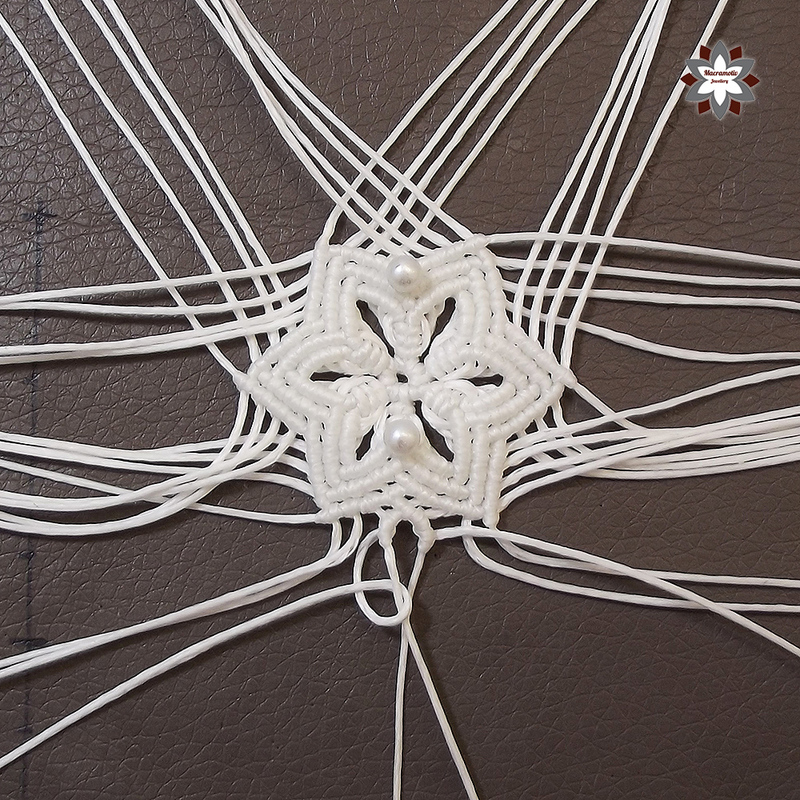 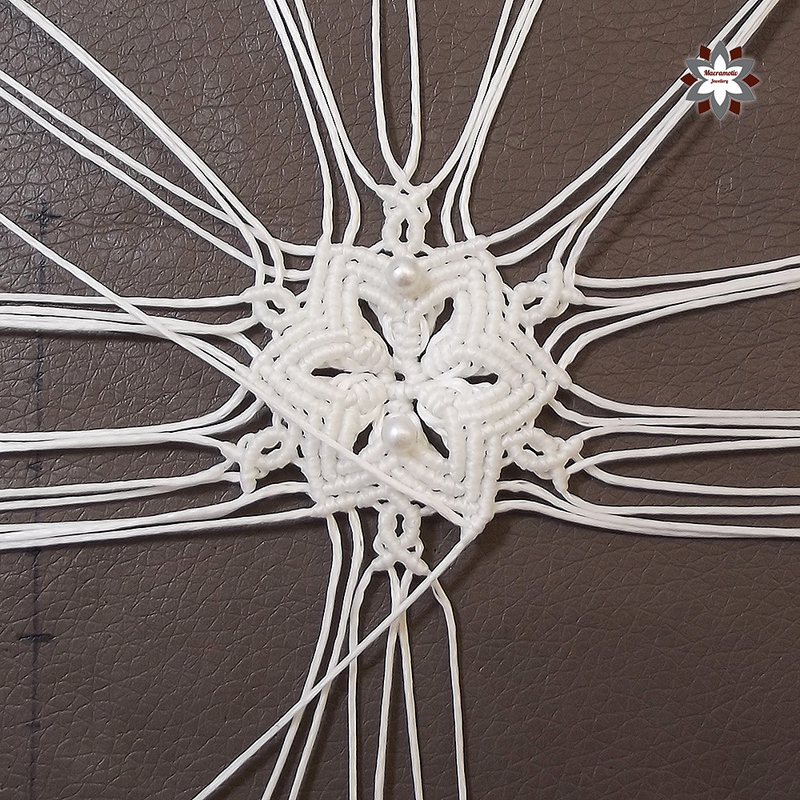 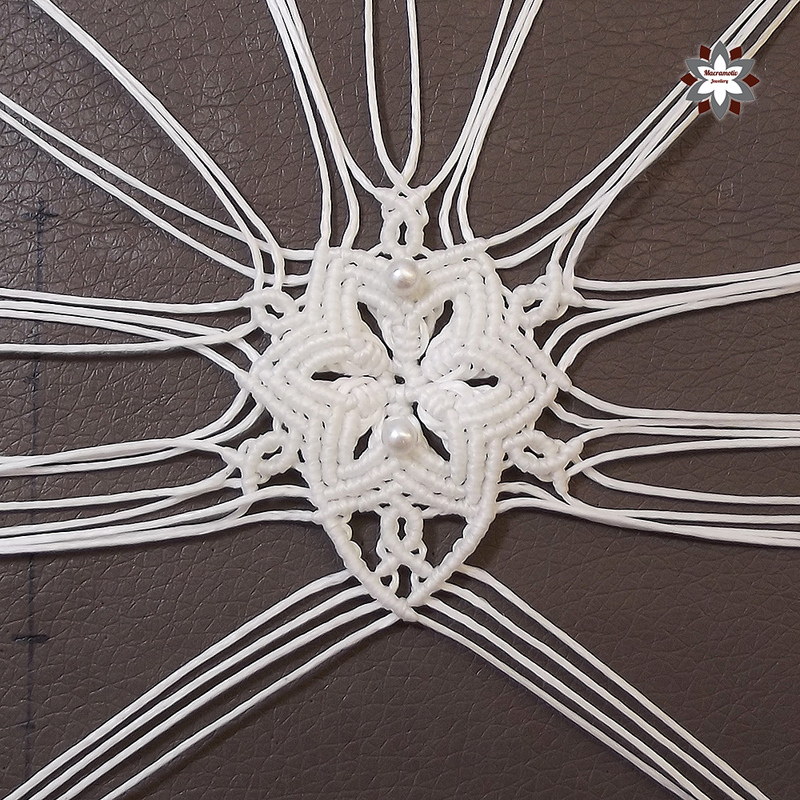 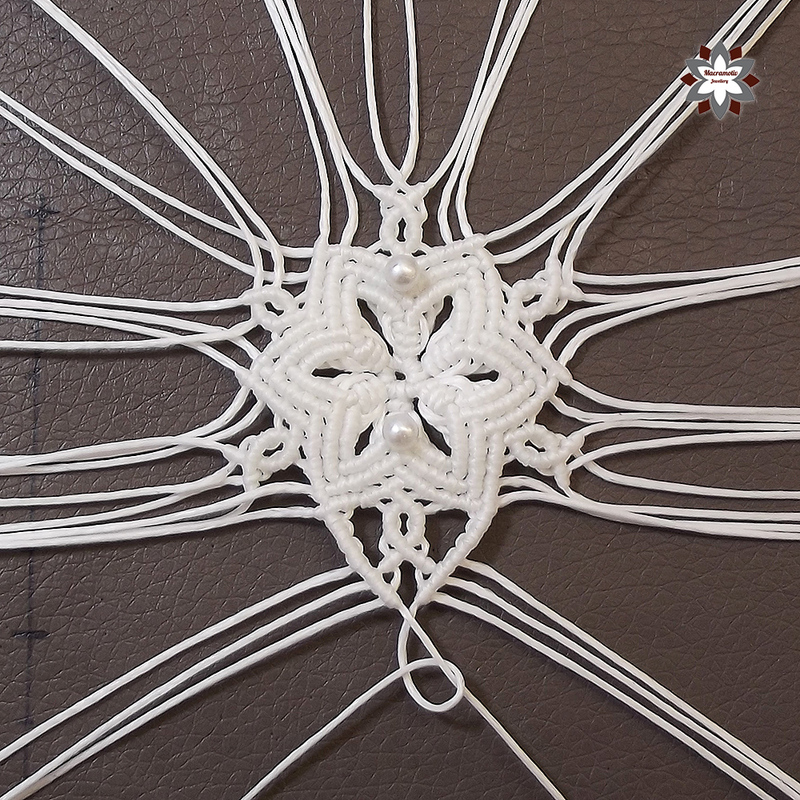 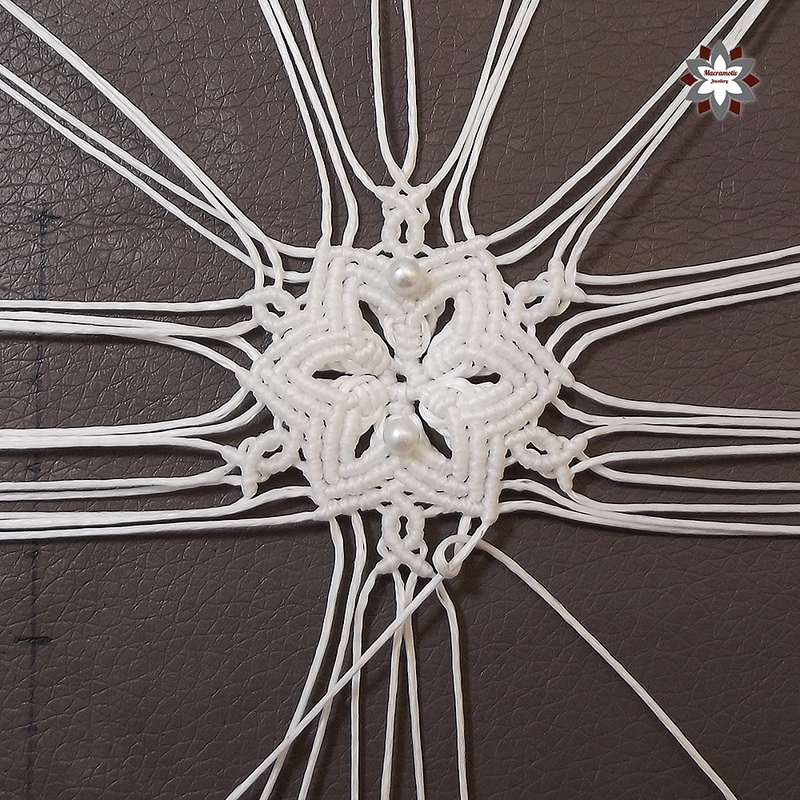 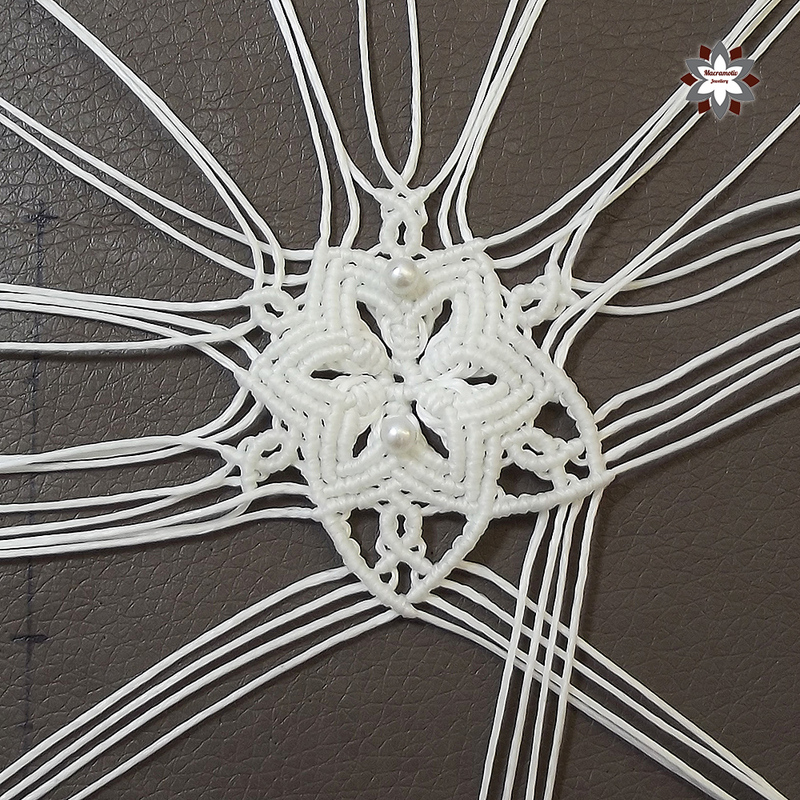 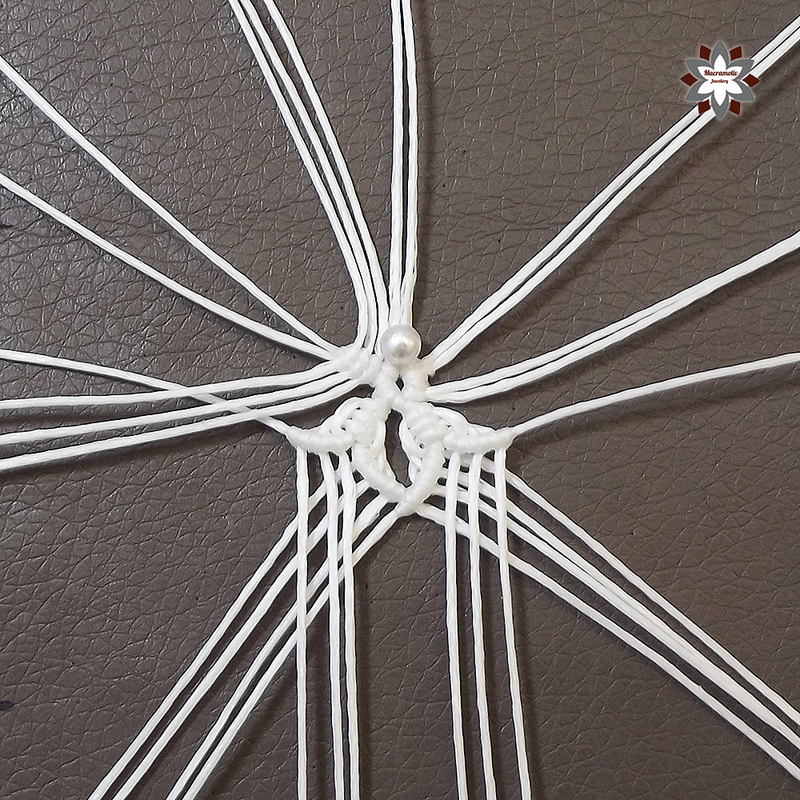 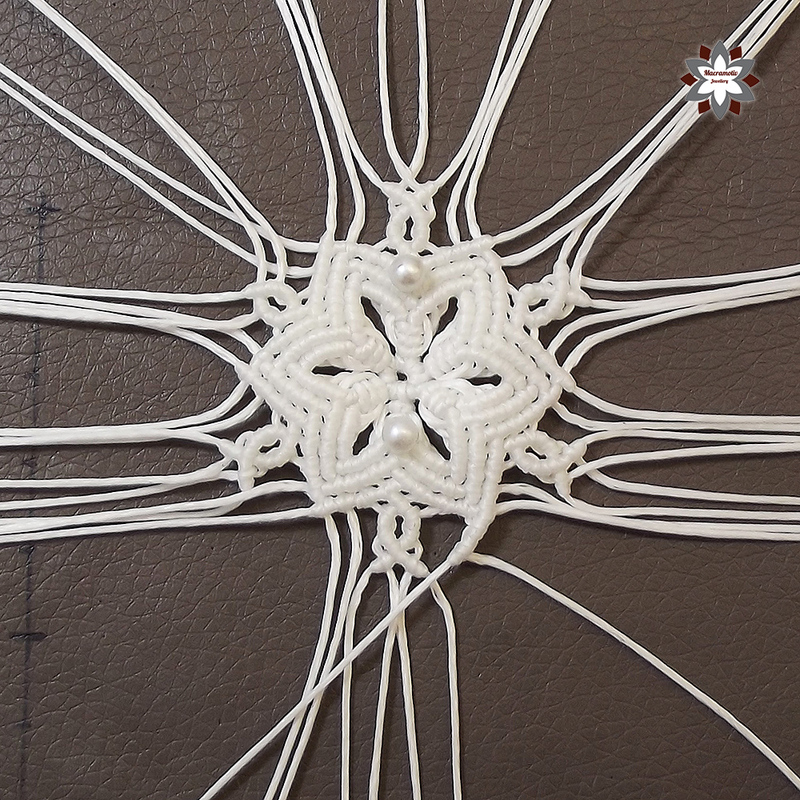 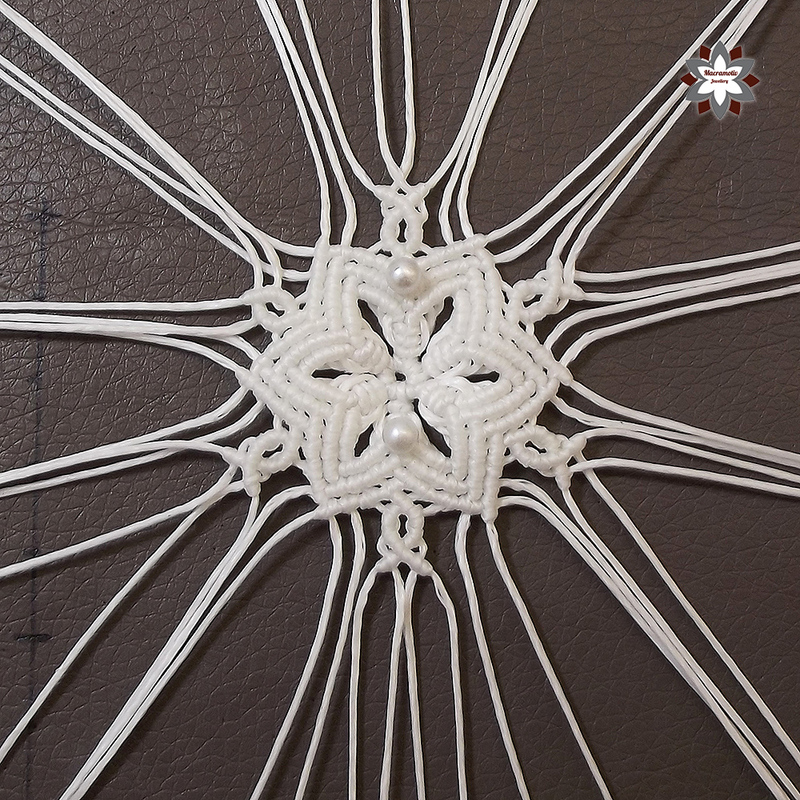 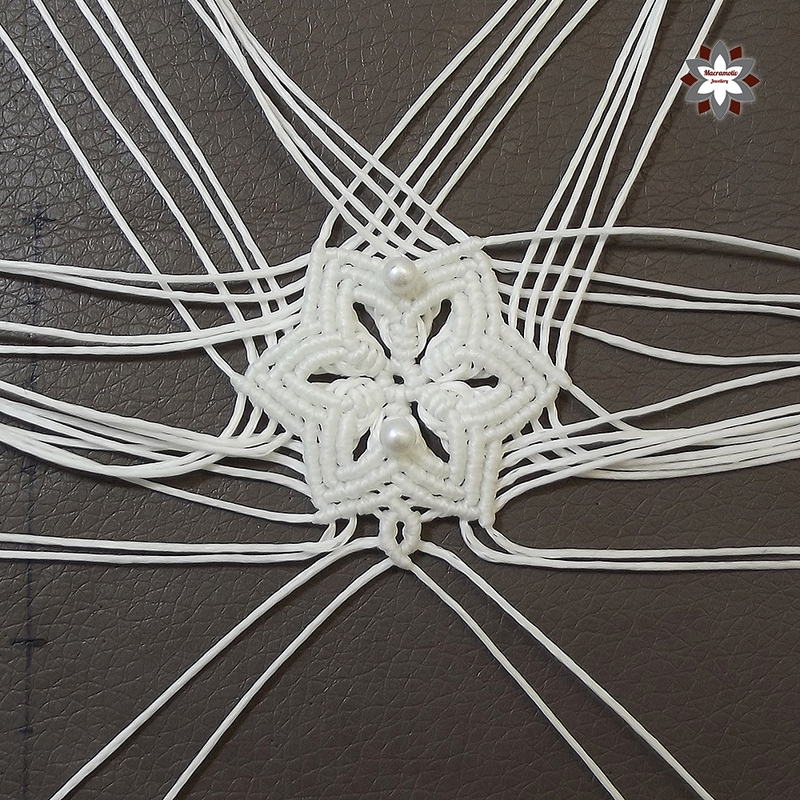 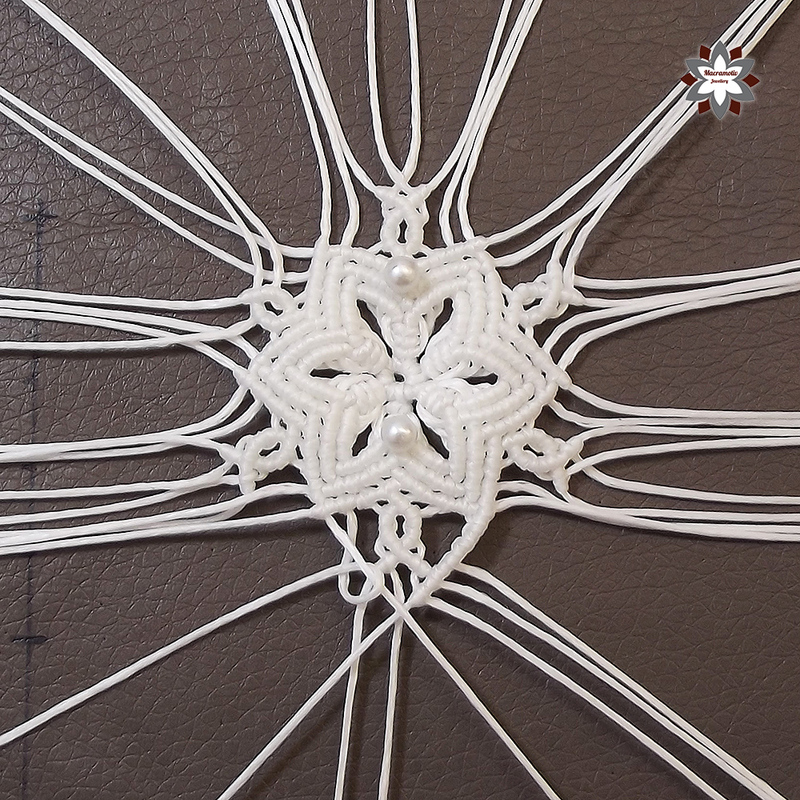 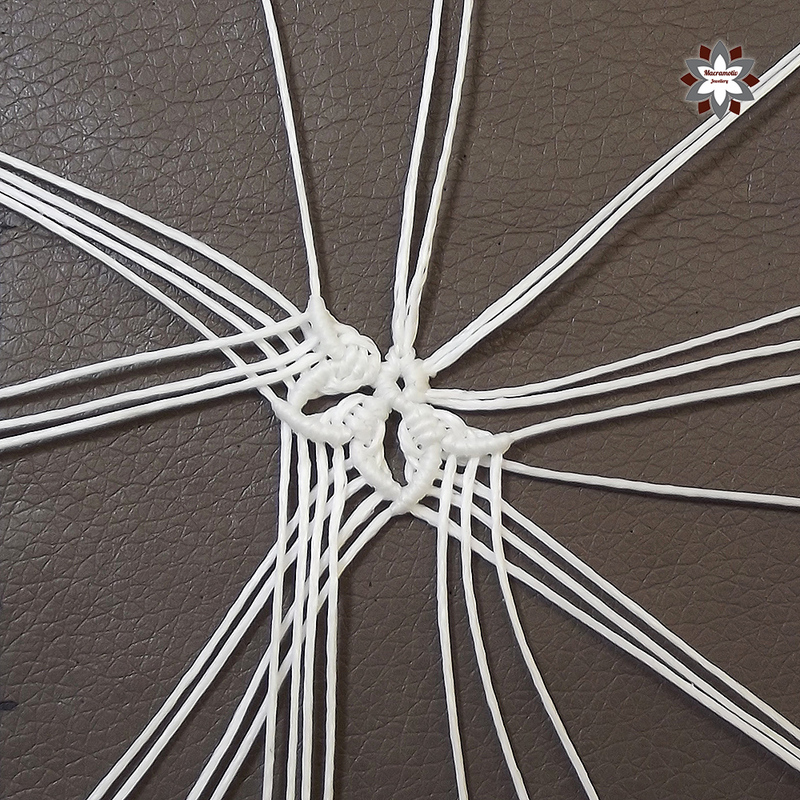 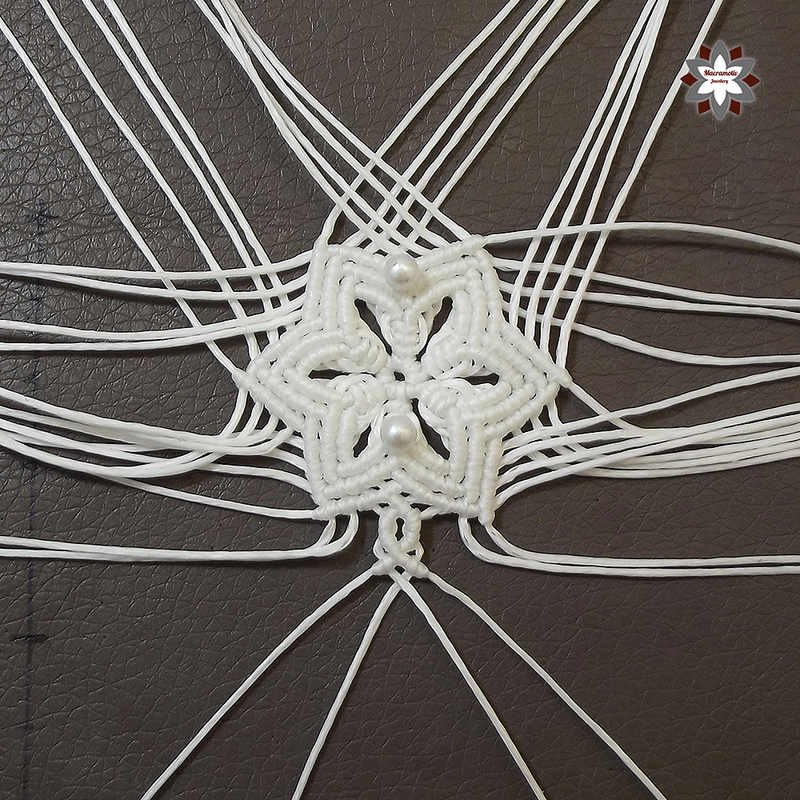 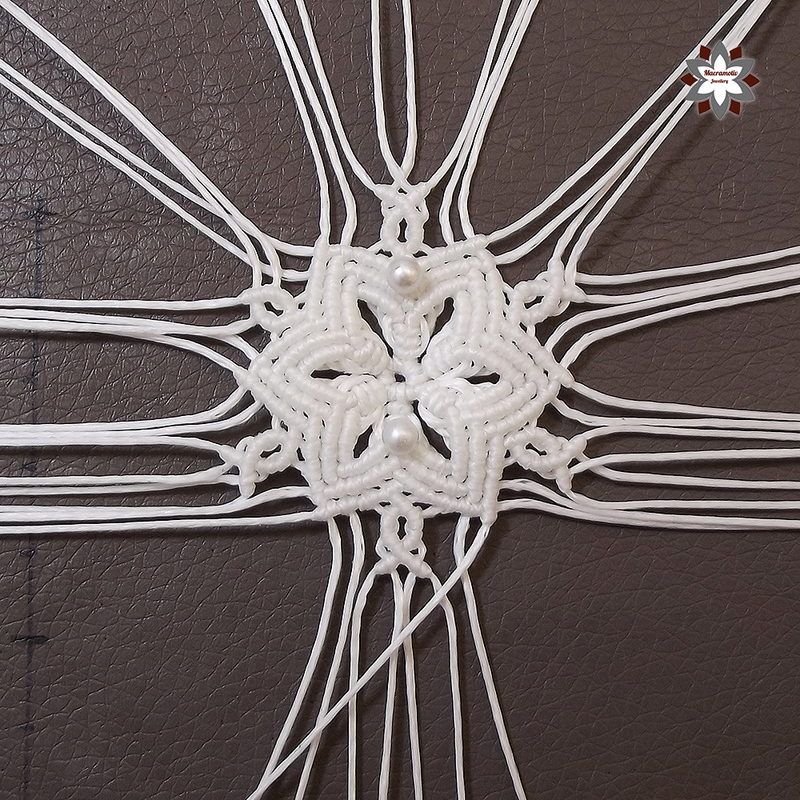 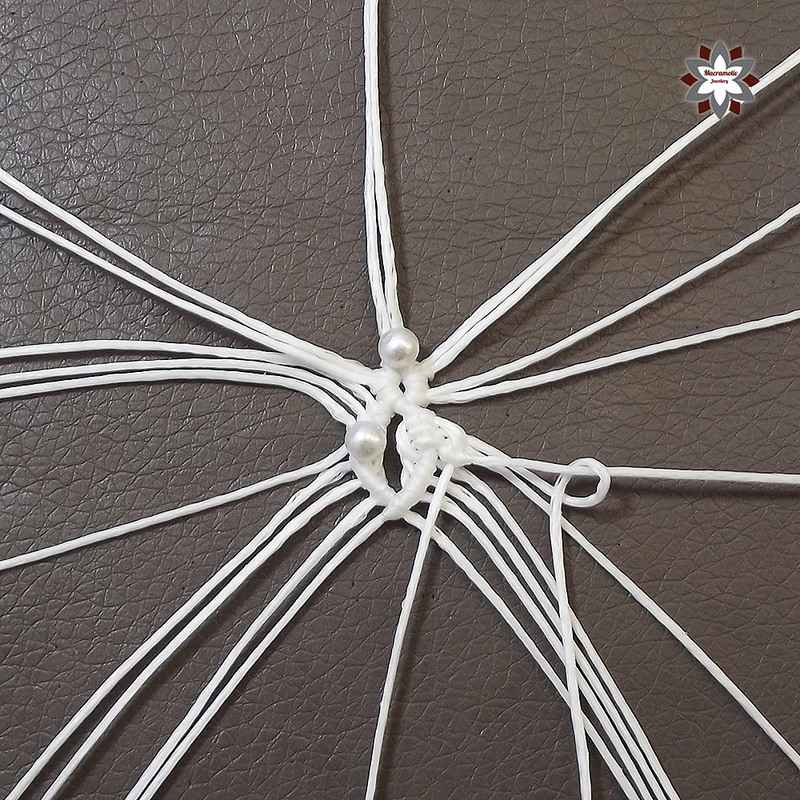 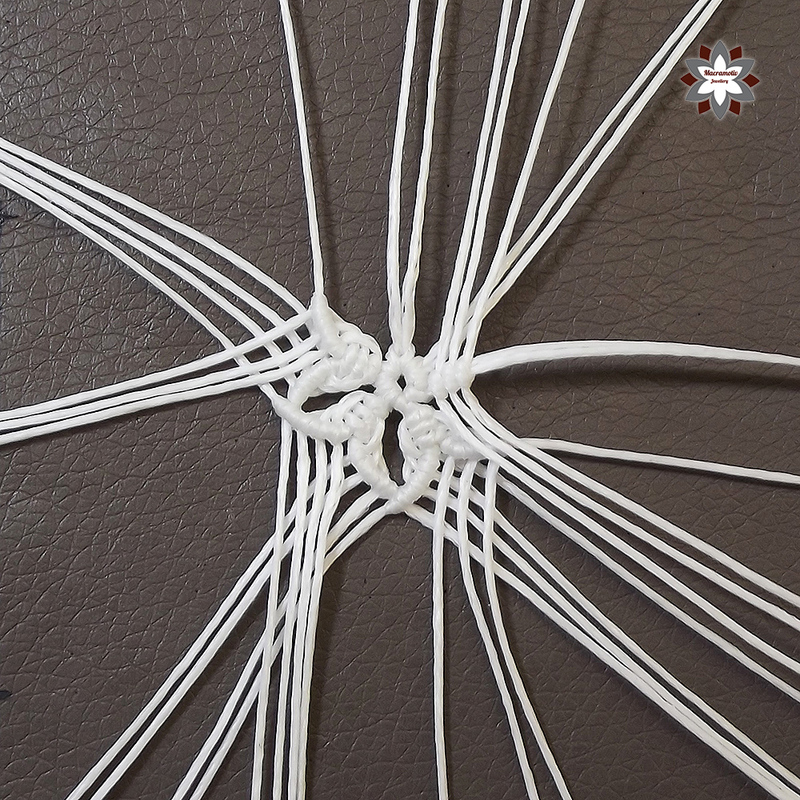 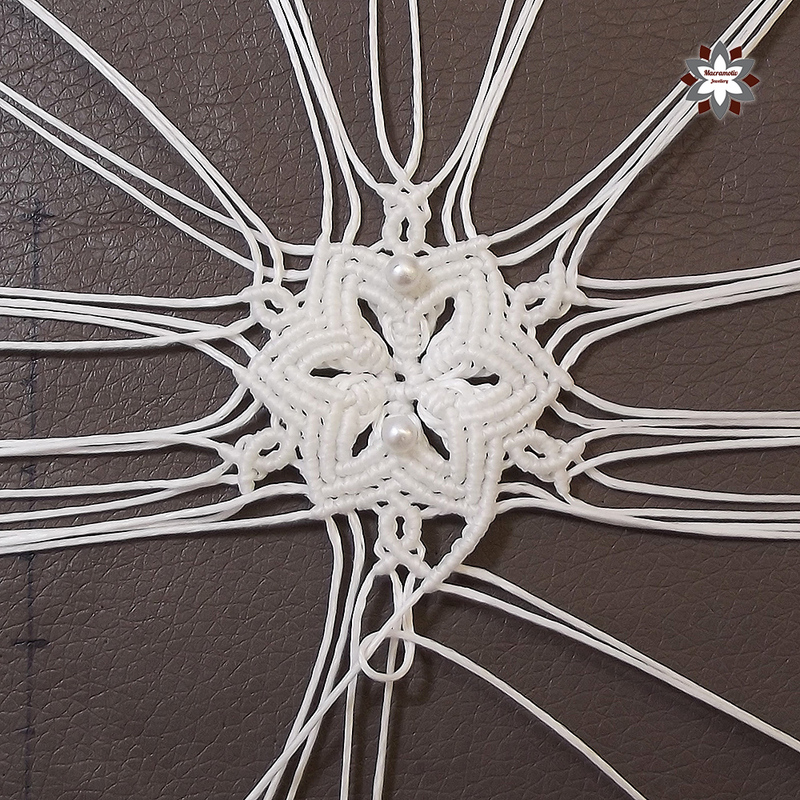 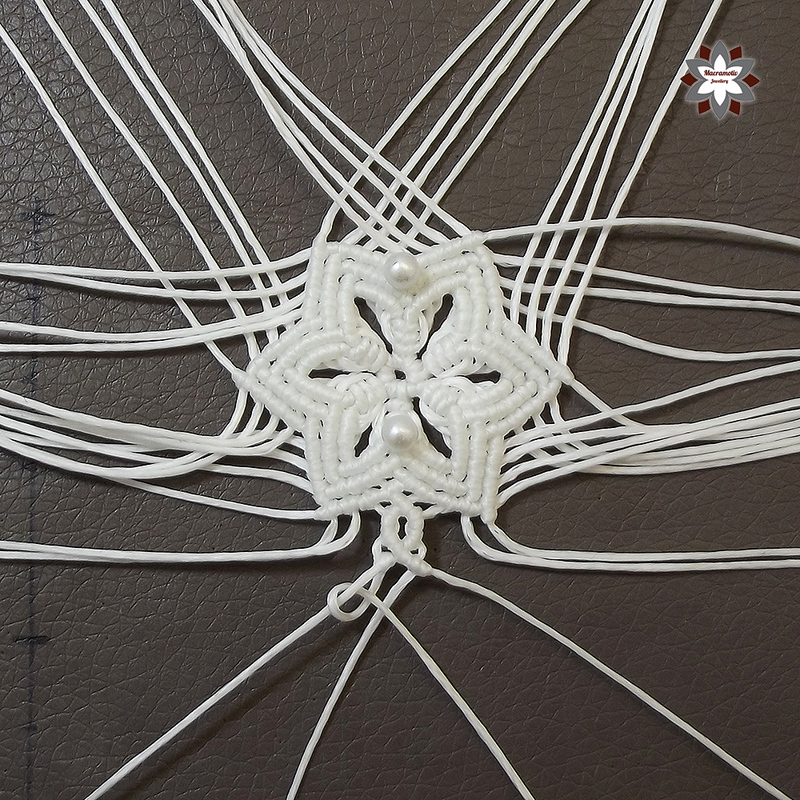 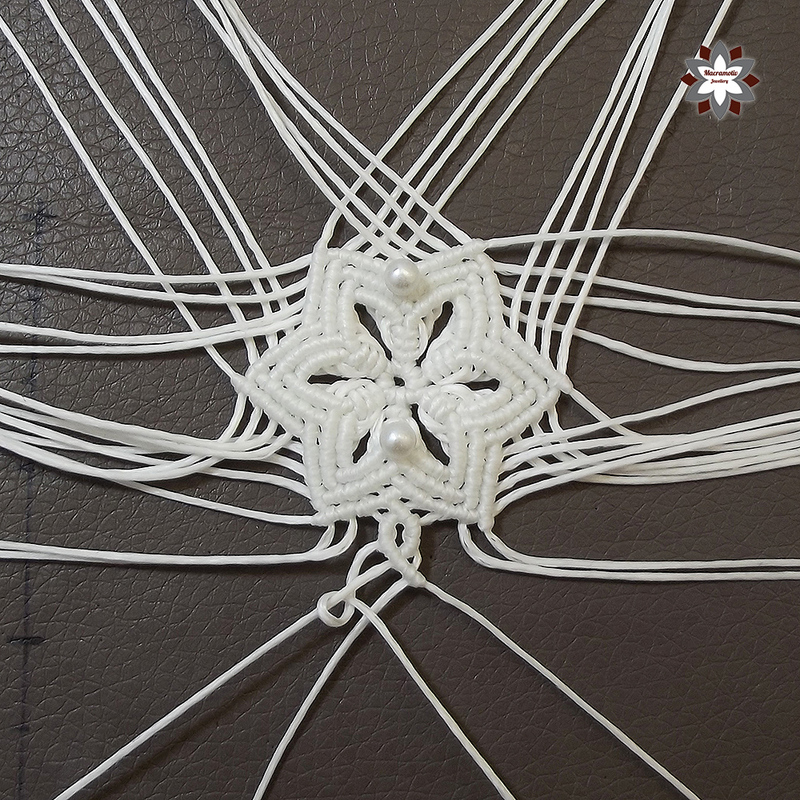 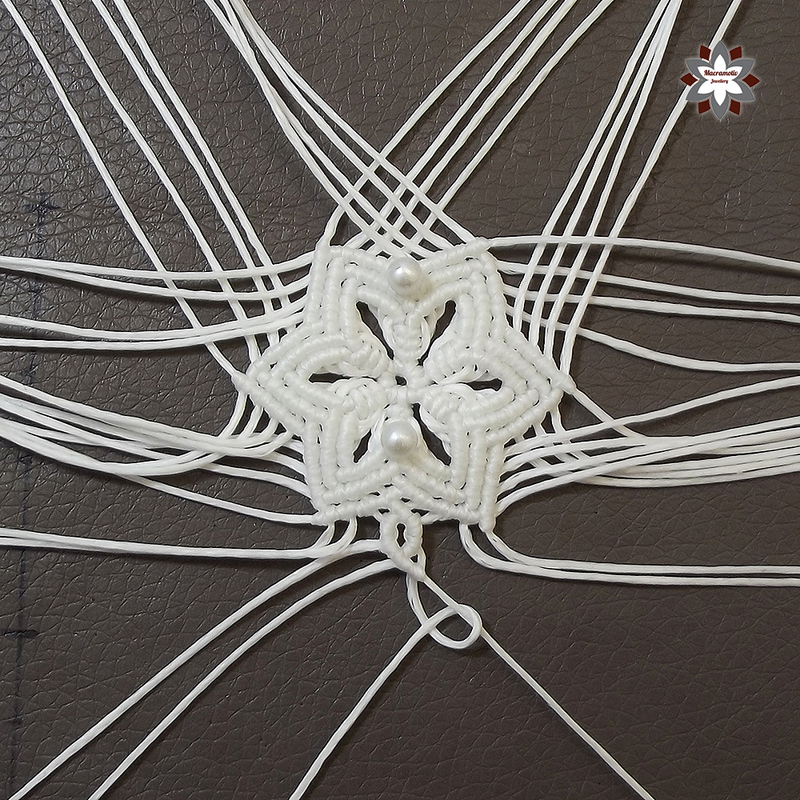 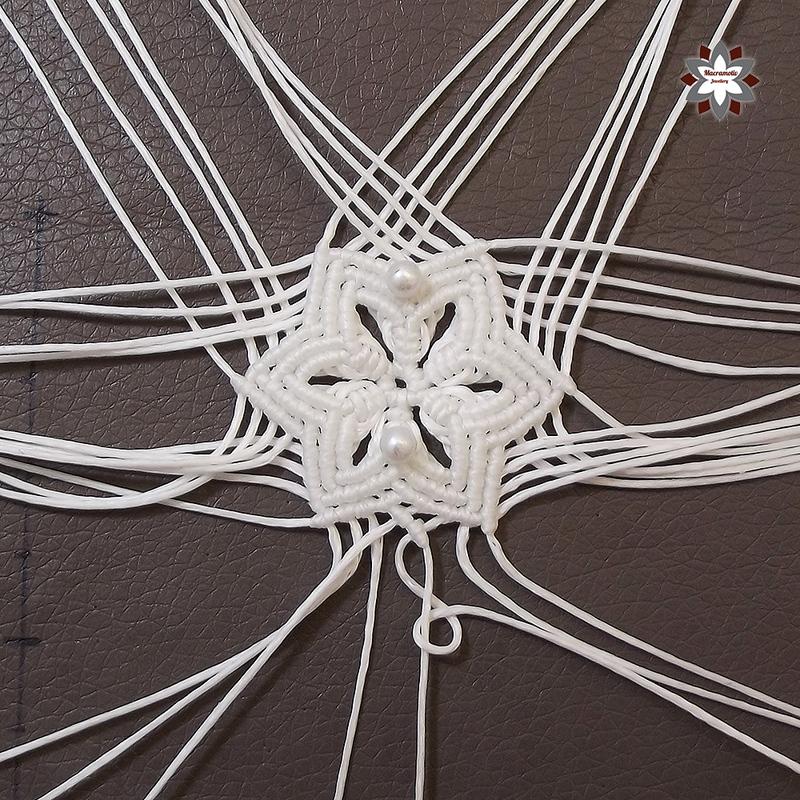 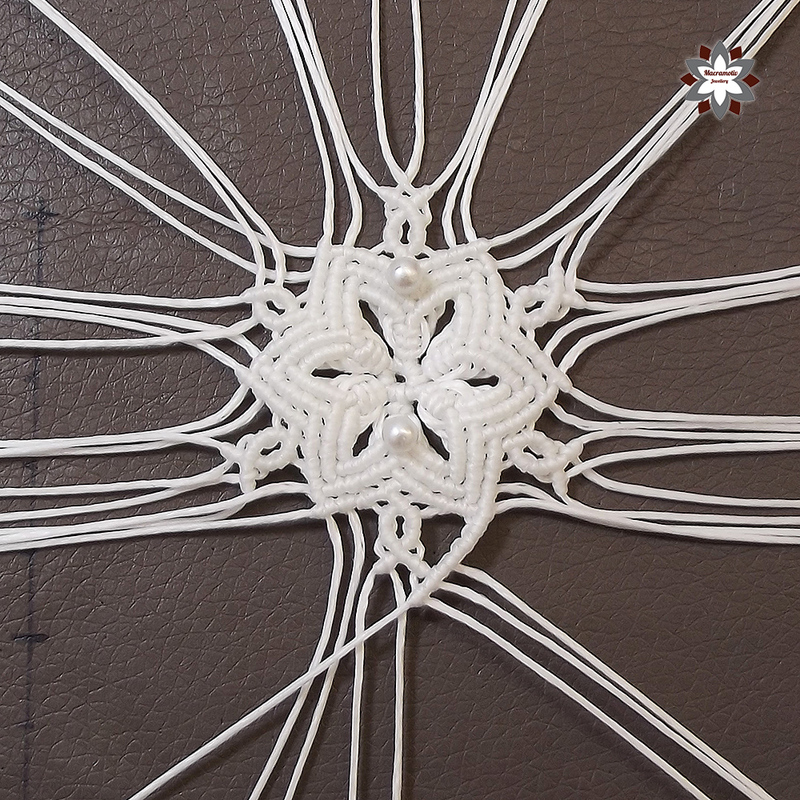 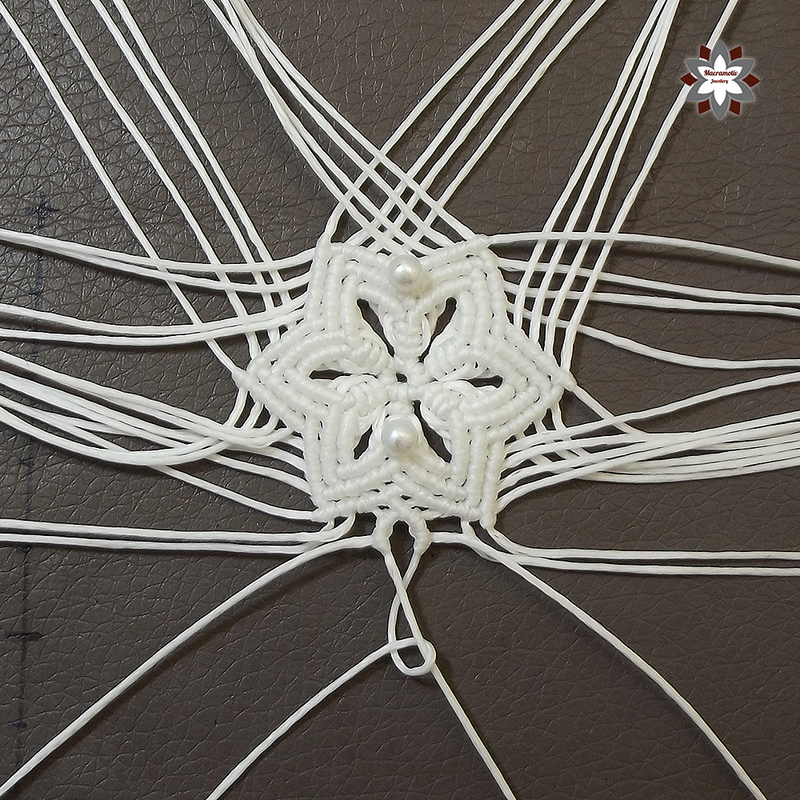 The snowflake is very similar to the previous one, but now we add all the 24 cords in the beginning to get this thick texture in the middle. 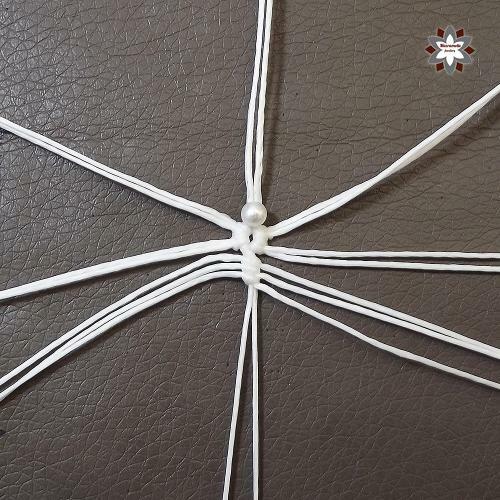 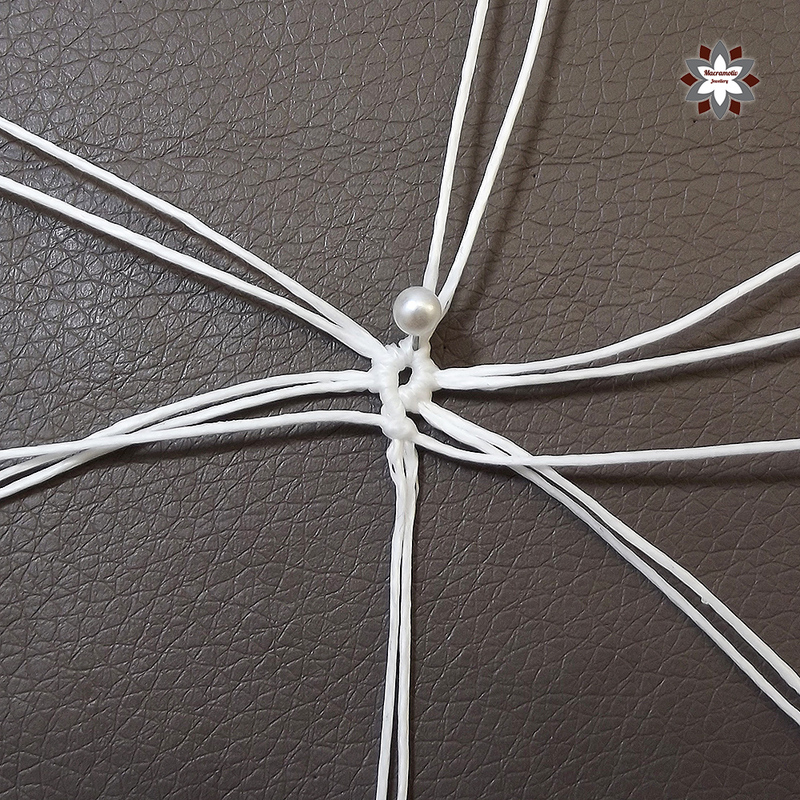 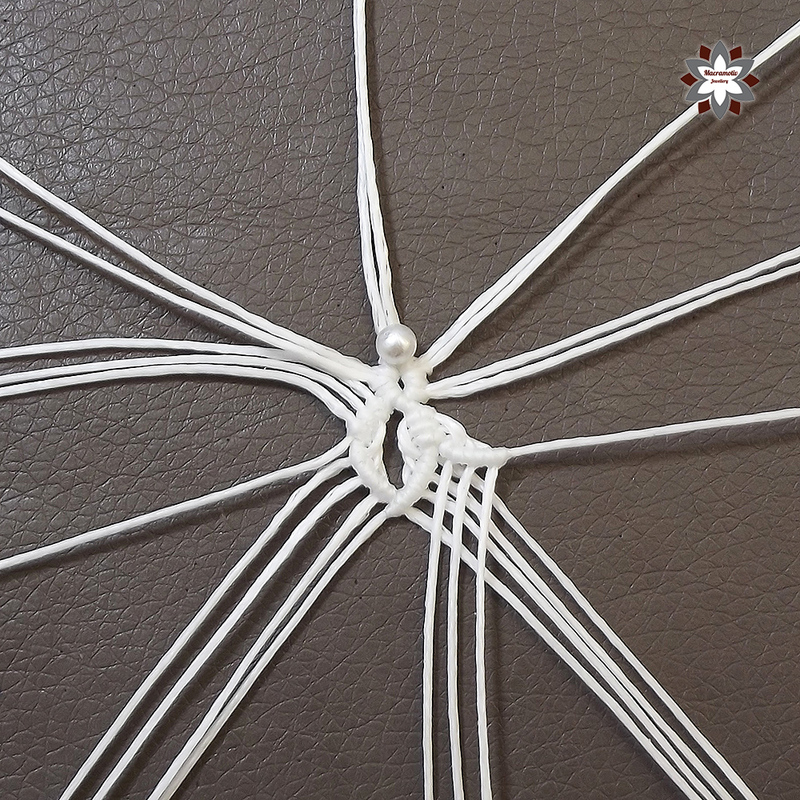 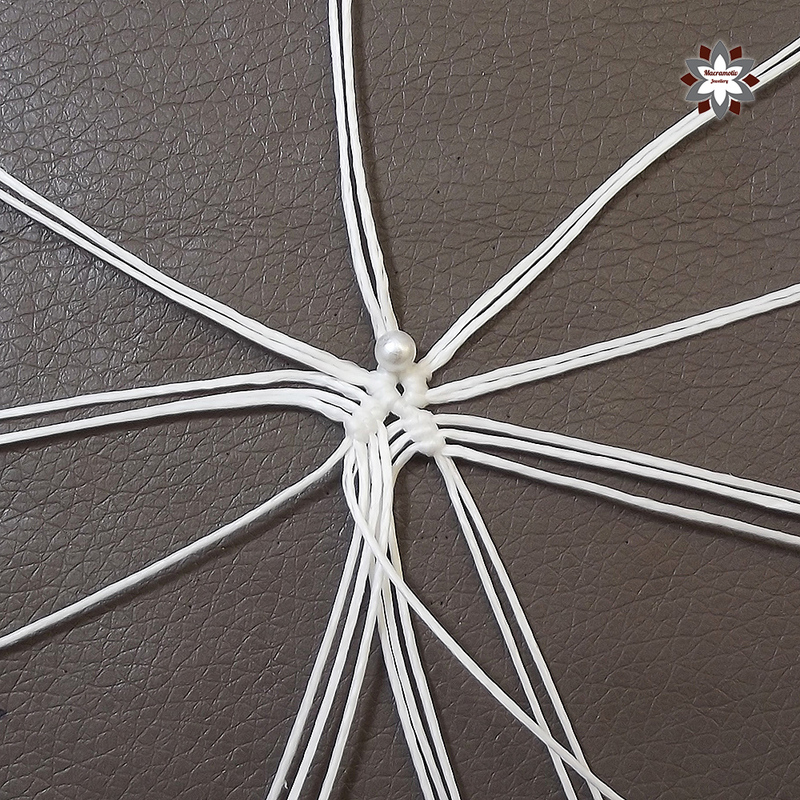 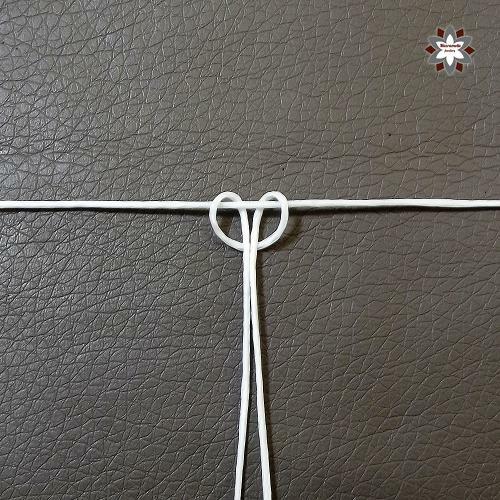 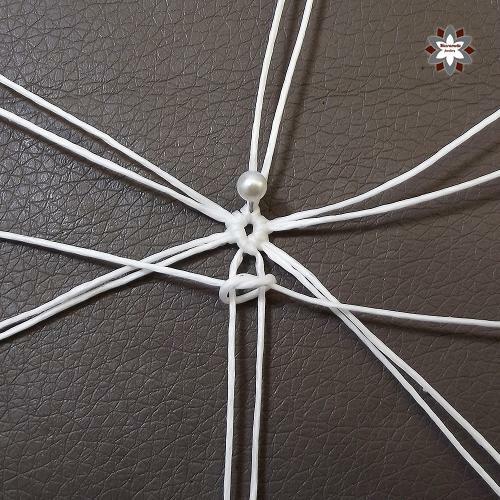 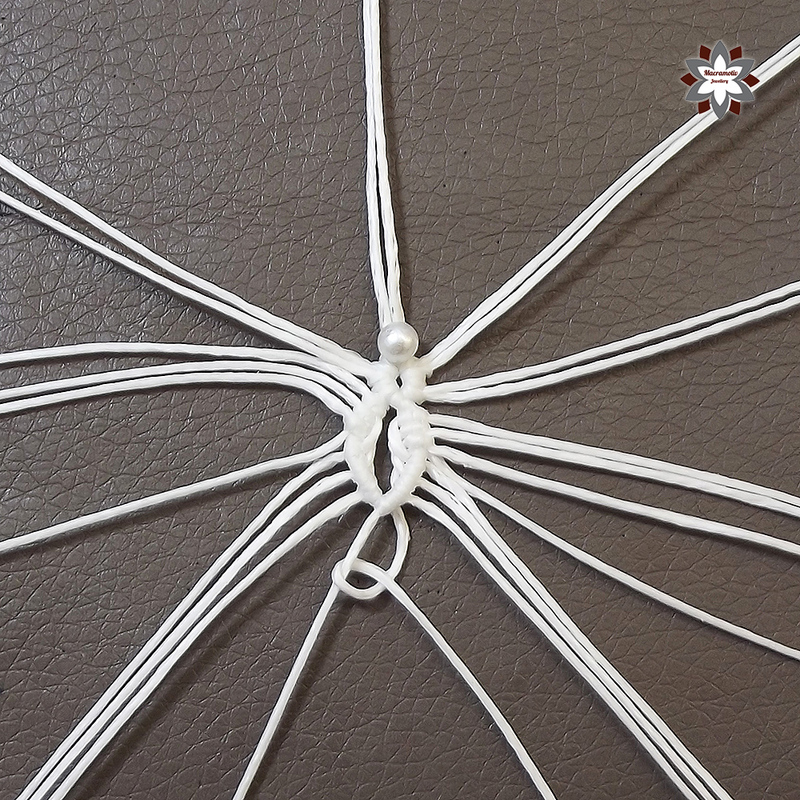 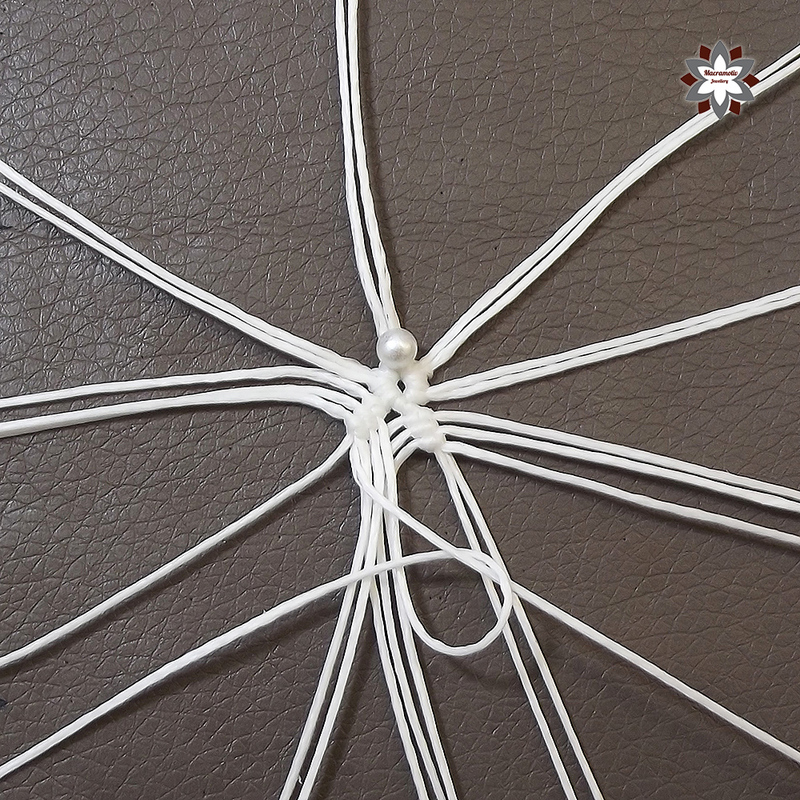 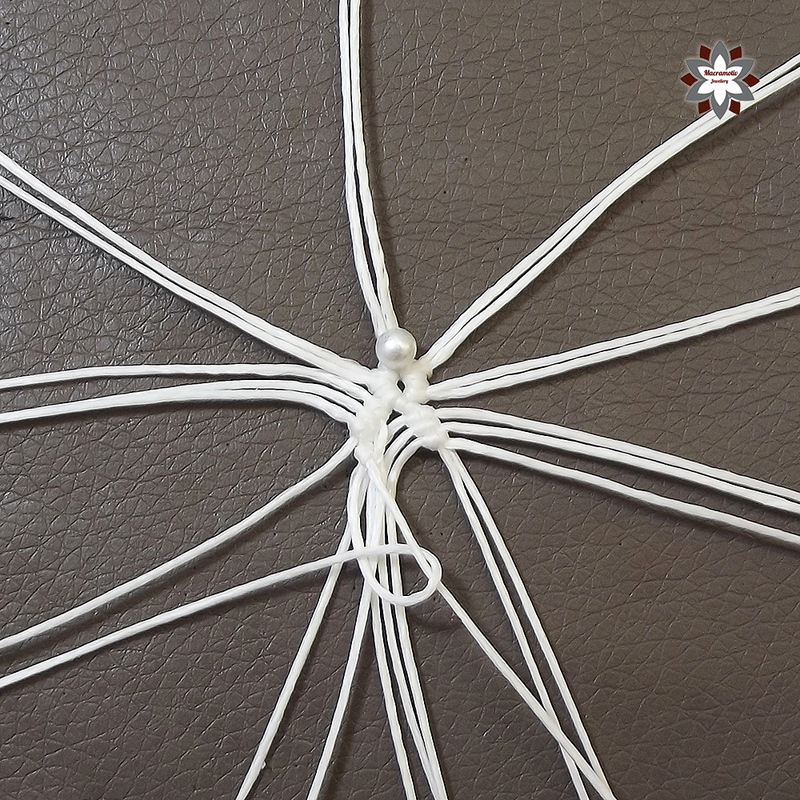 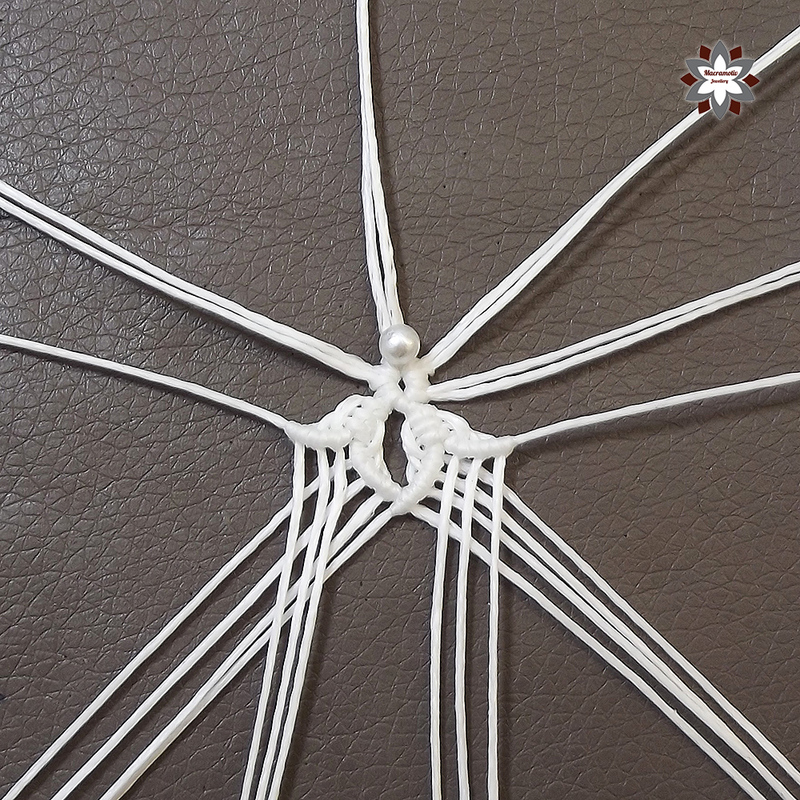 The steps are repeated, so you only have to pay attention to make all the 6 branched the same. 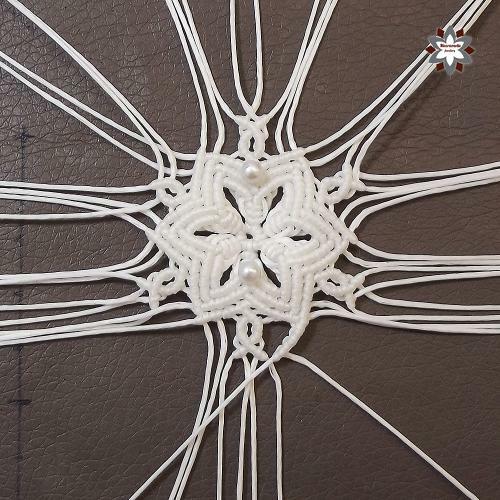 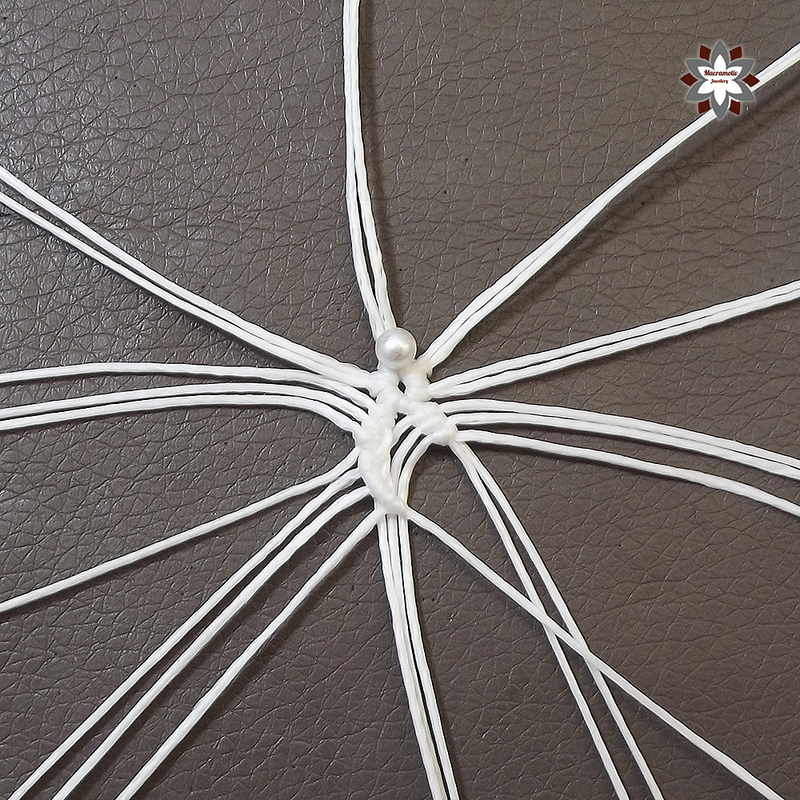 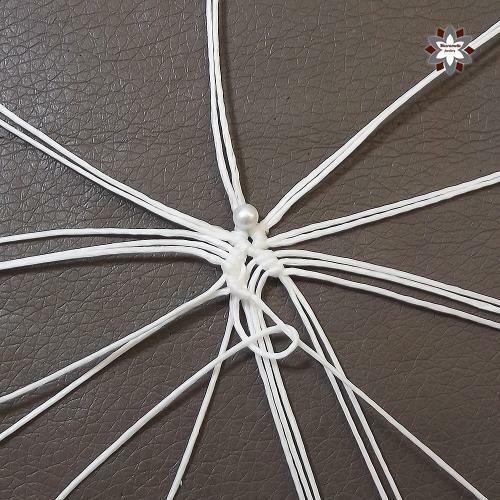 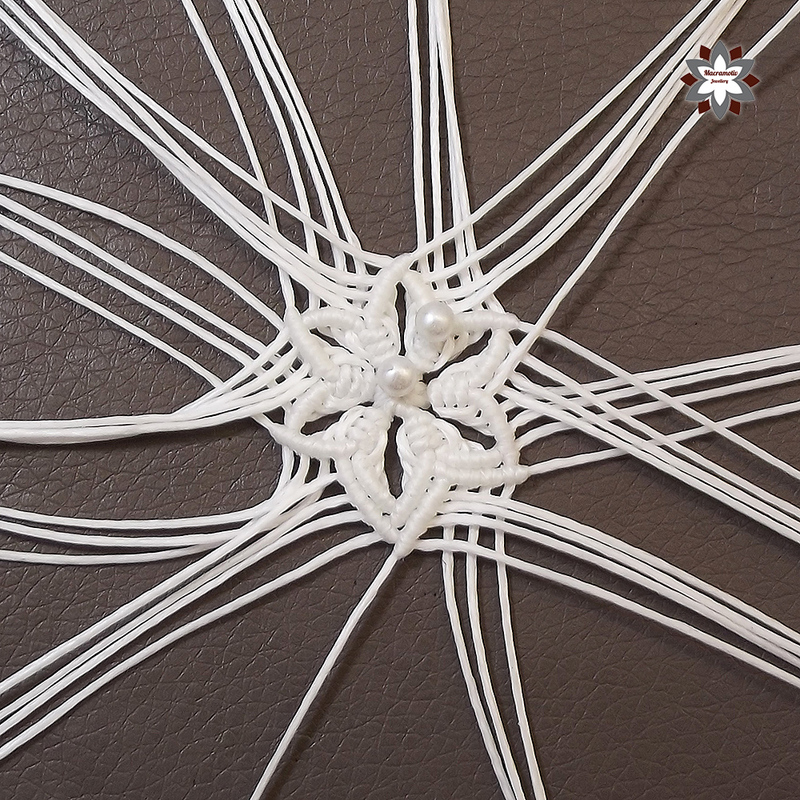 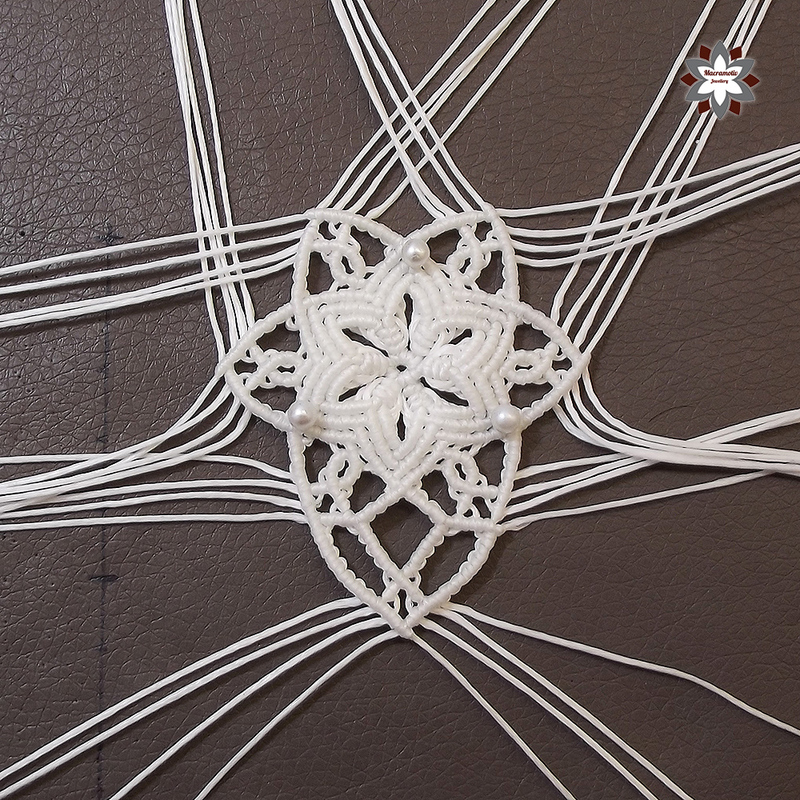 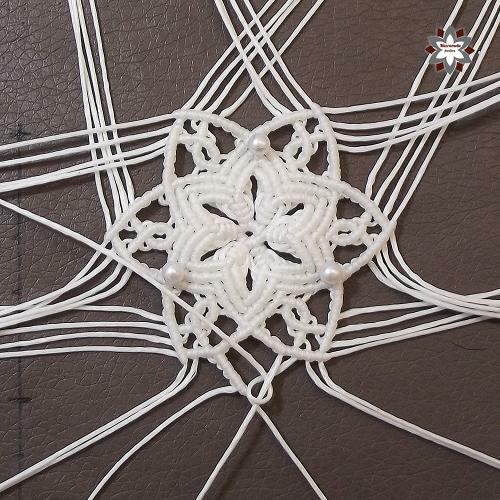 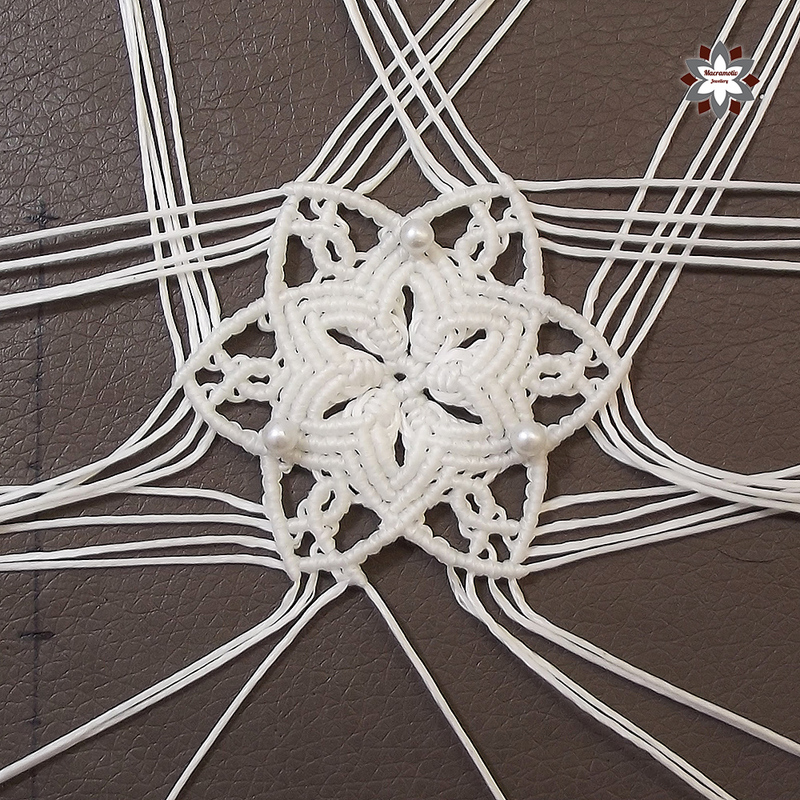 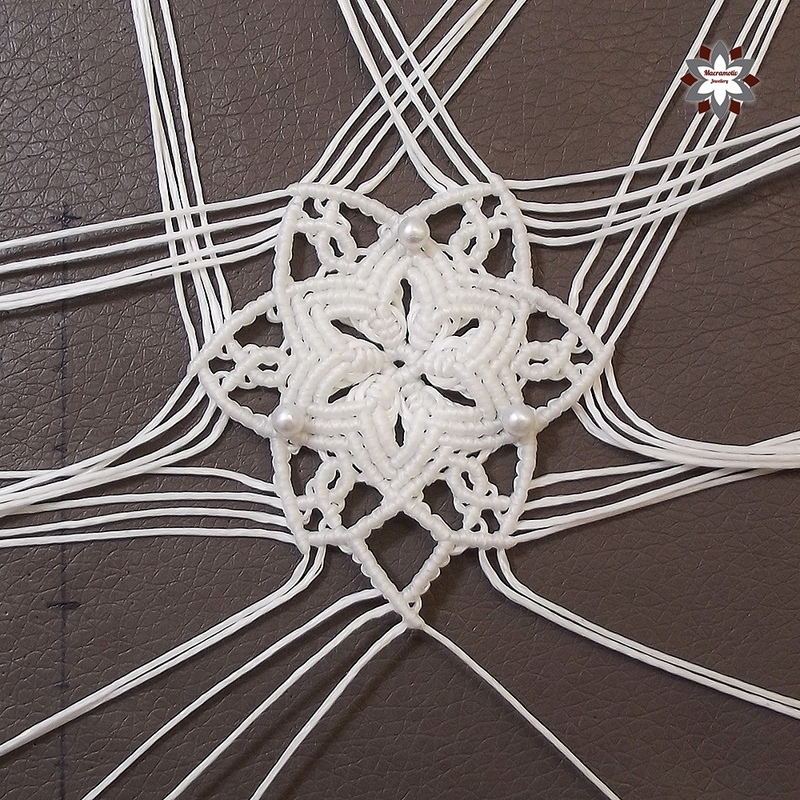 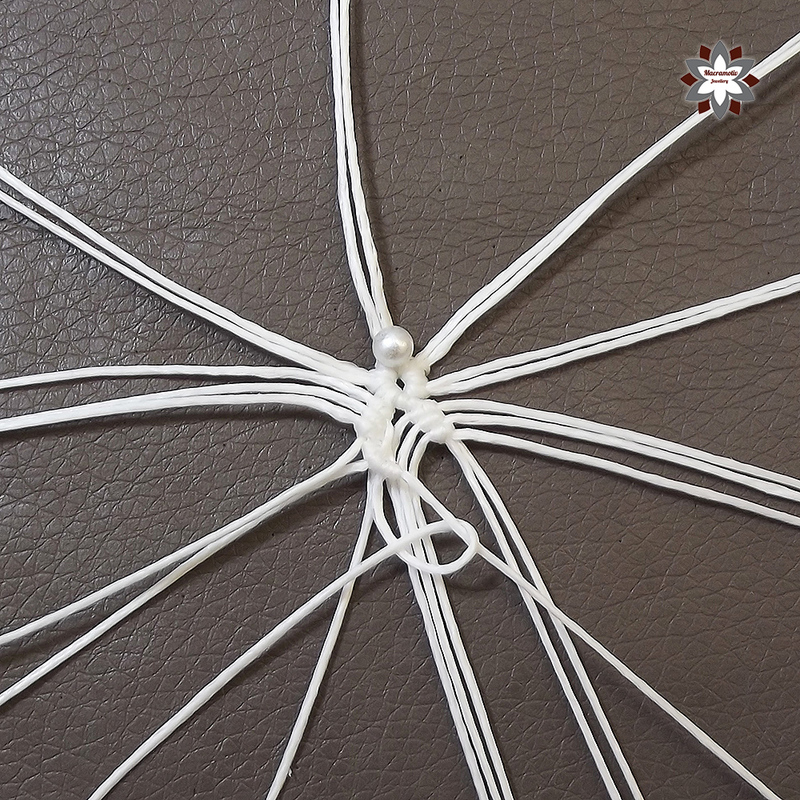 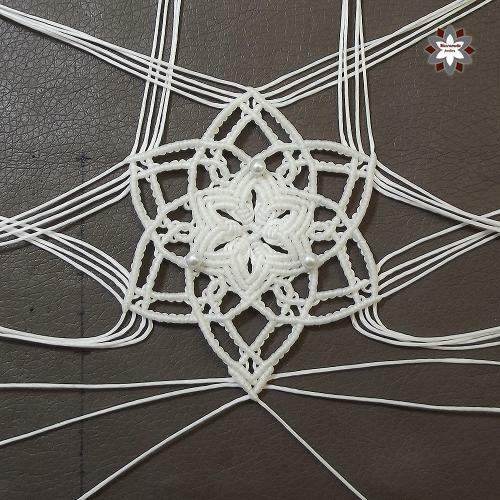 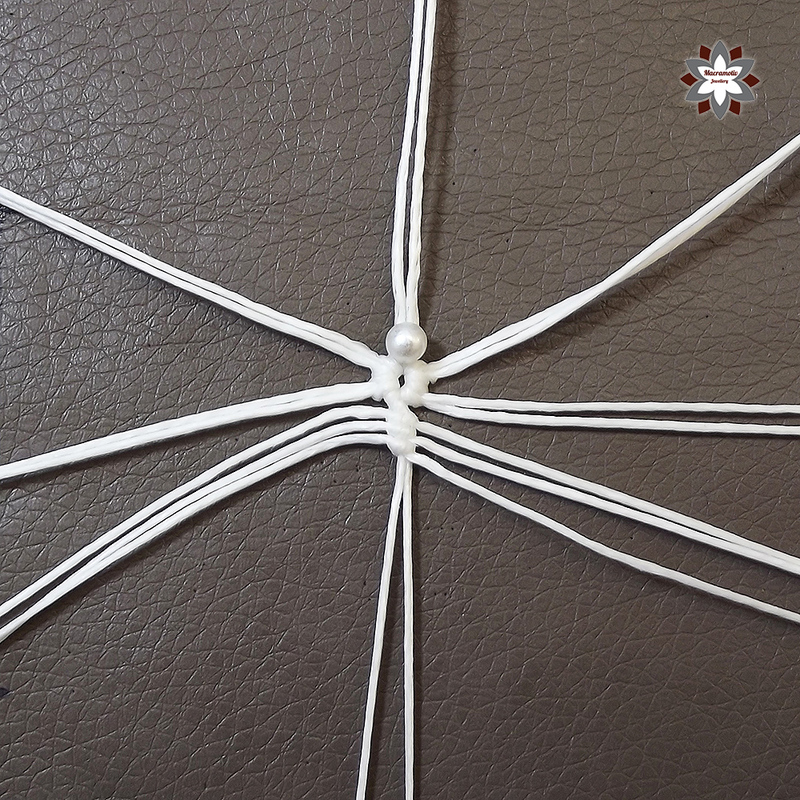 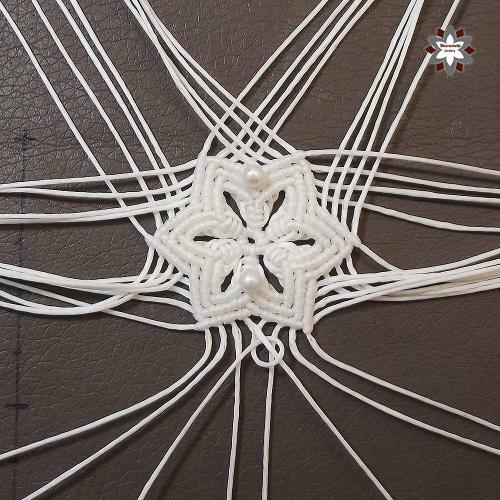 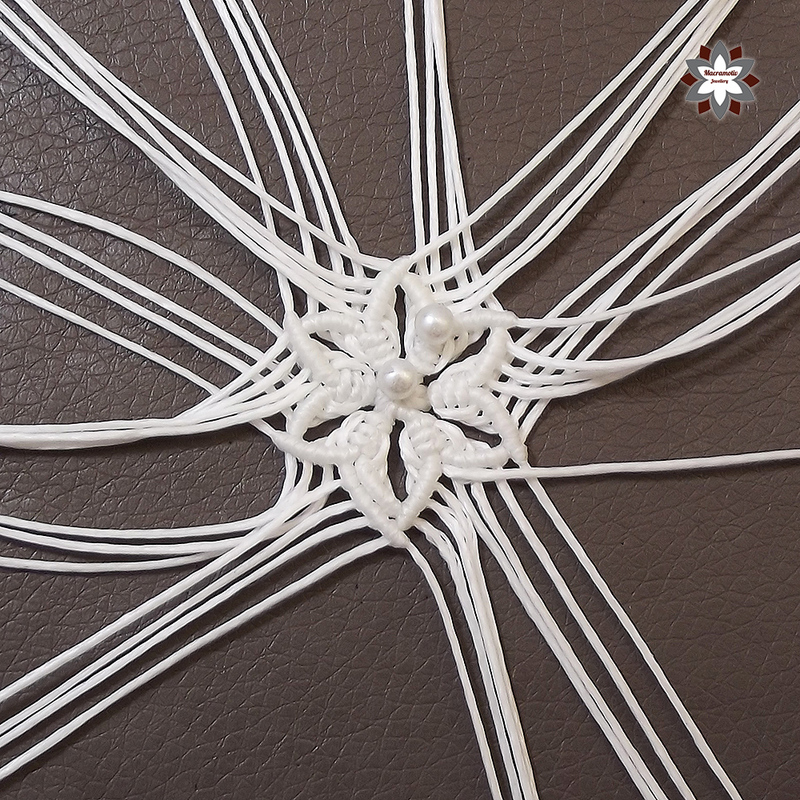 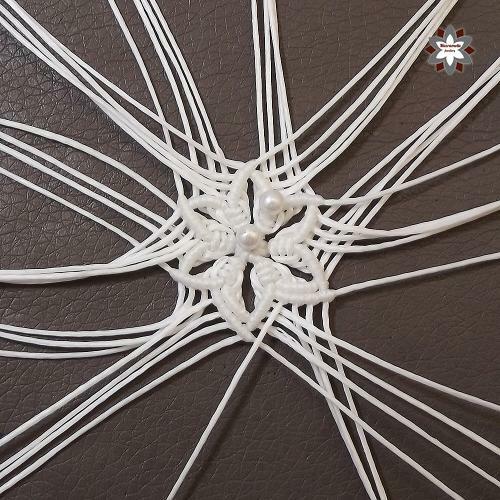 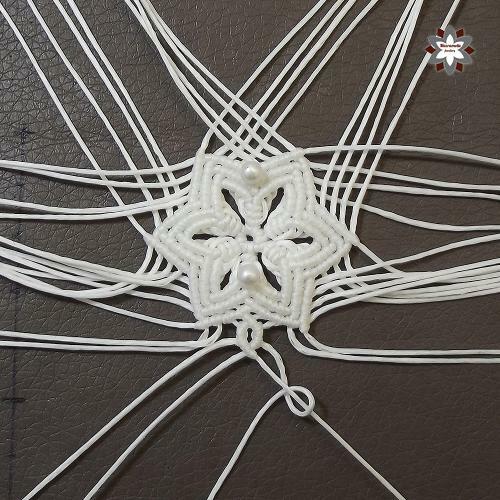 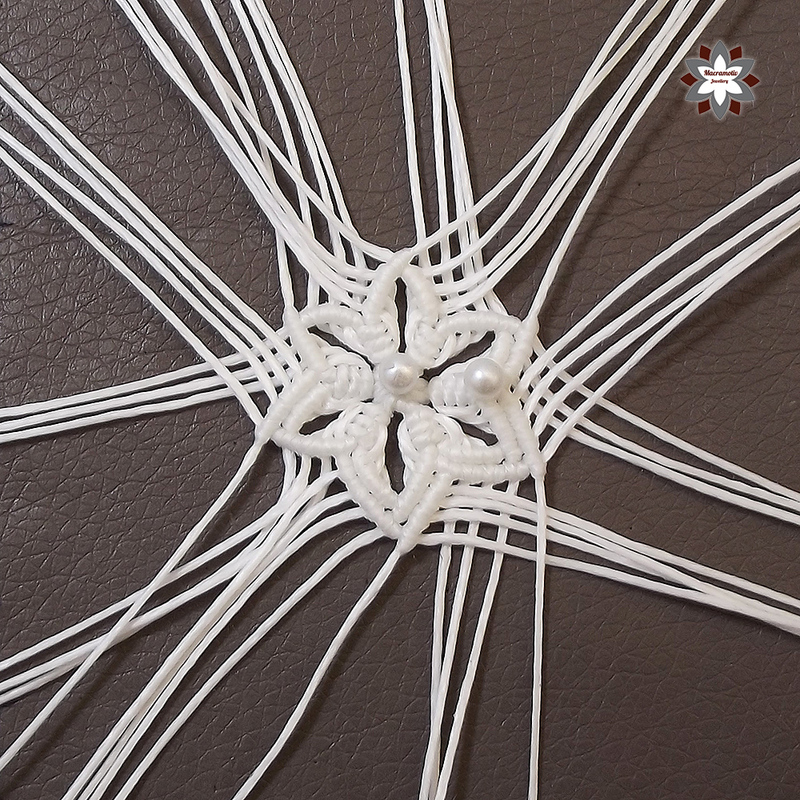 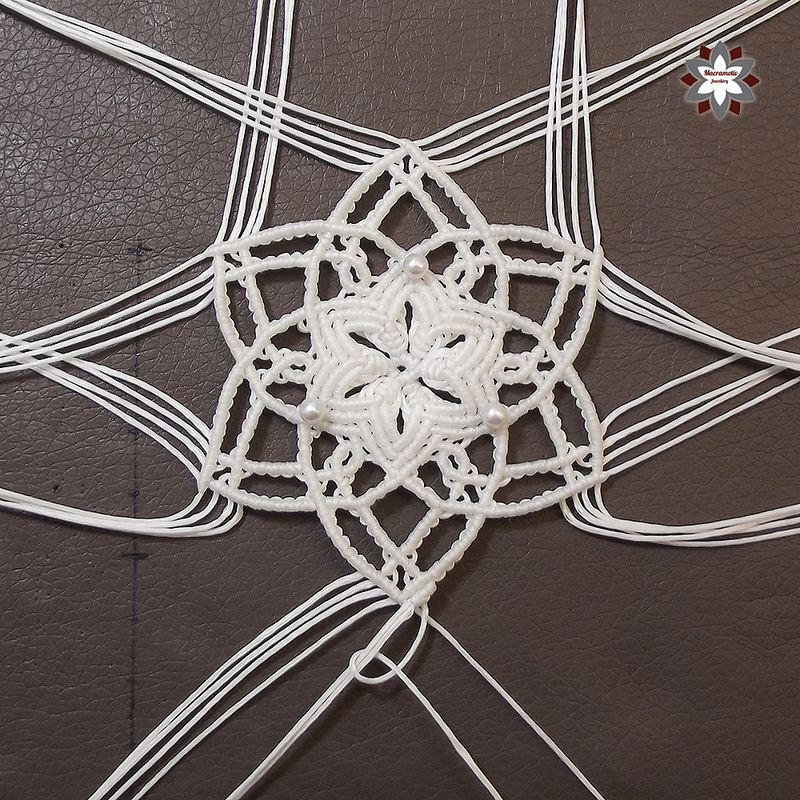 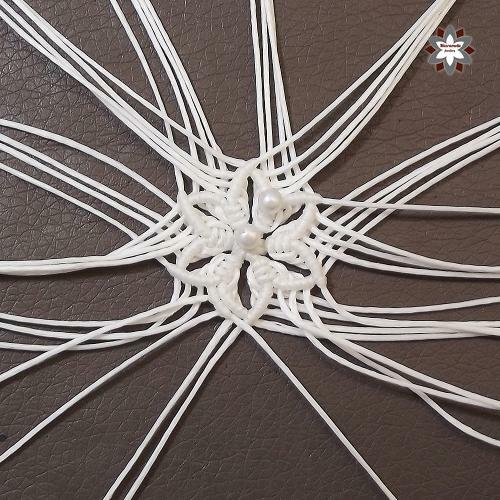 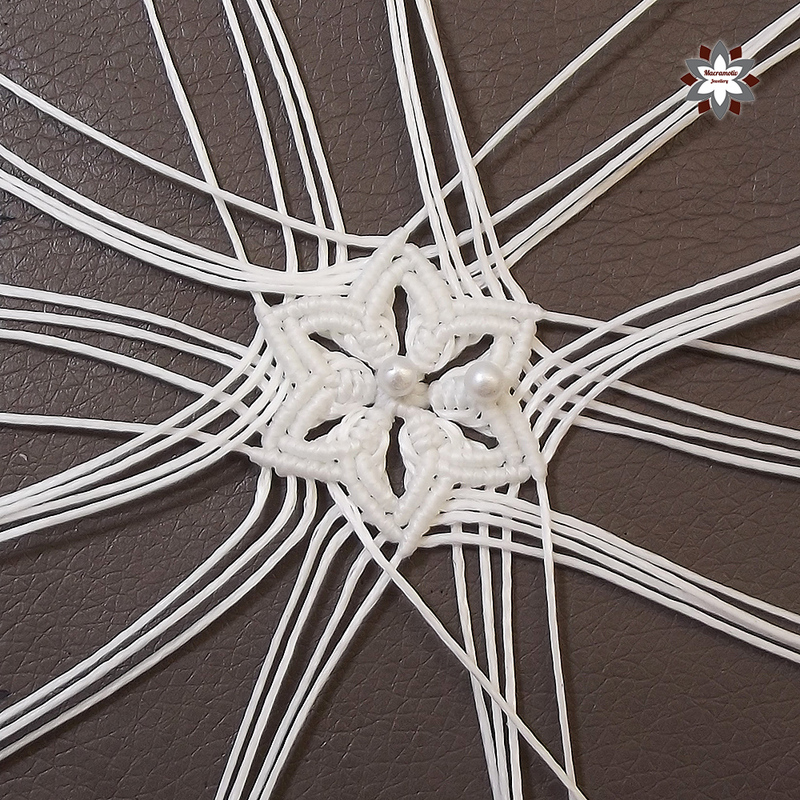 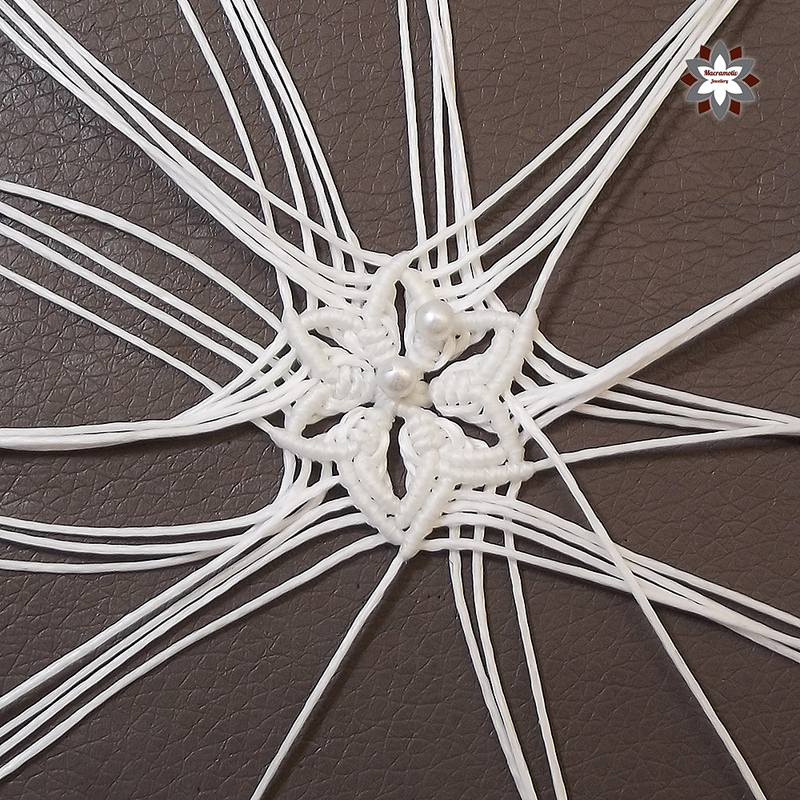 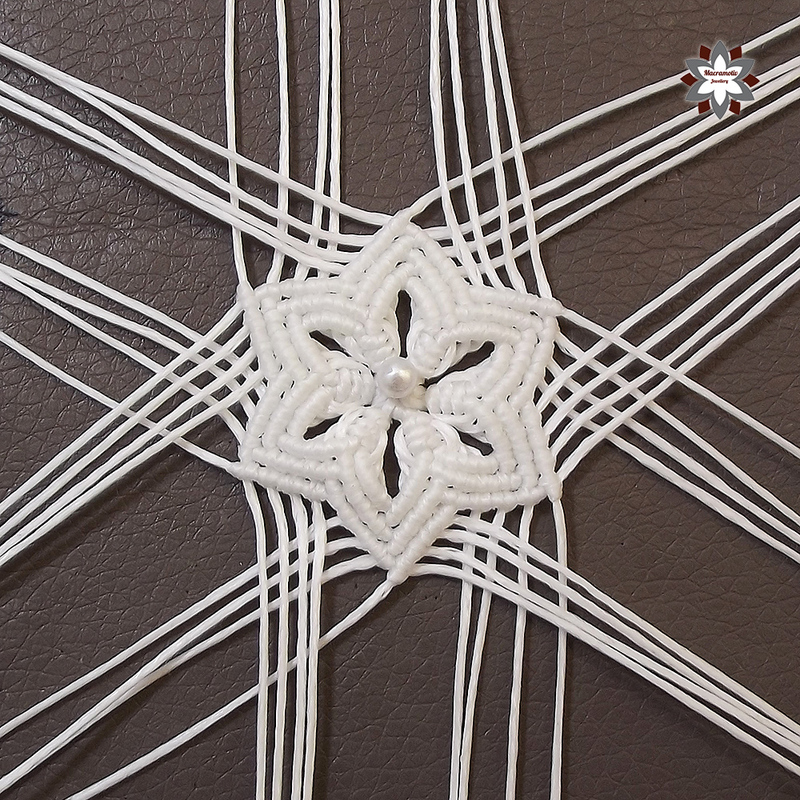 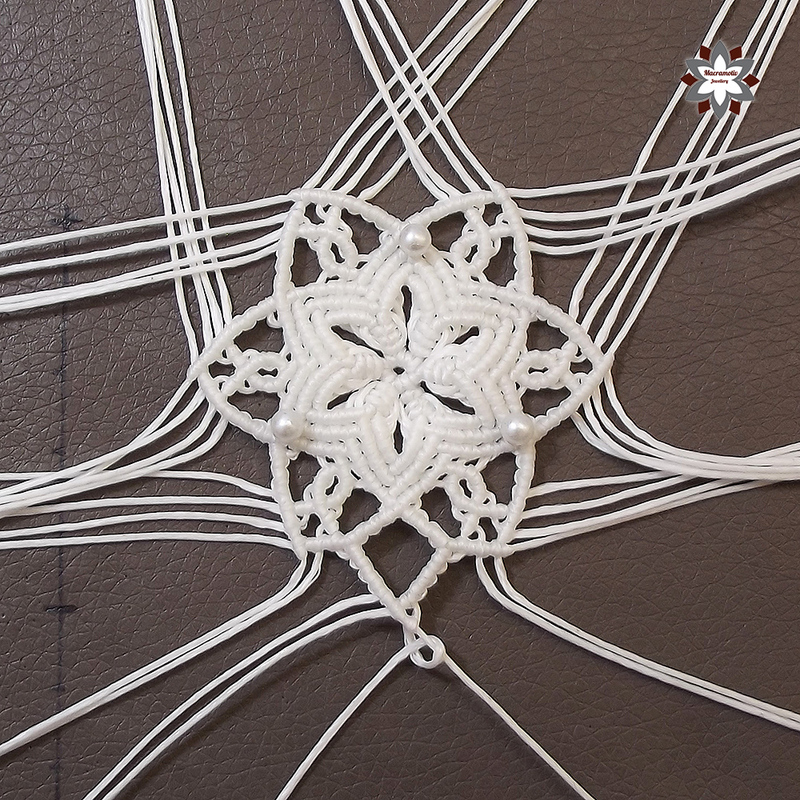 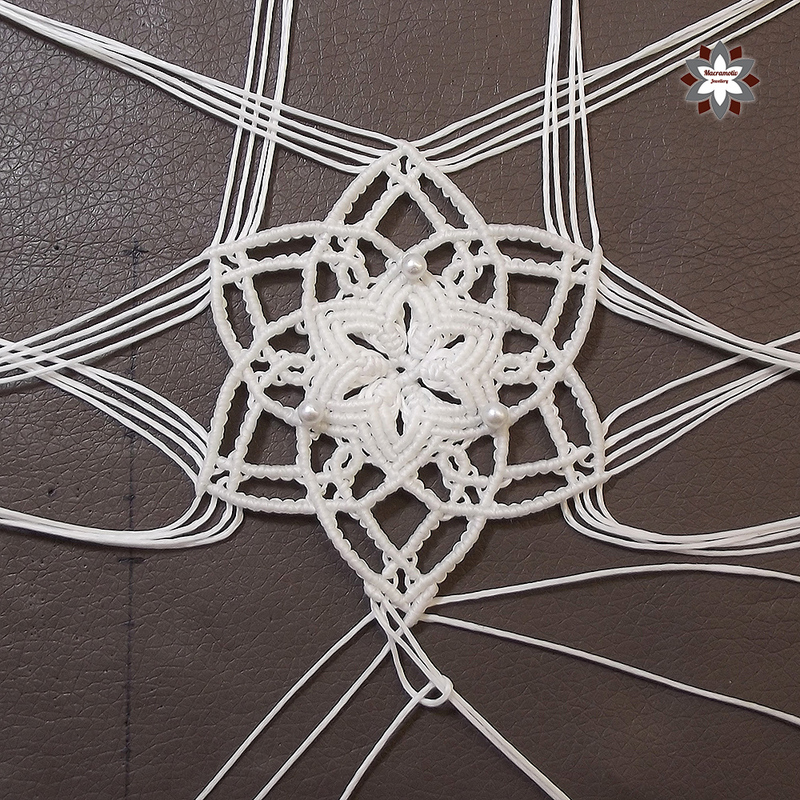 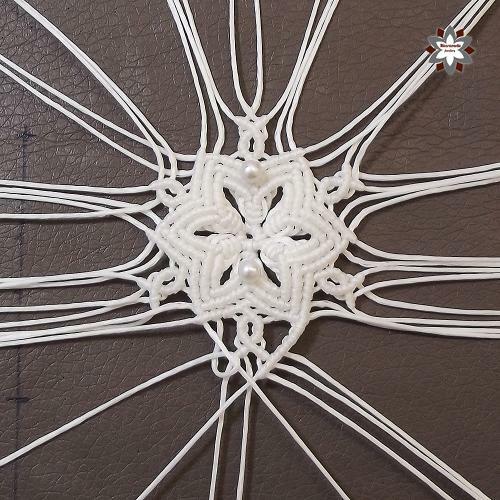 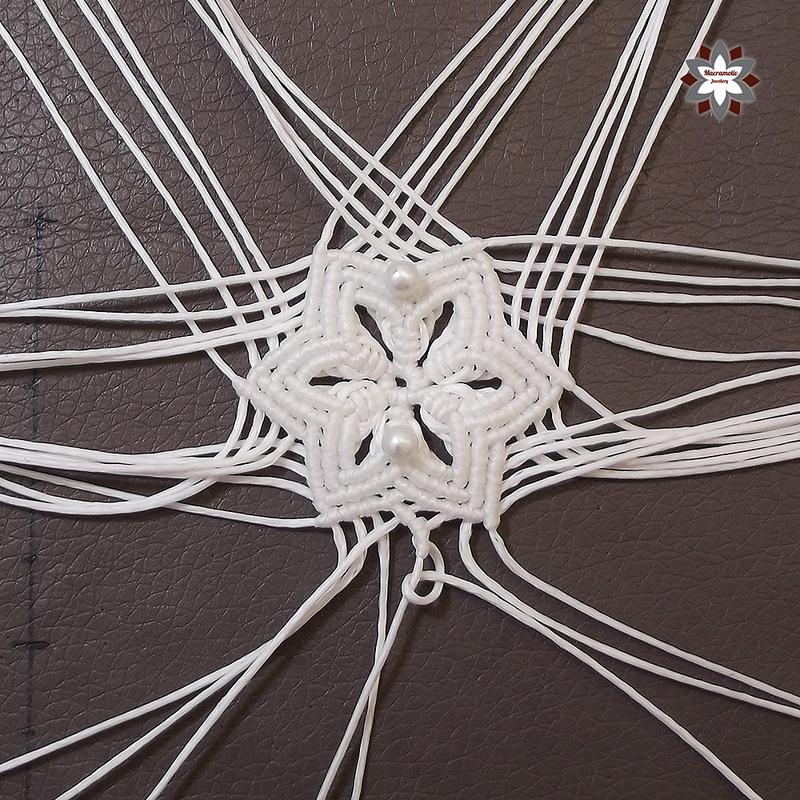 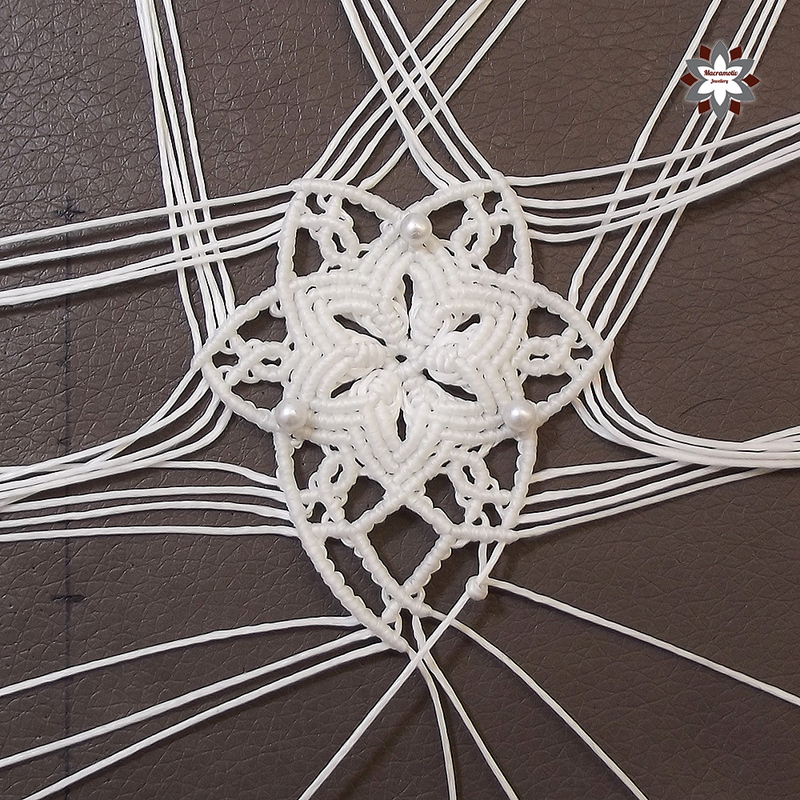 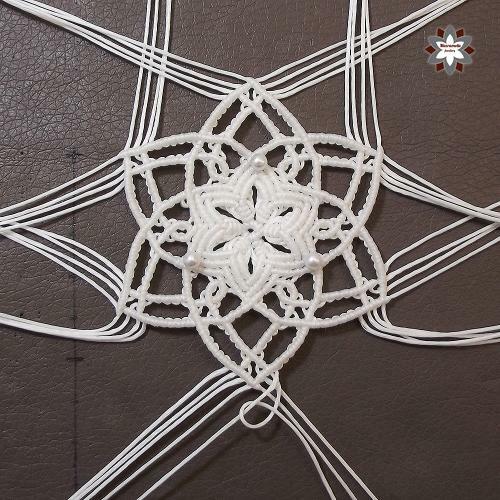 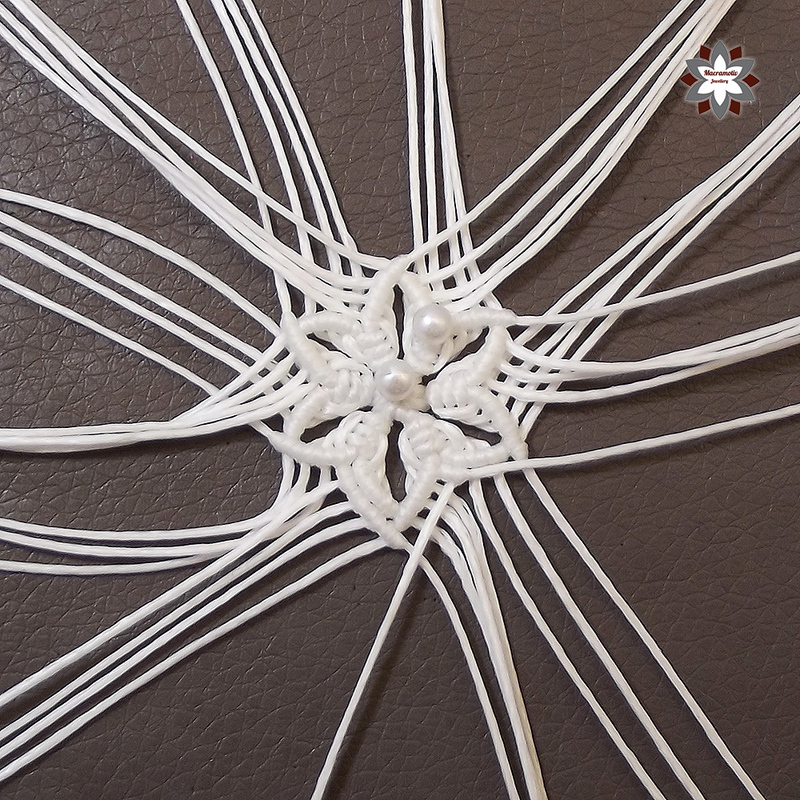 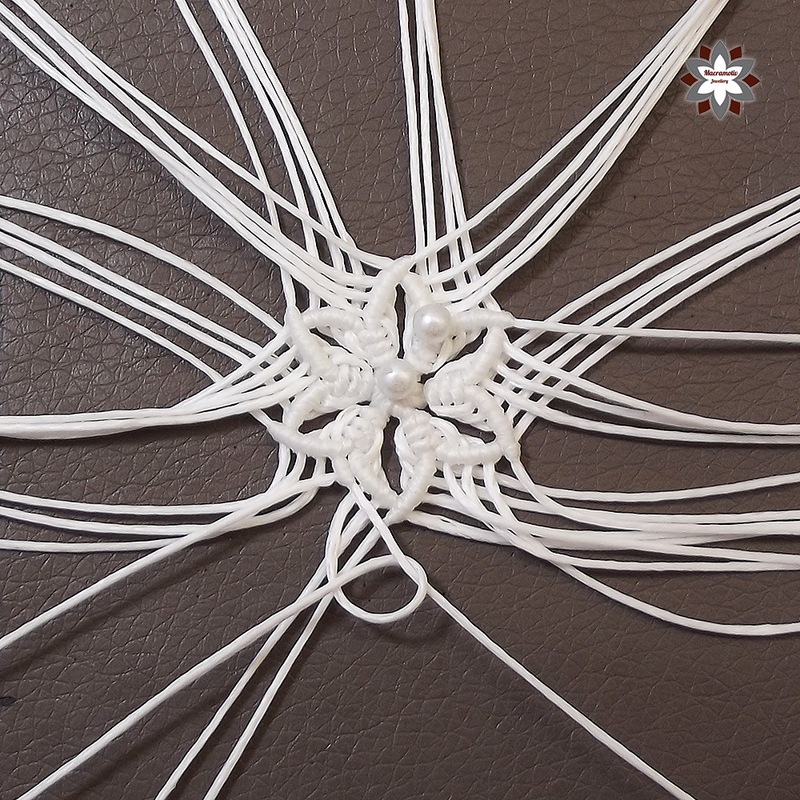 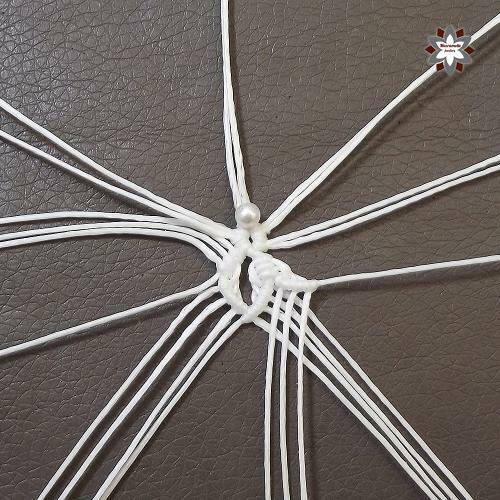 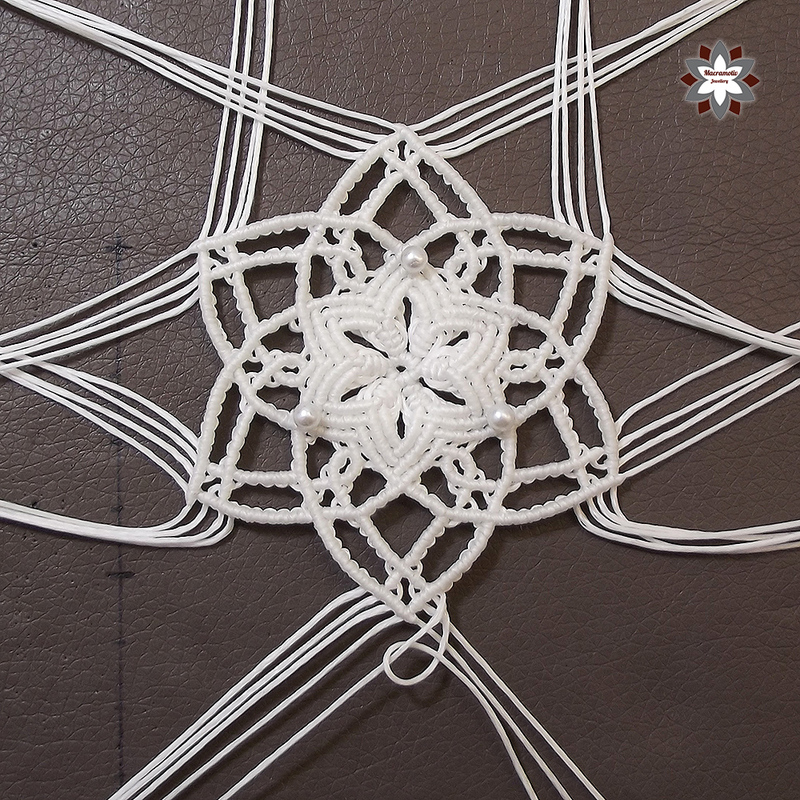 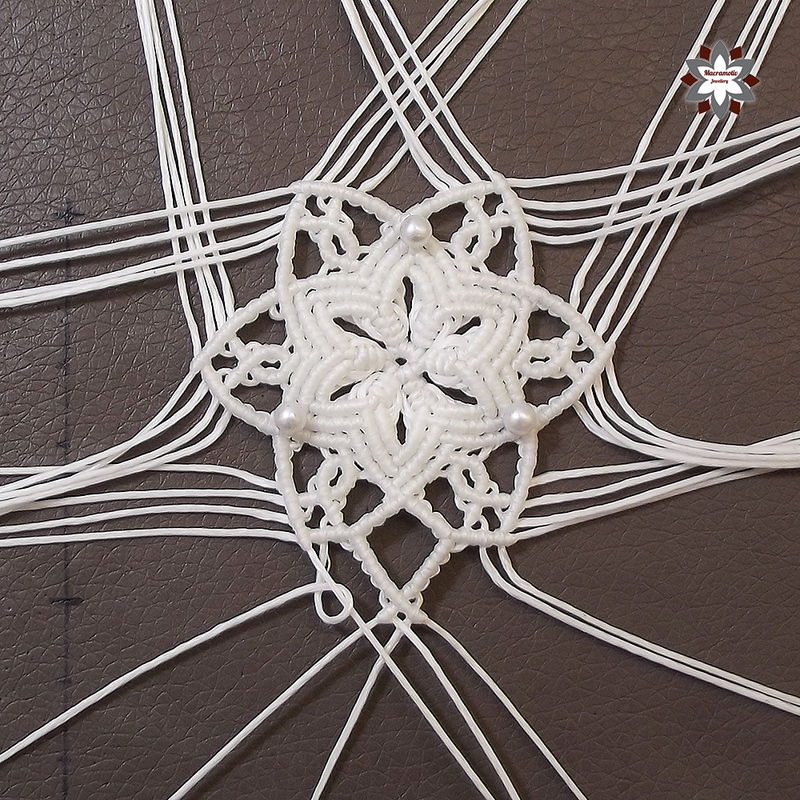 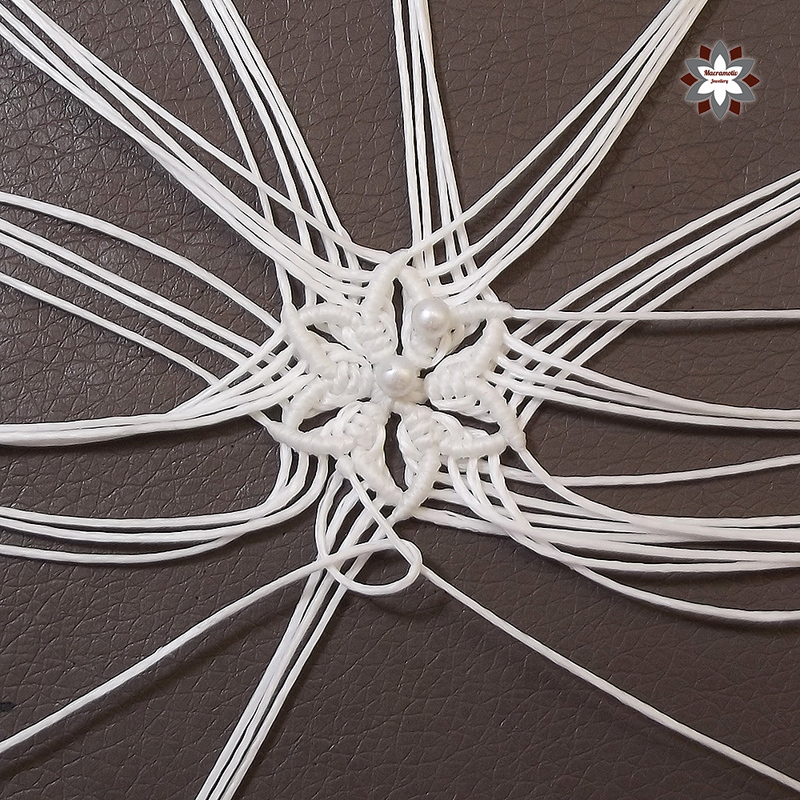 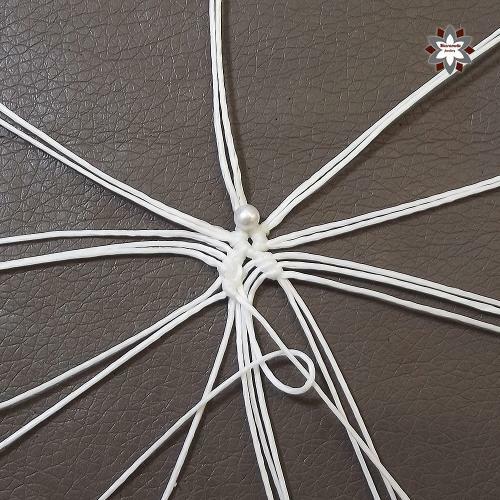 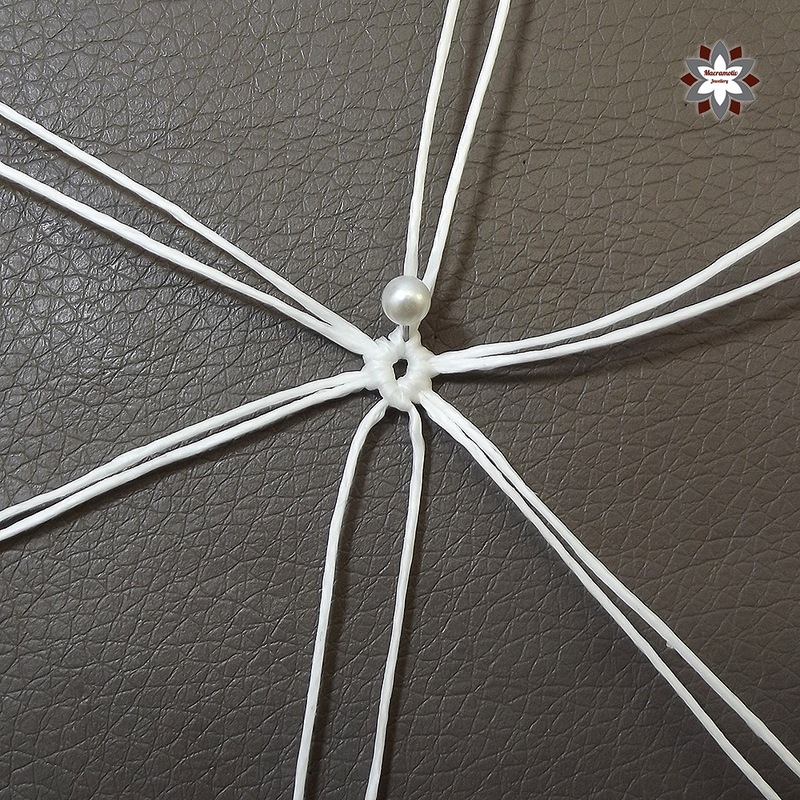 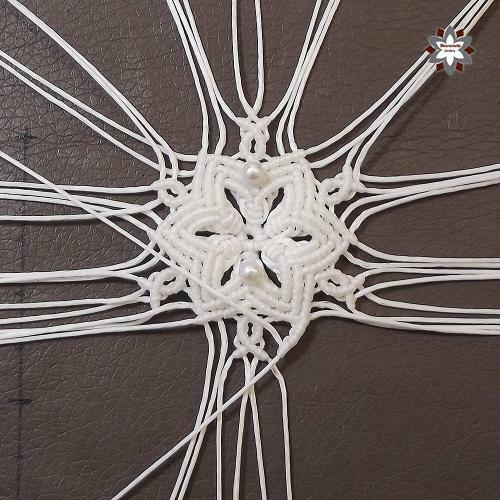 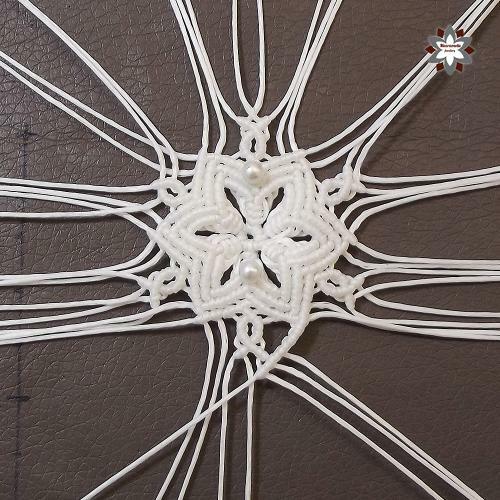 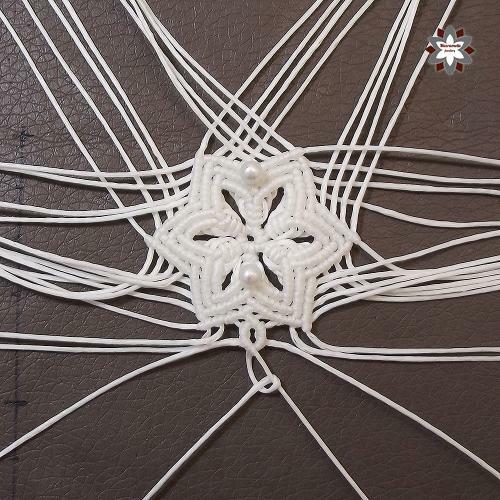 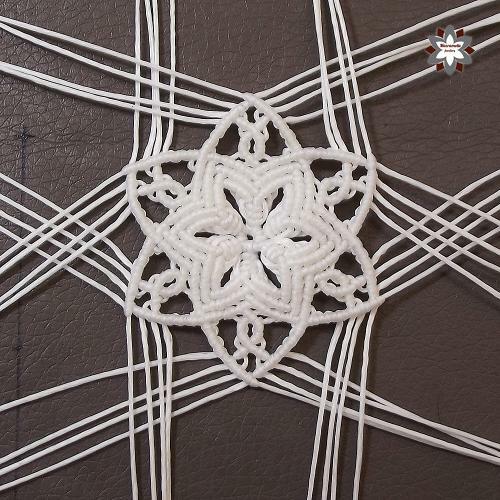 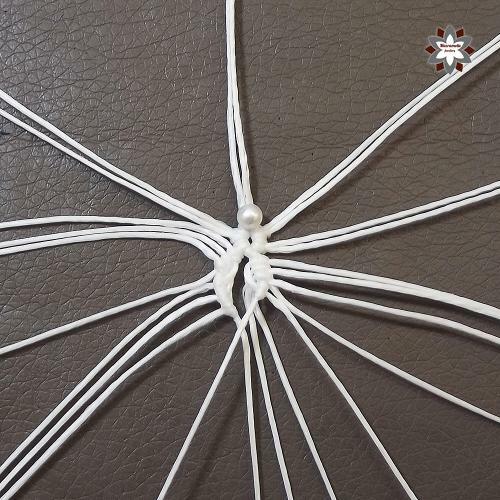 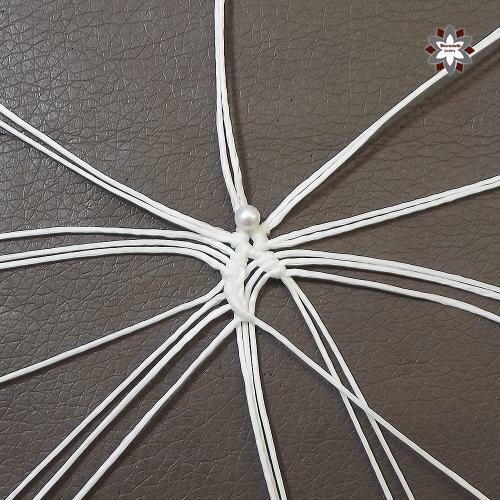 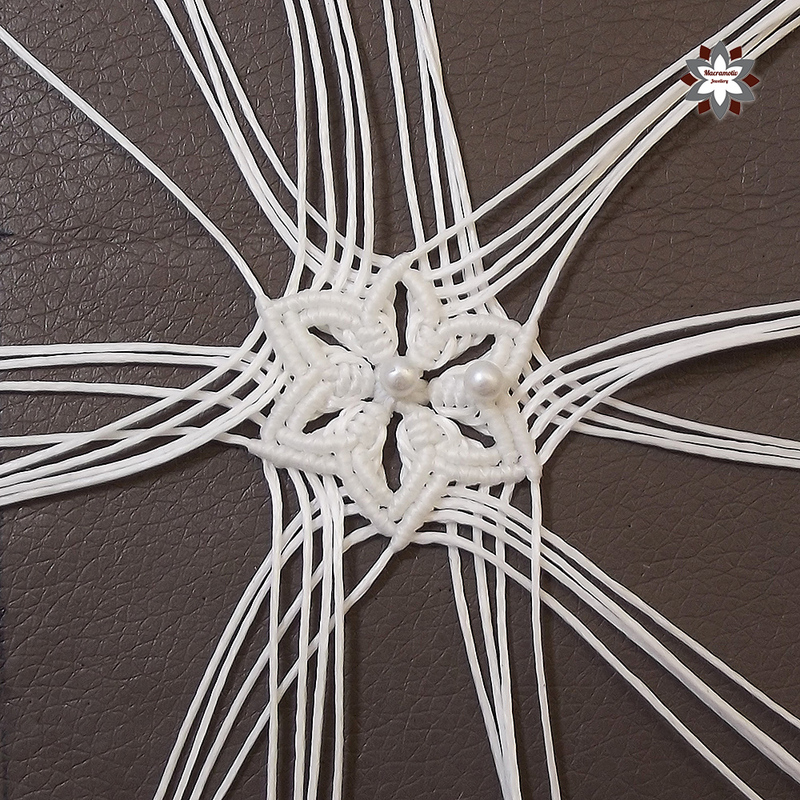 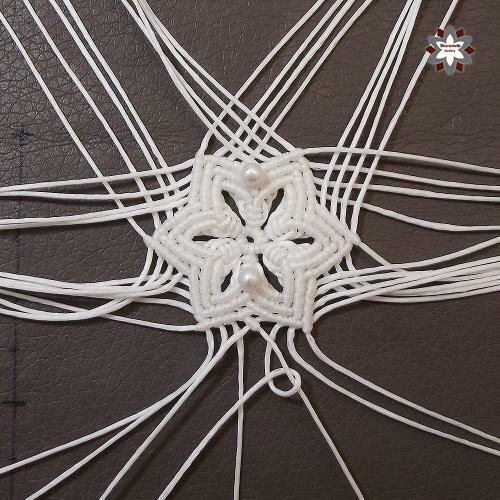 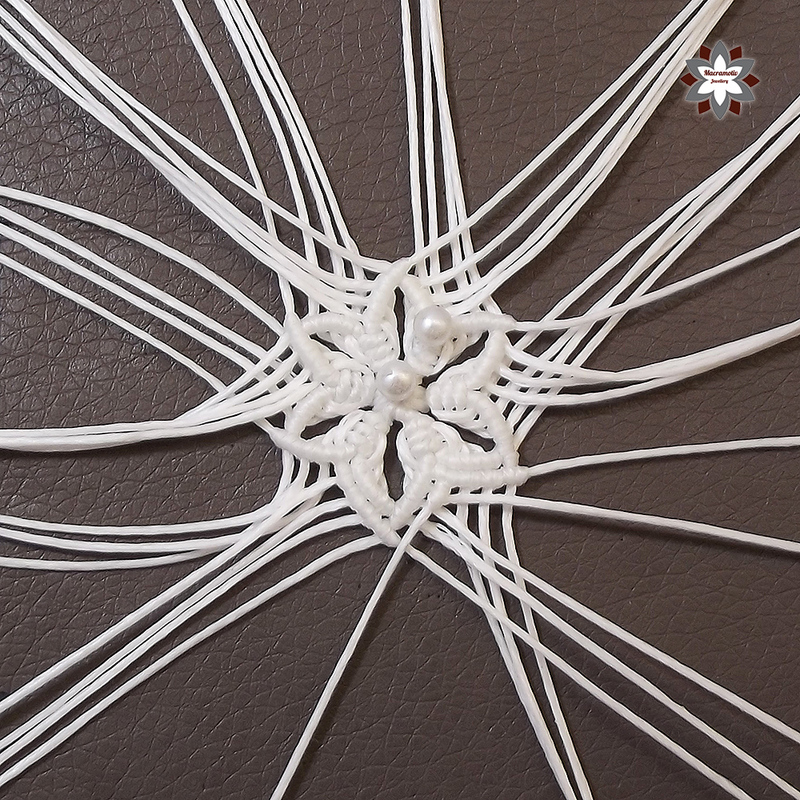 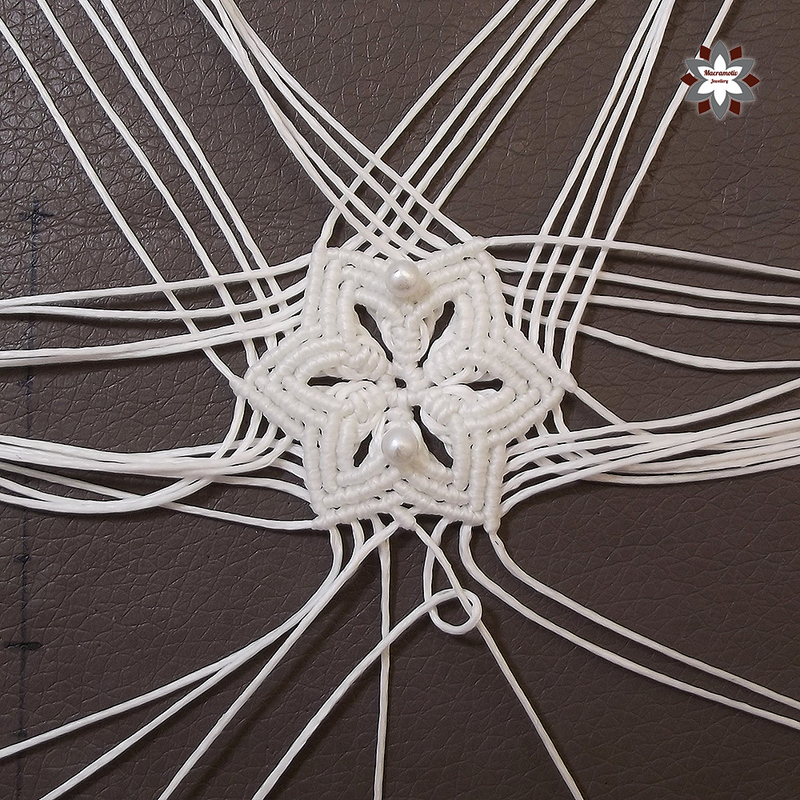 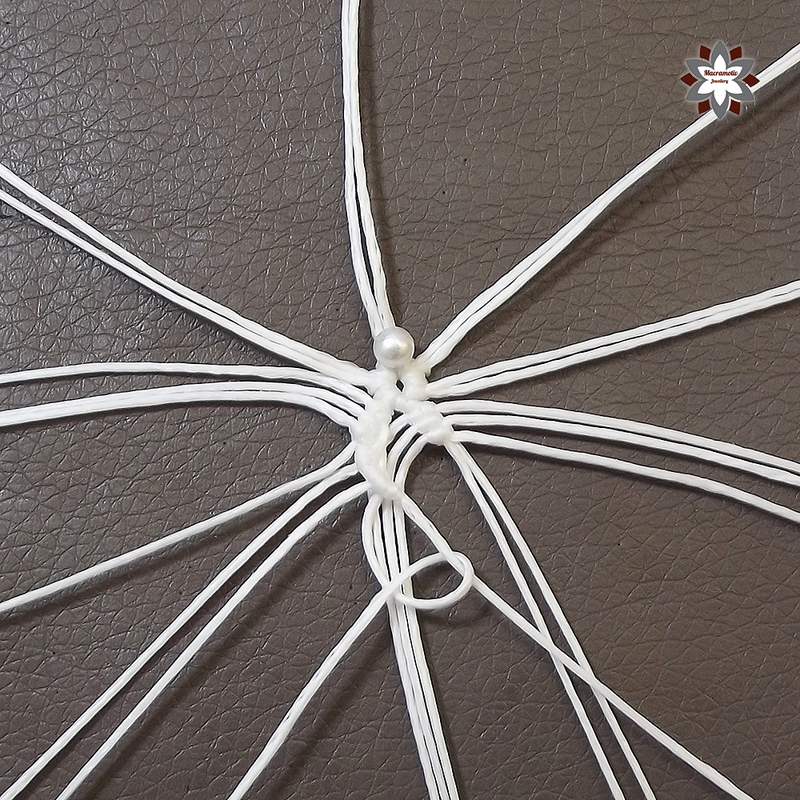 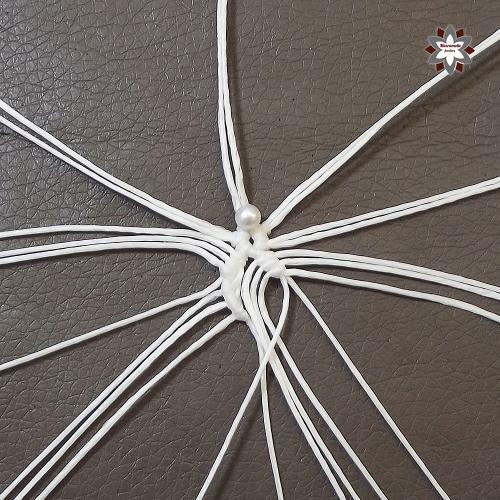 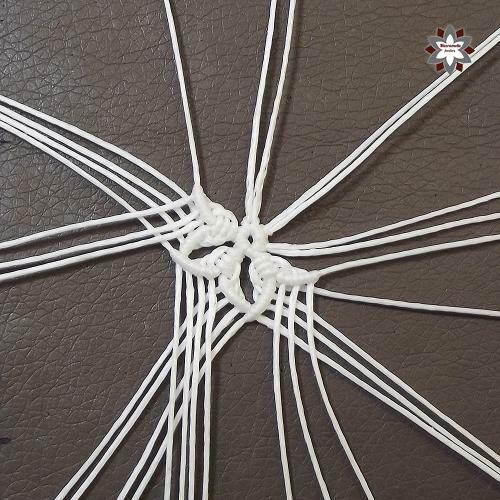 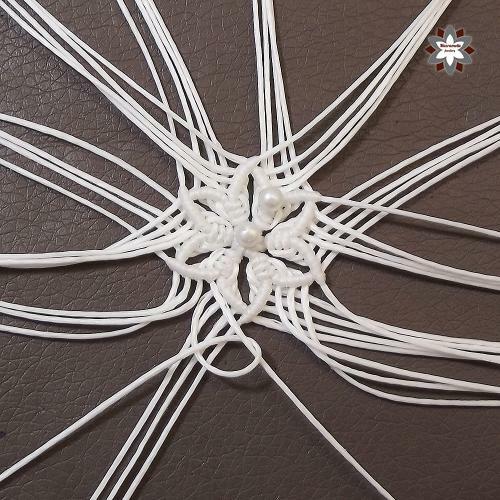 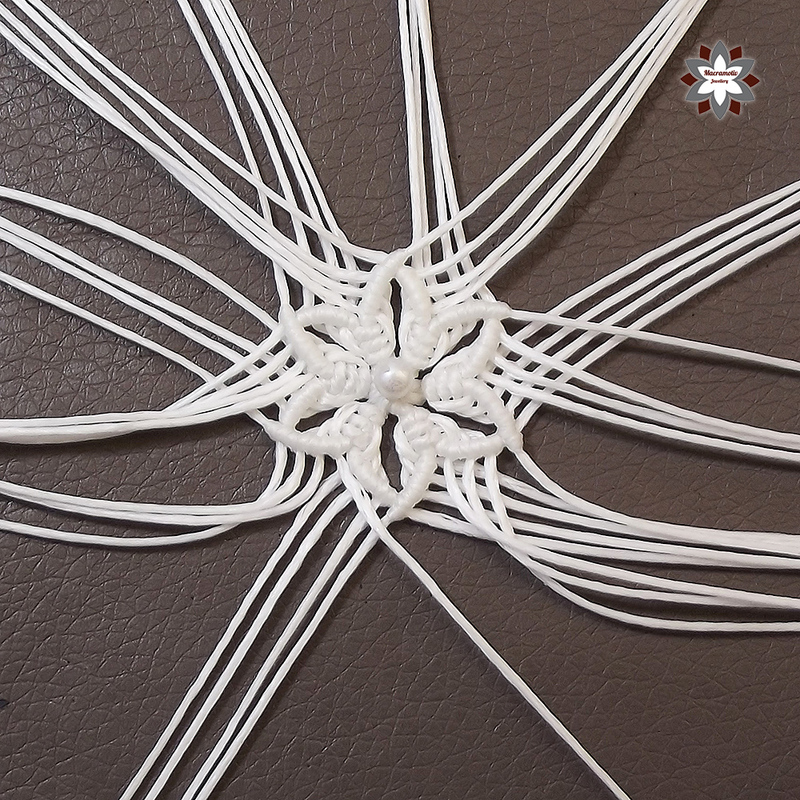 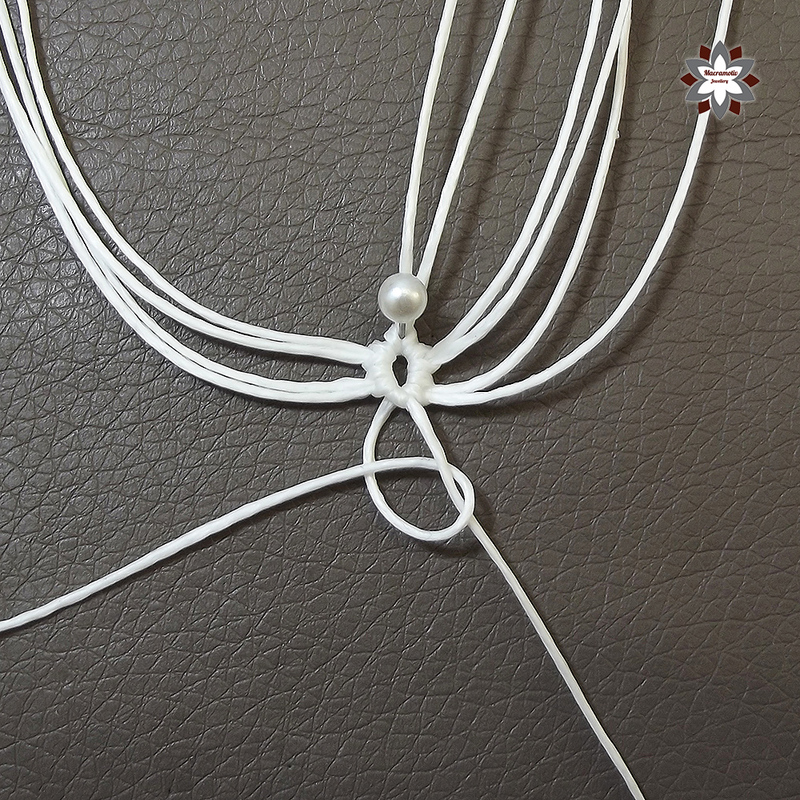 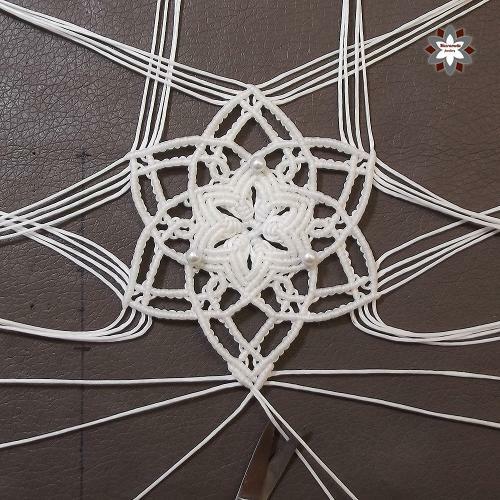 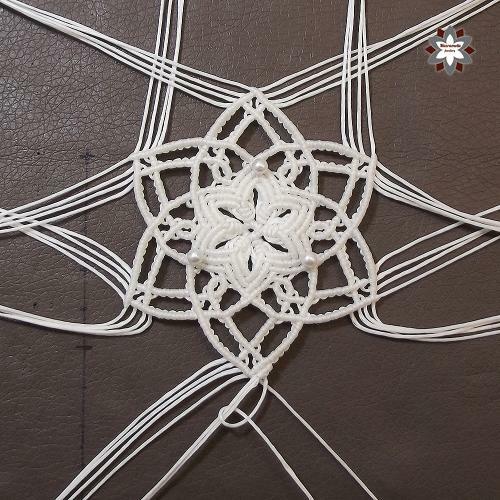 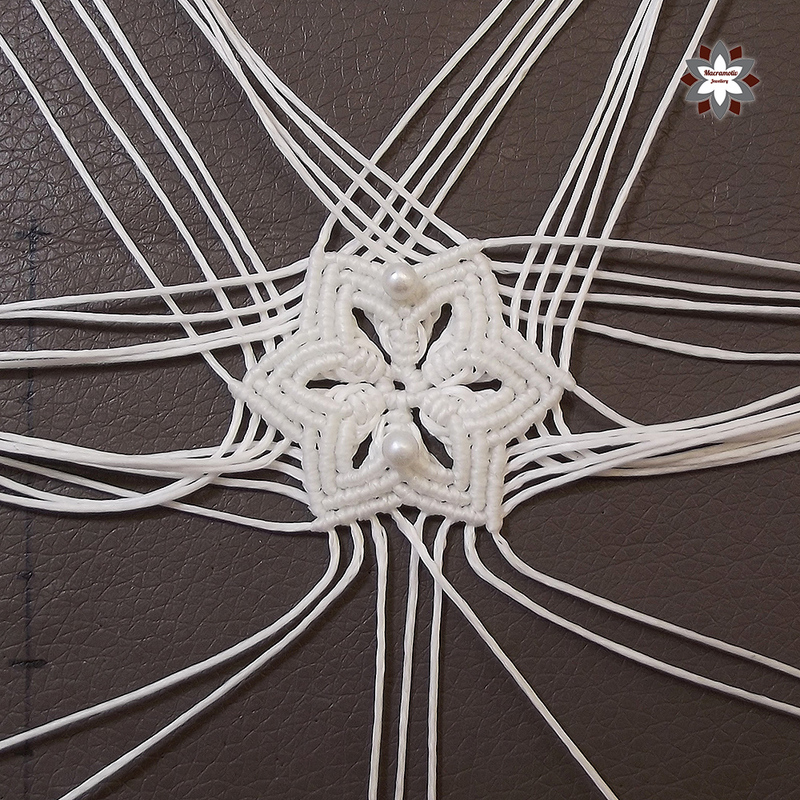 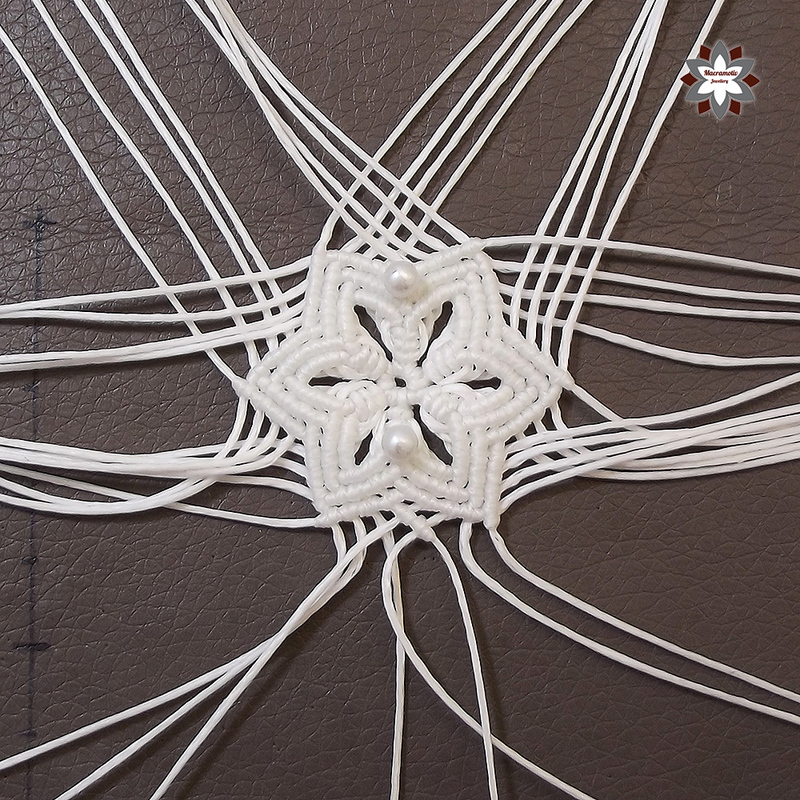 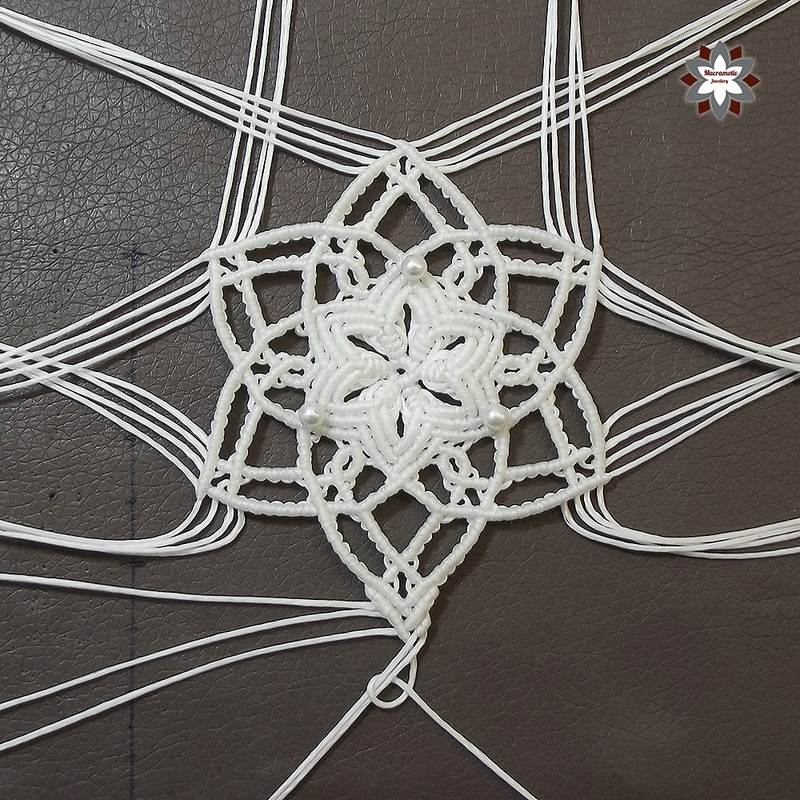 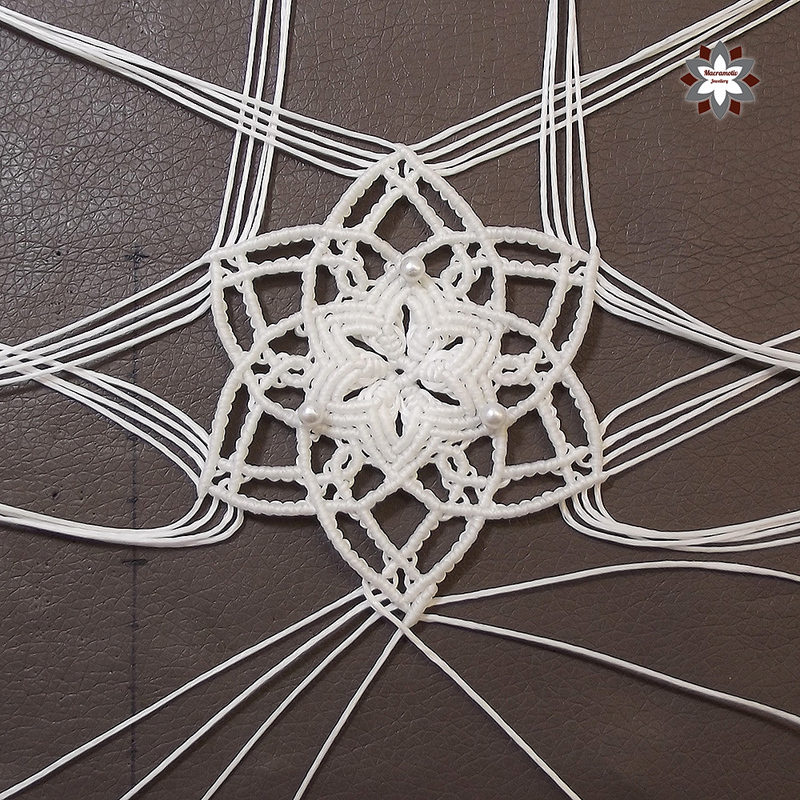 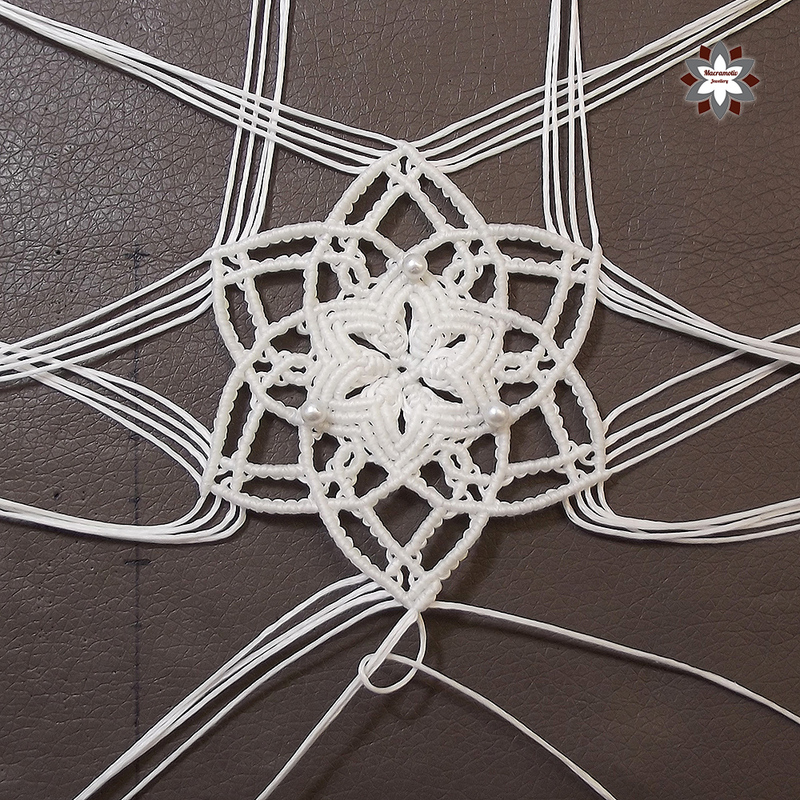 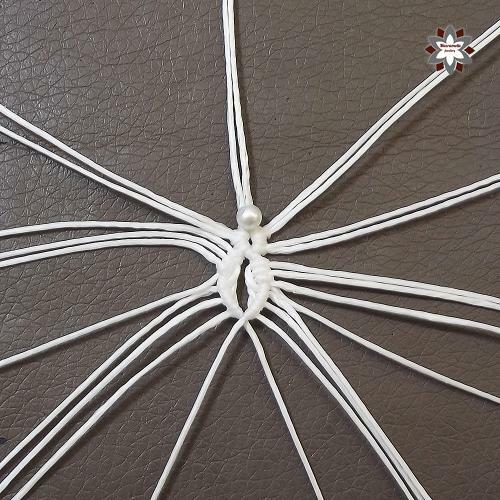 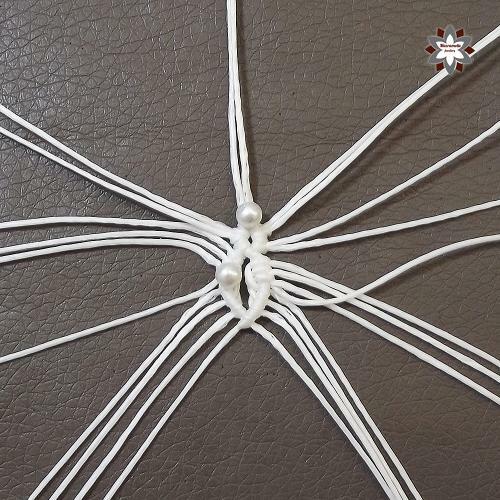 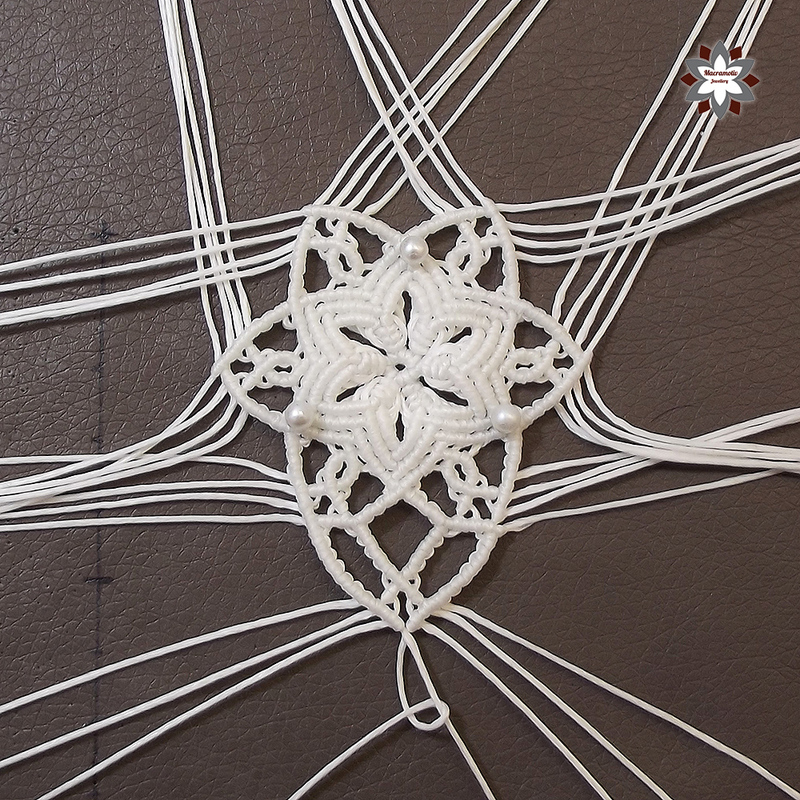 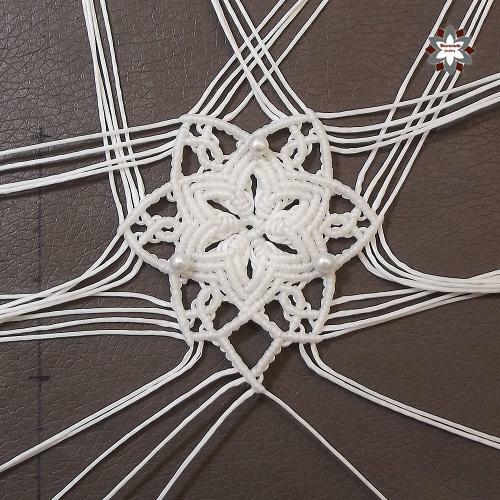 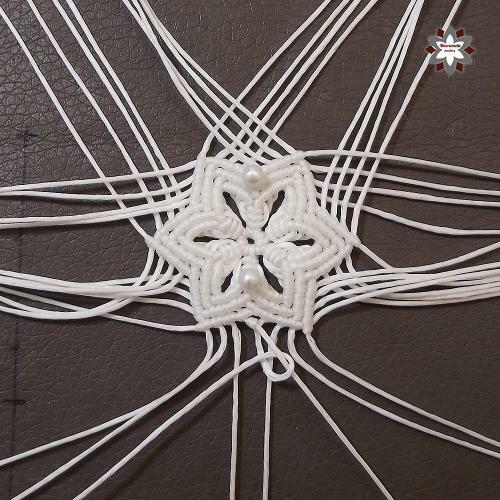 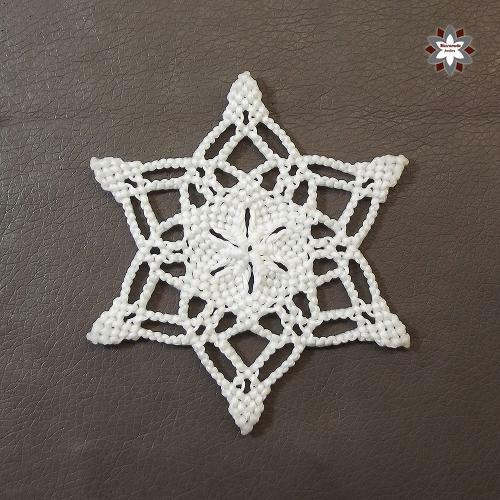 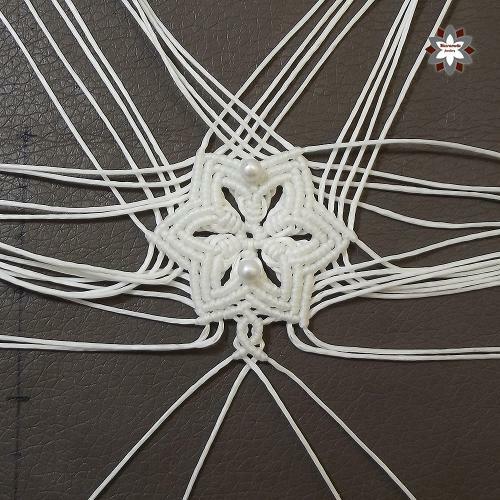 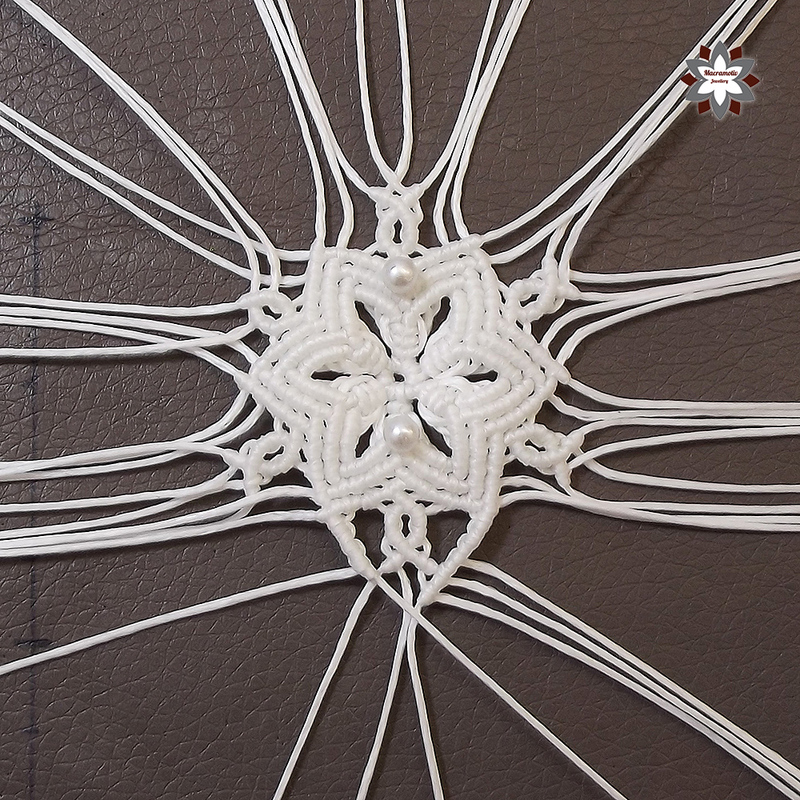 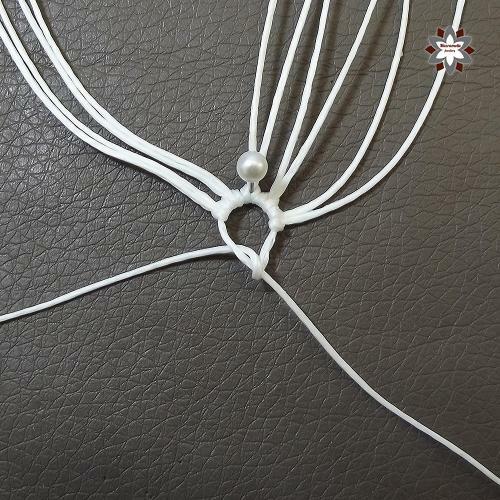 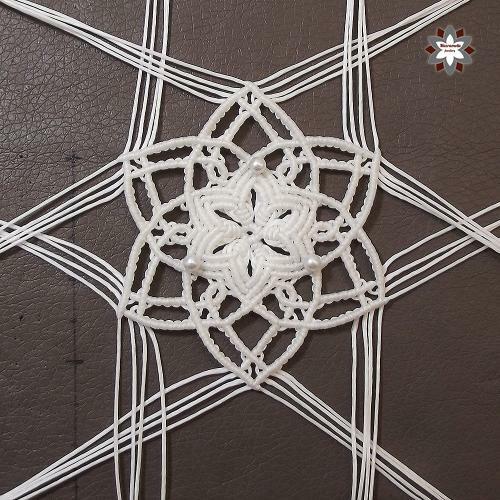 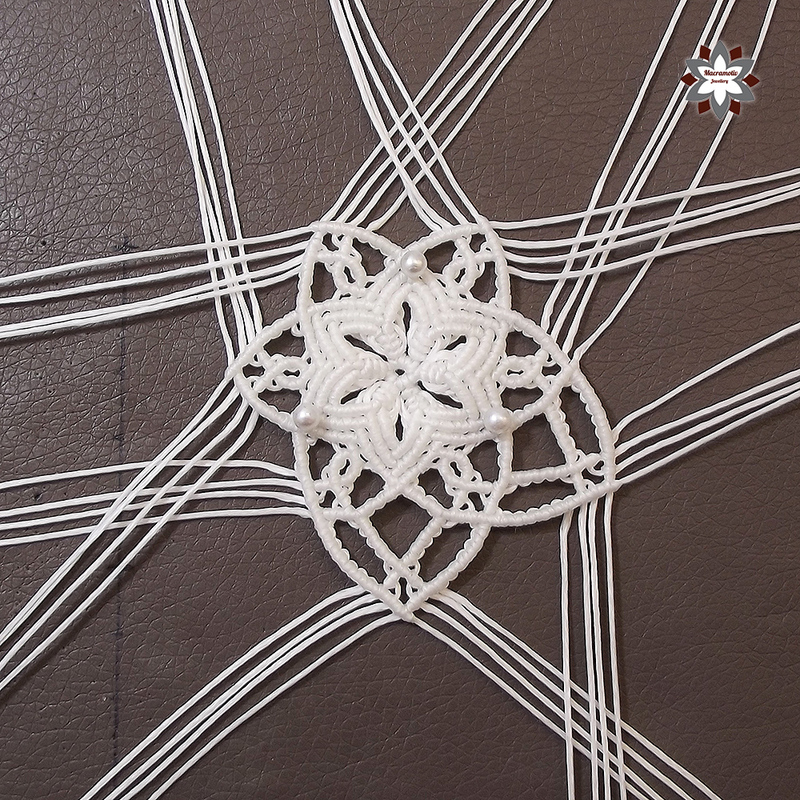 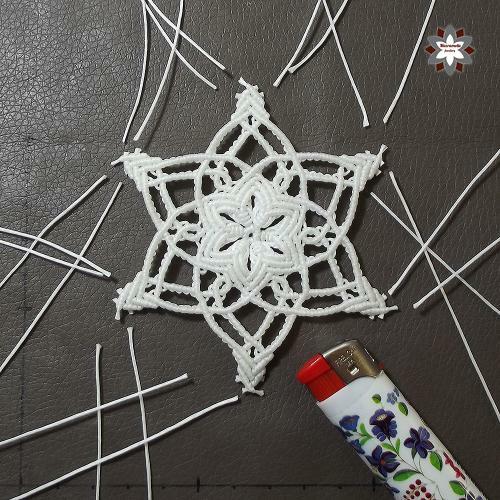 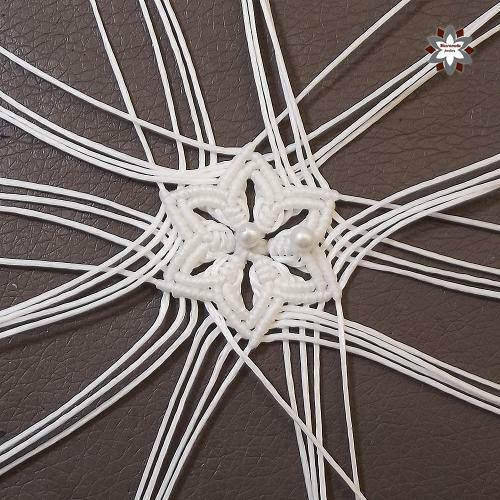 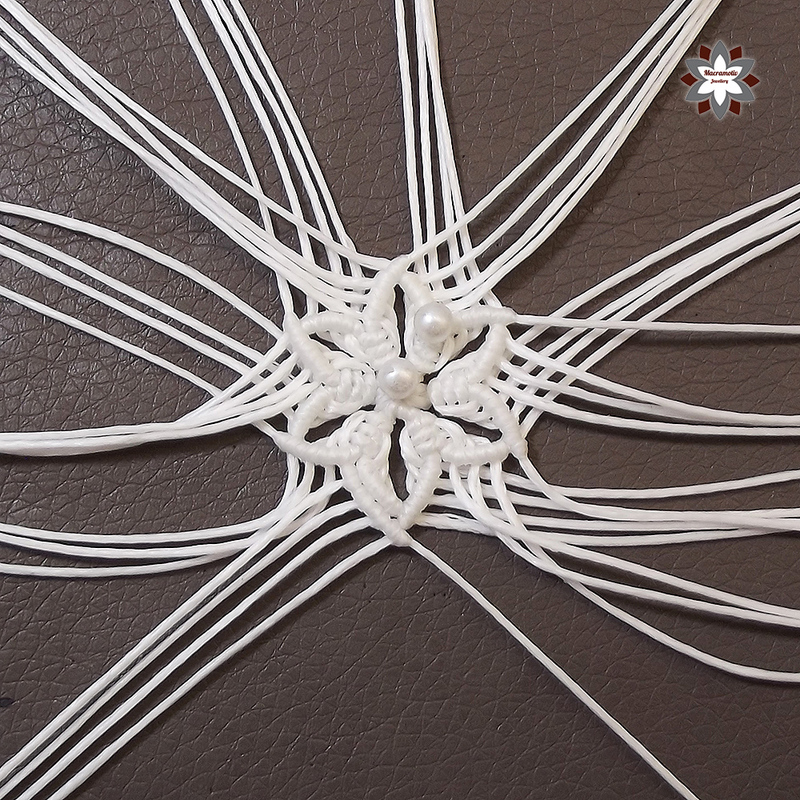 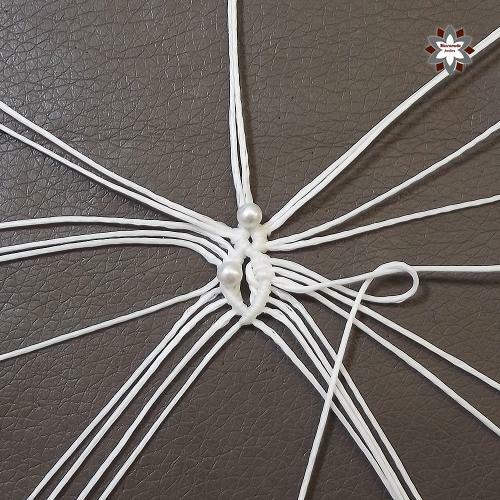 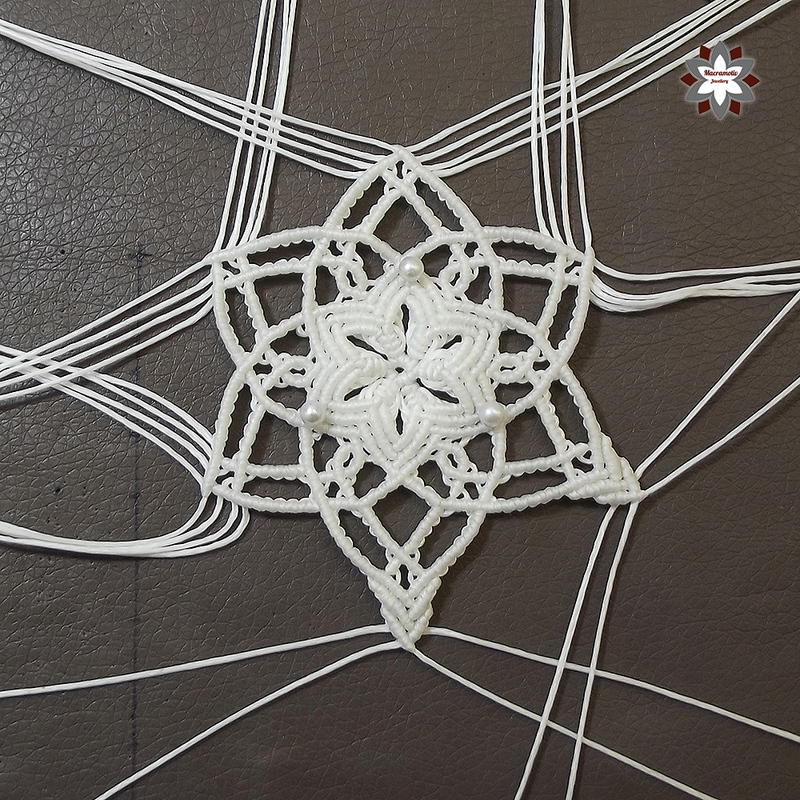 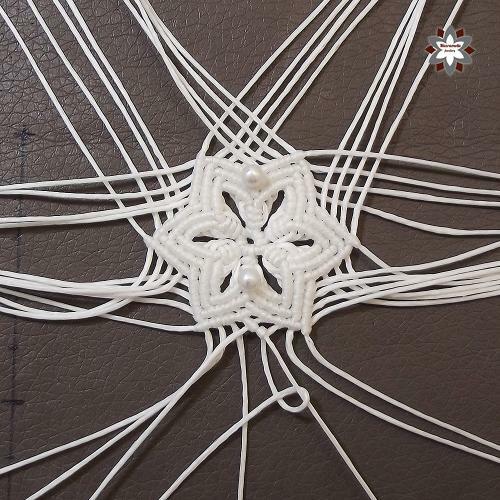 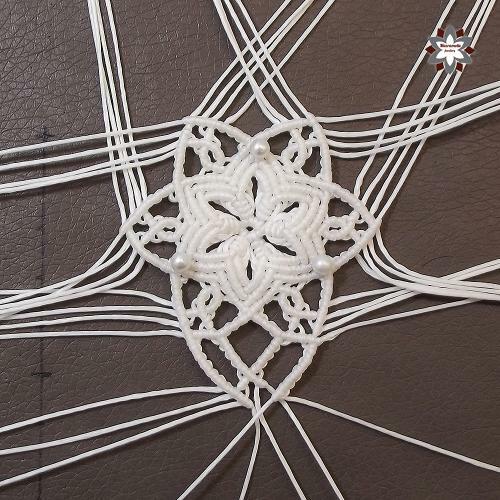 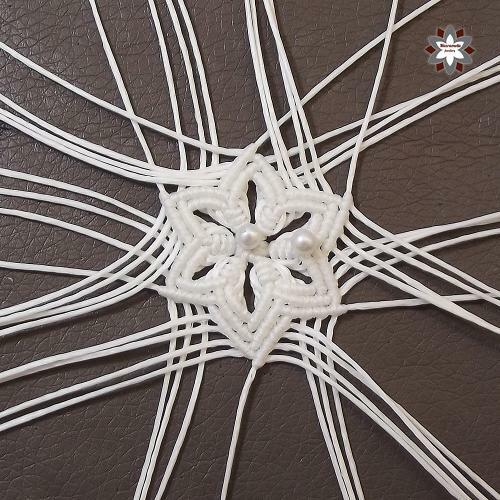 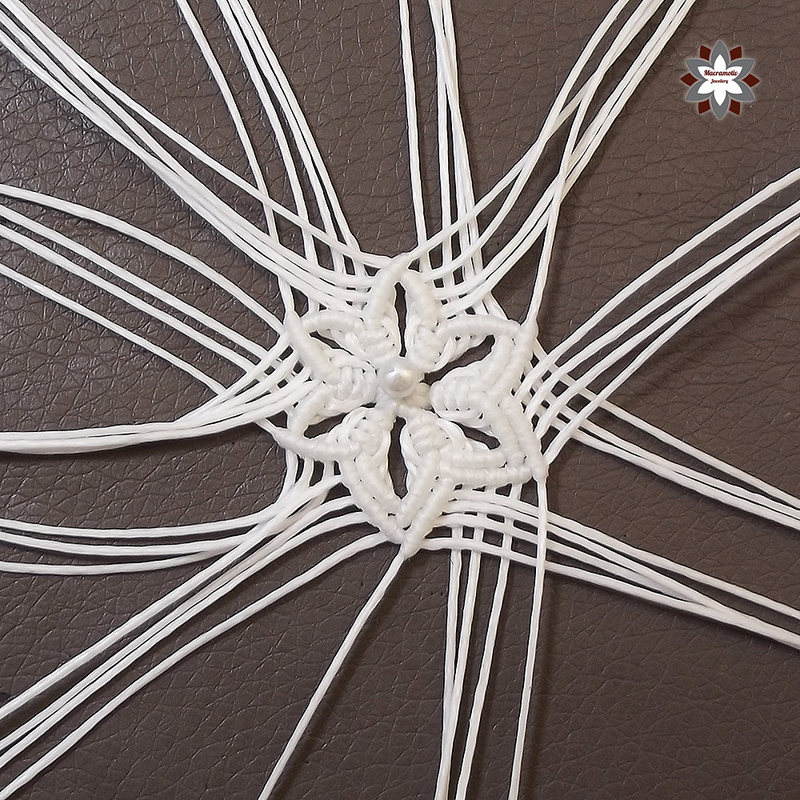 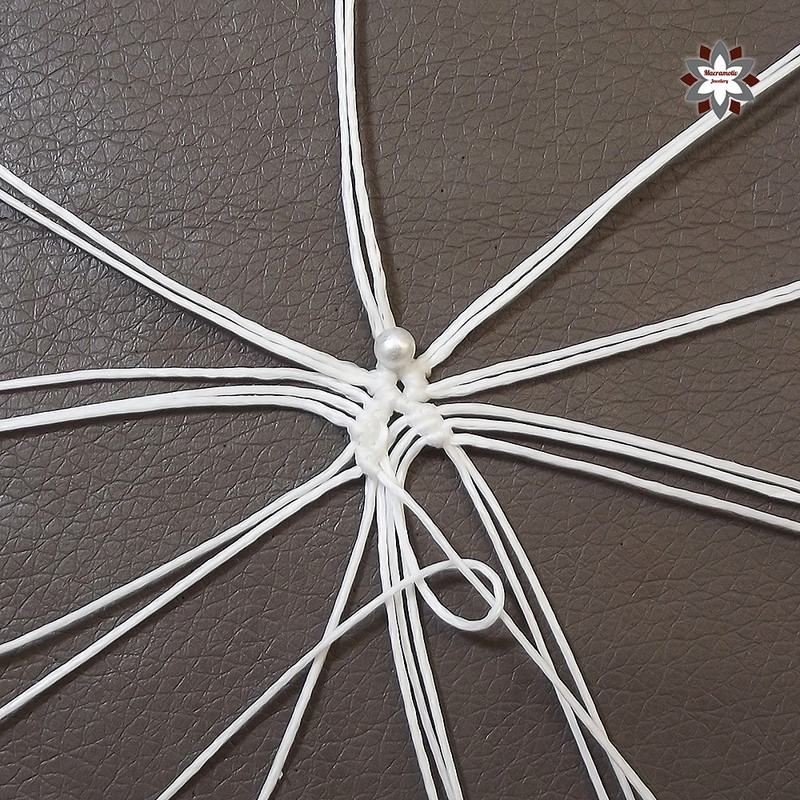 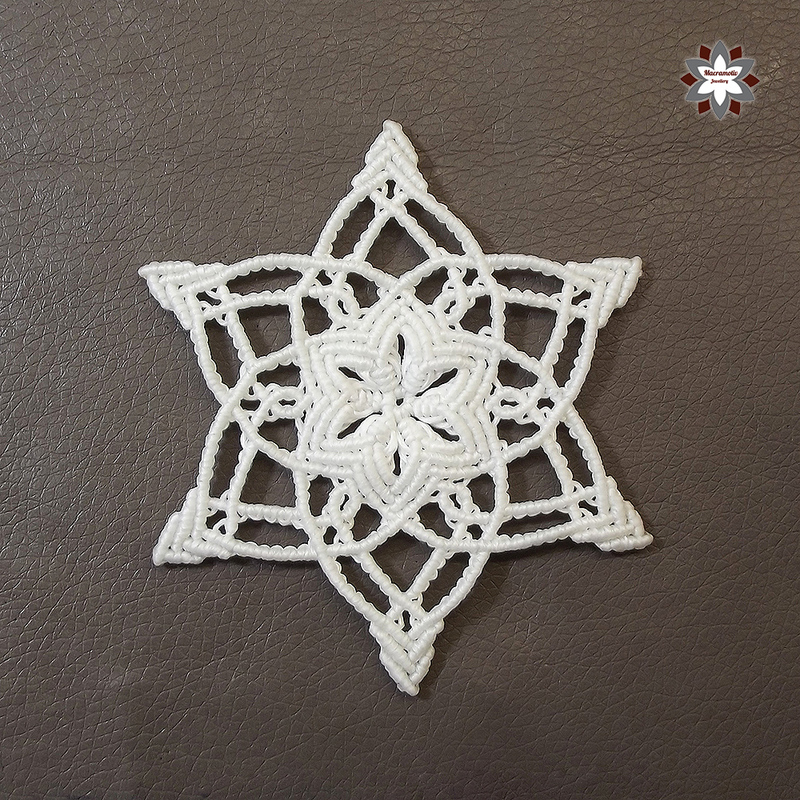 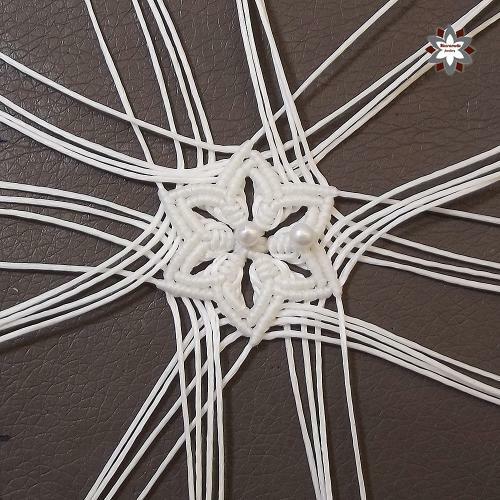 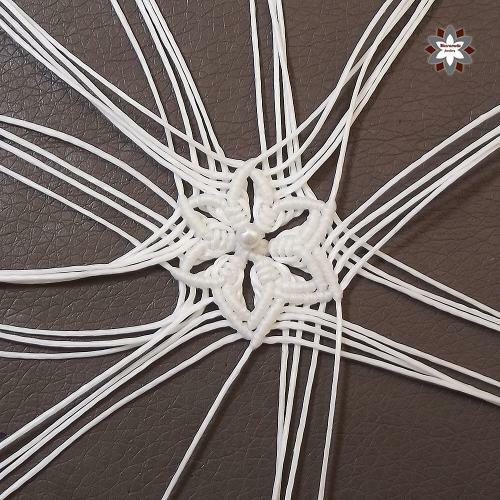 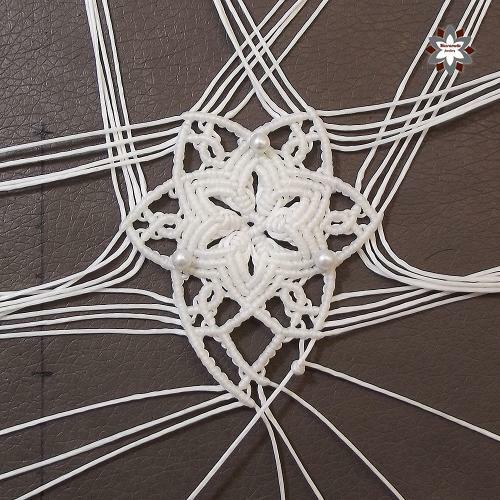 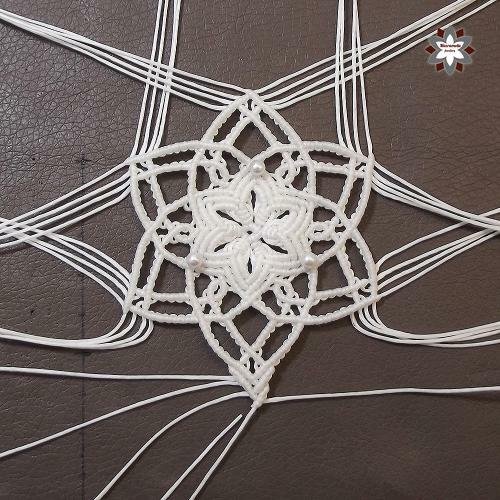 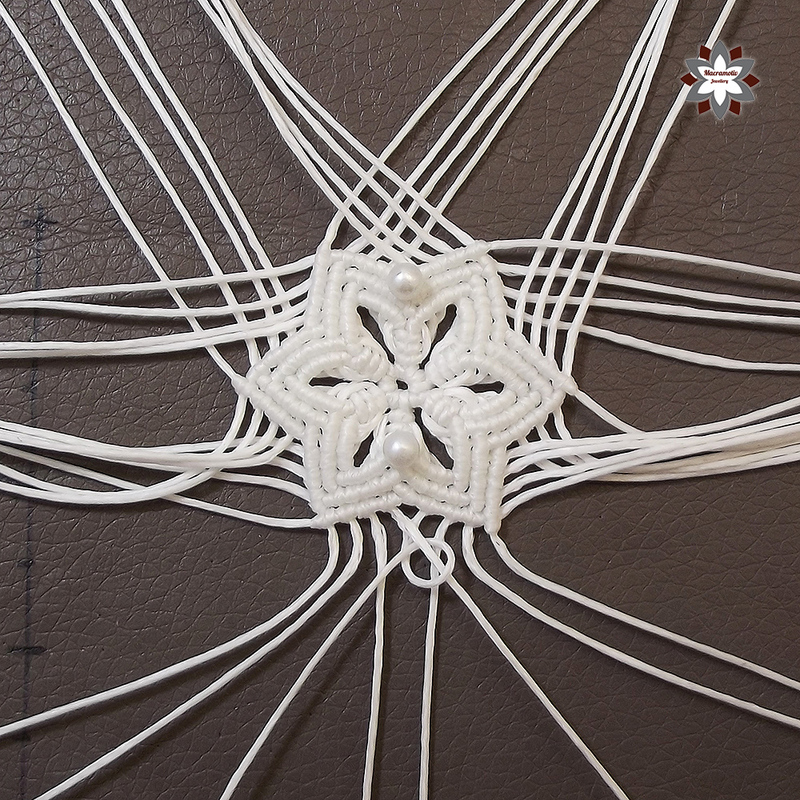 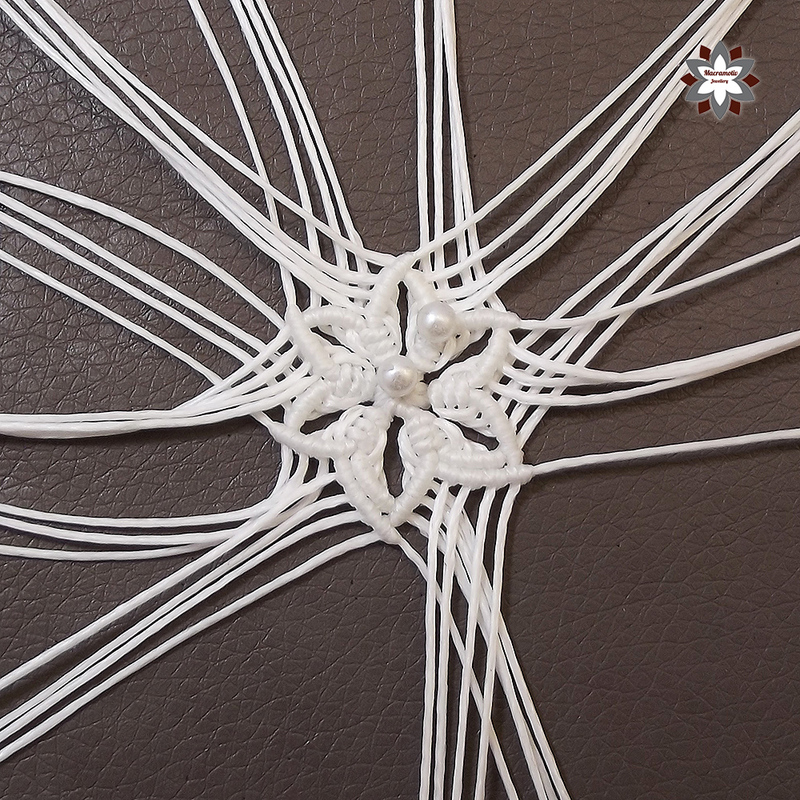 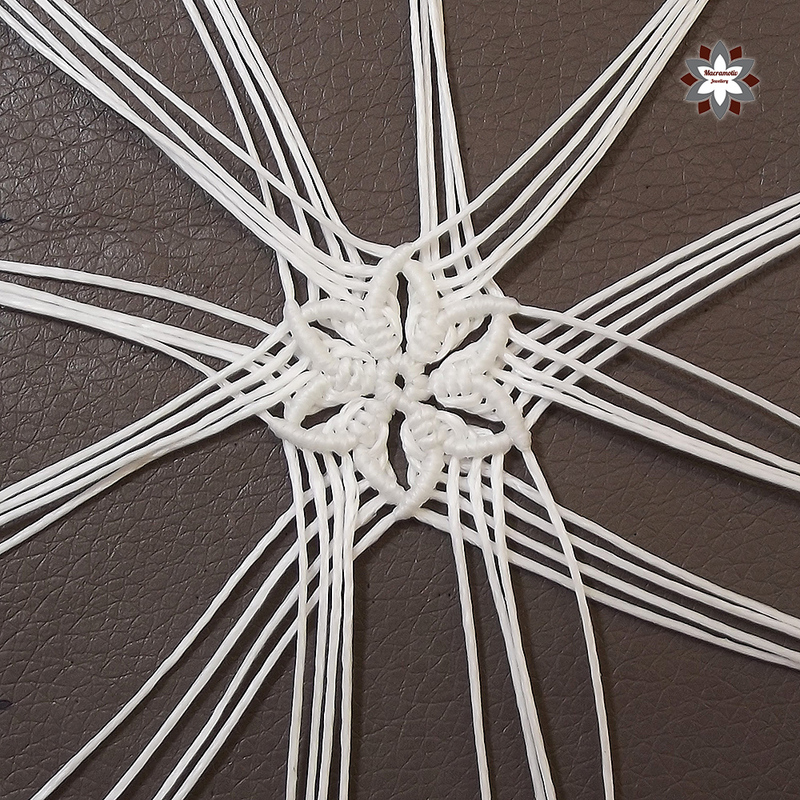 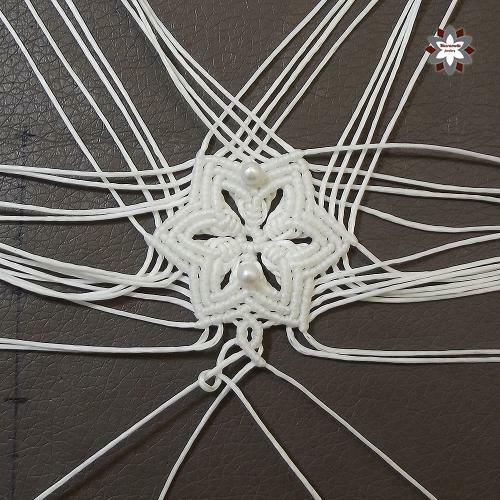 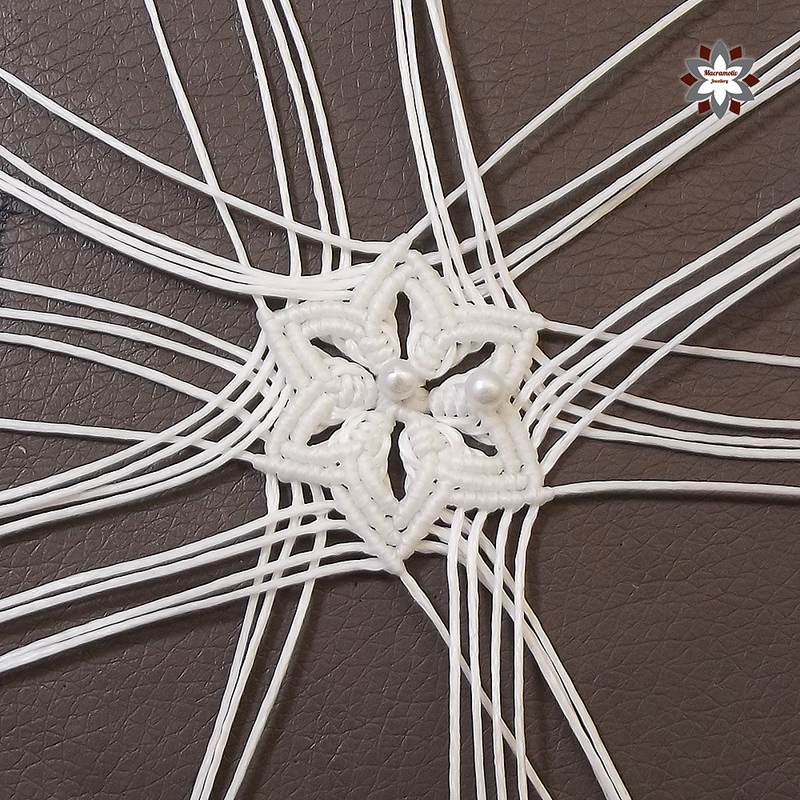 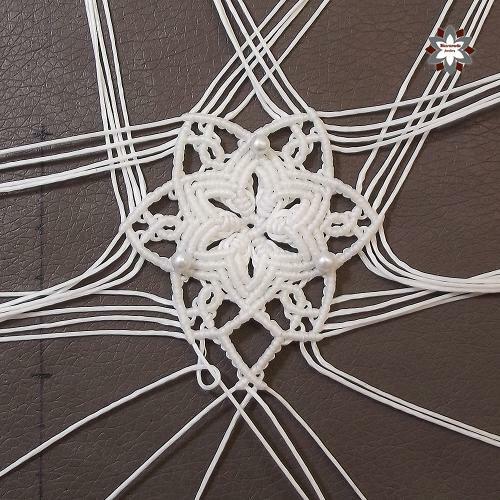 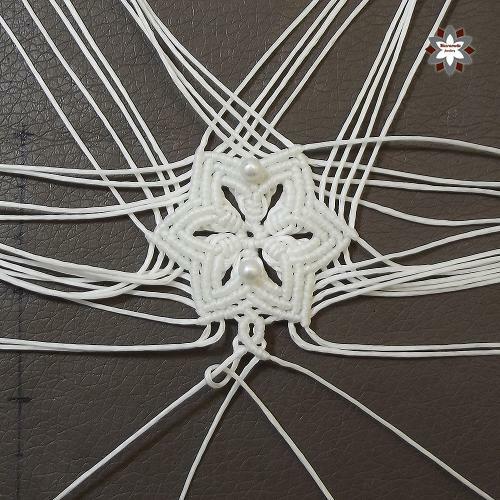 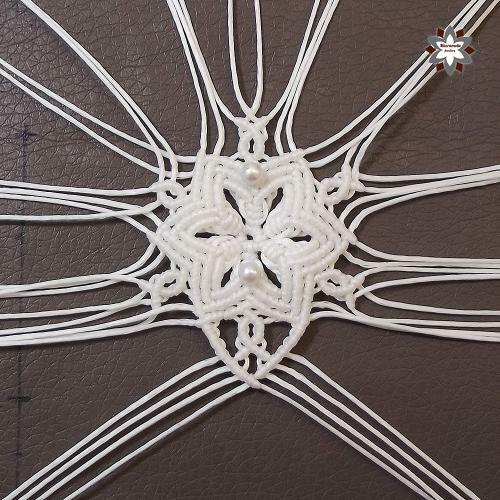 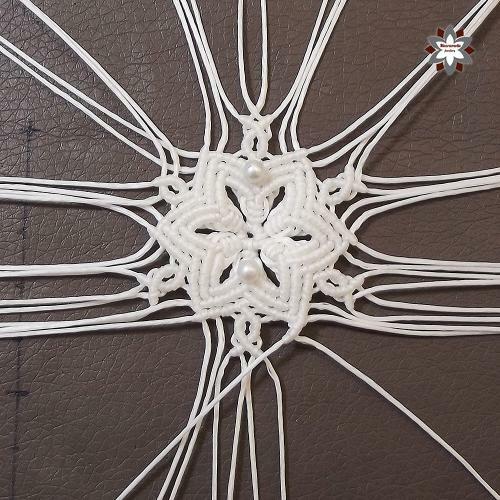 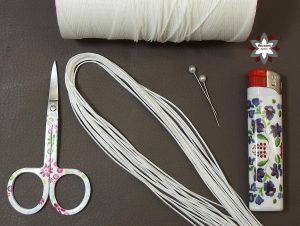 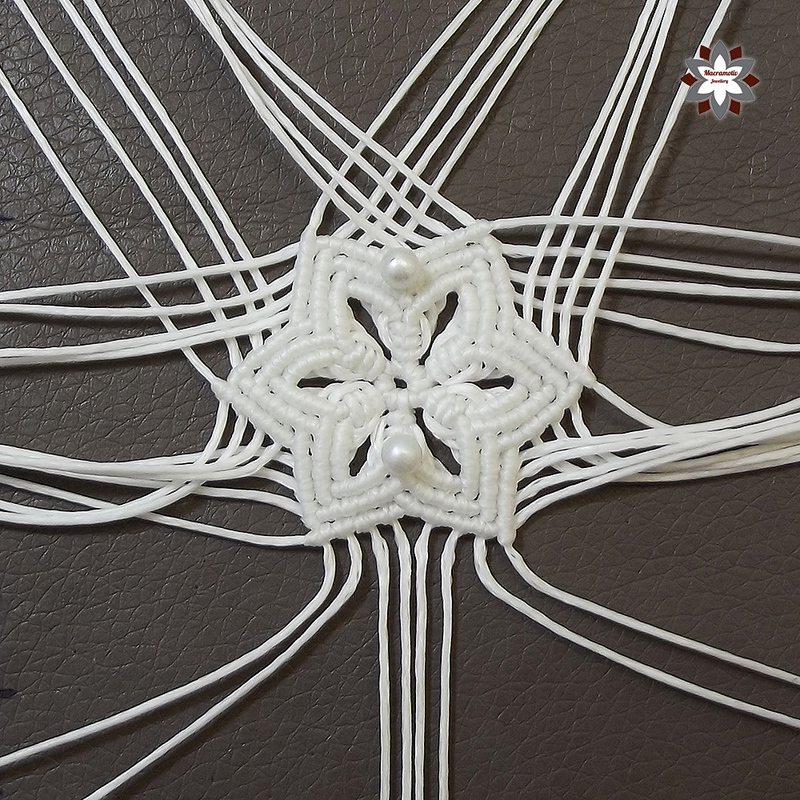 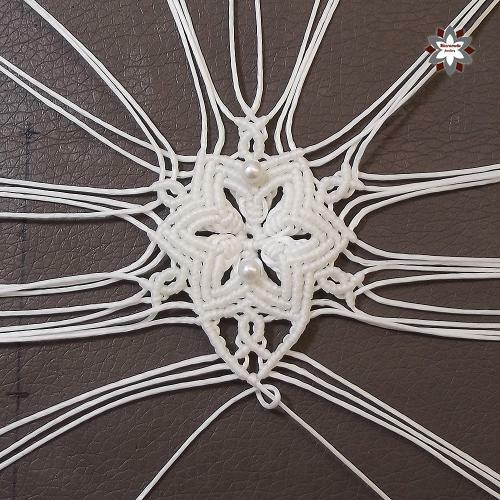 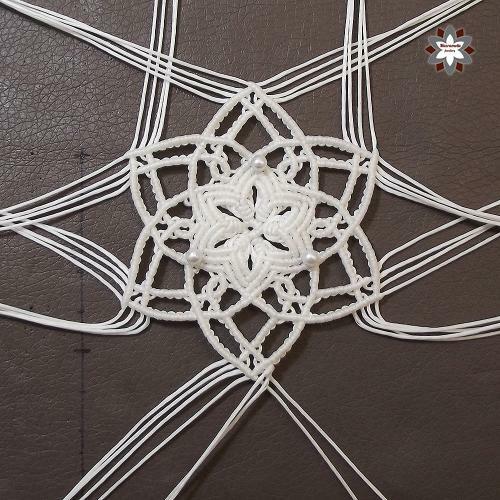 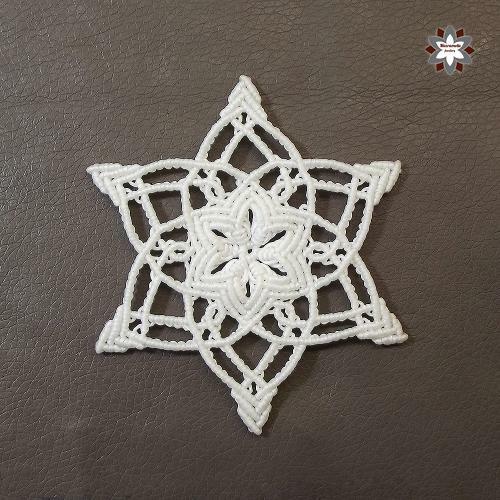 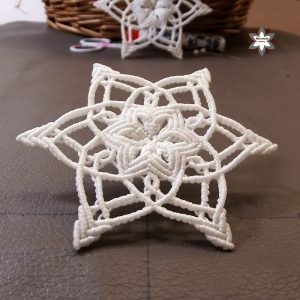 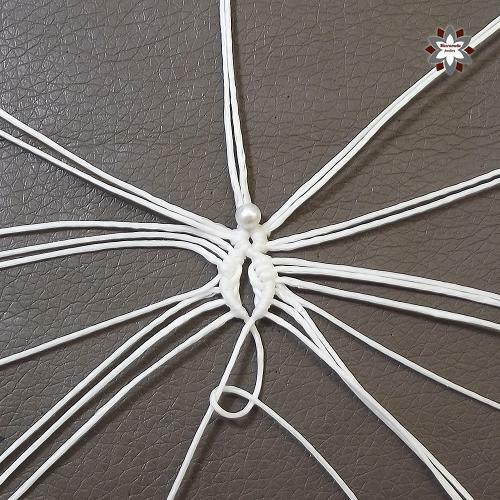 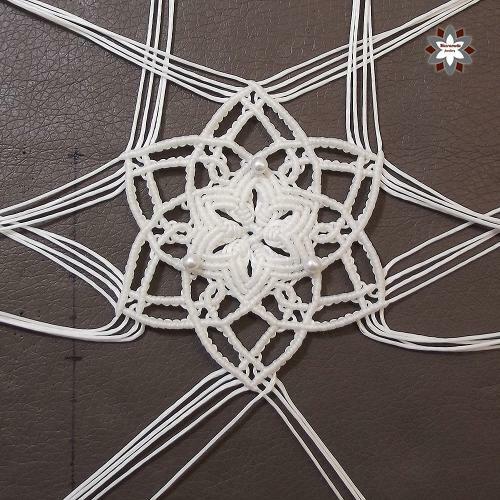 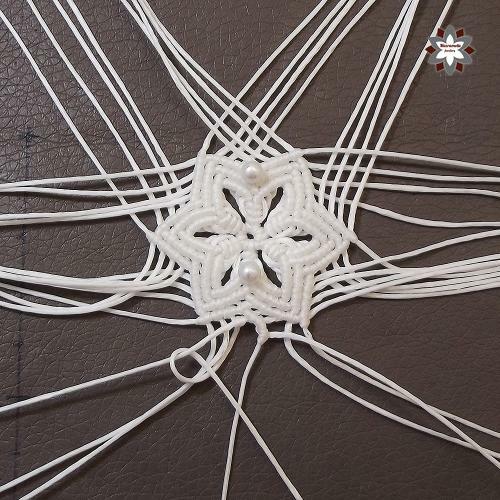 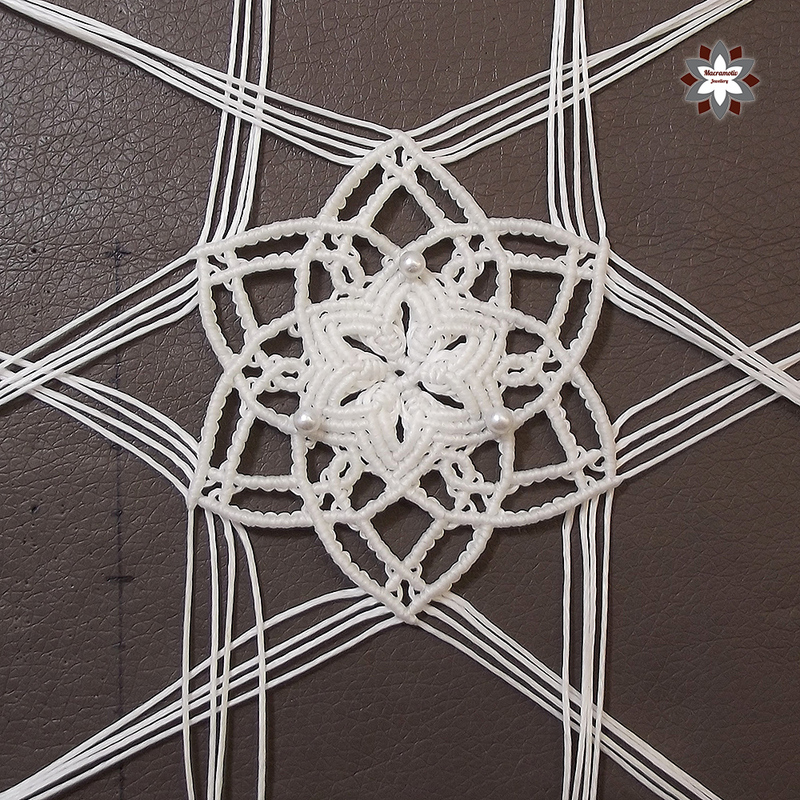 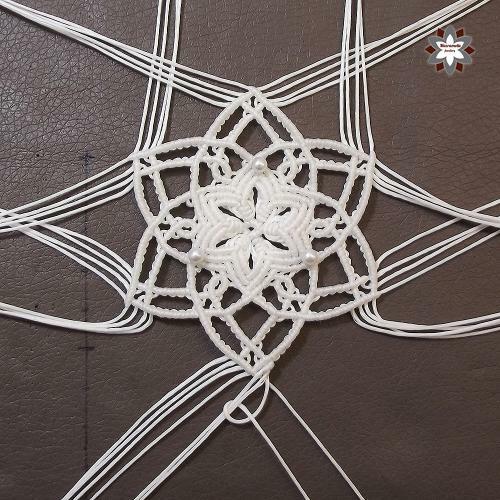 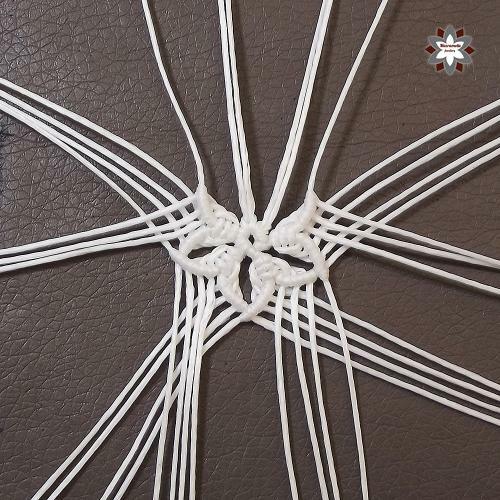 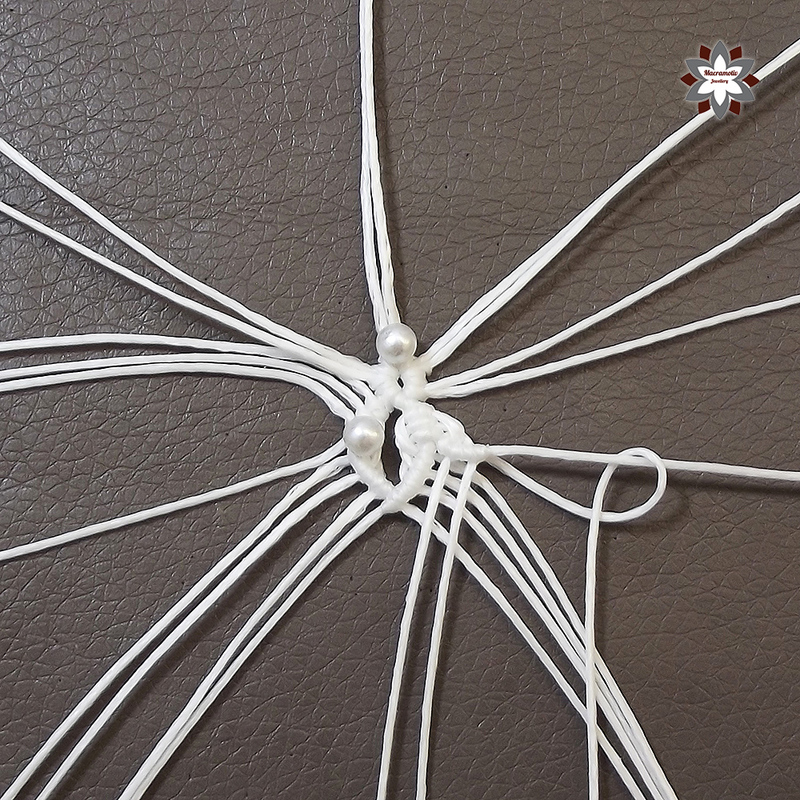 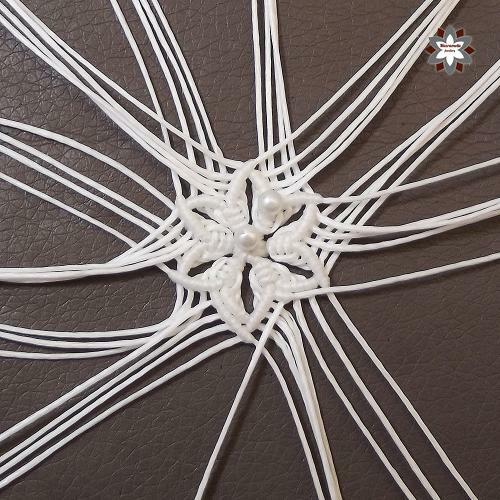 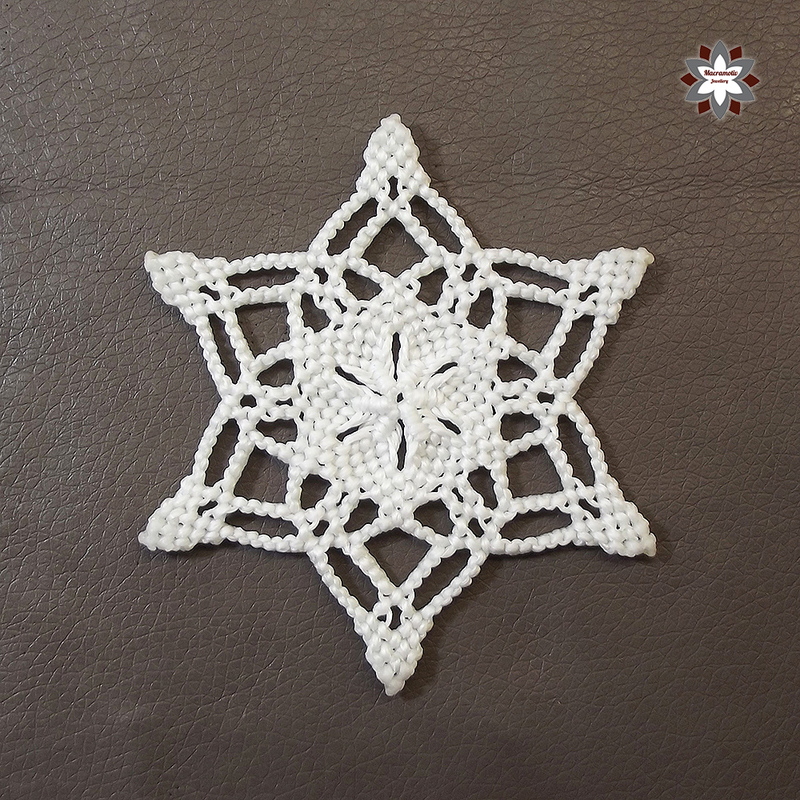 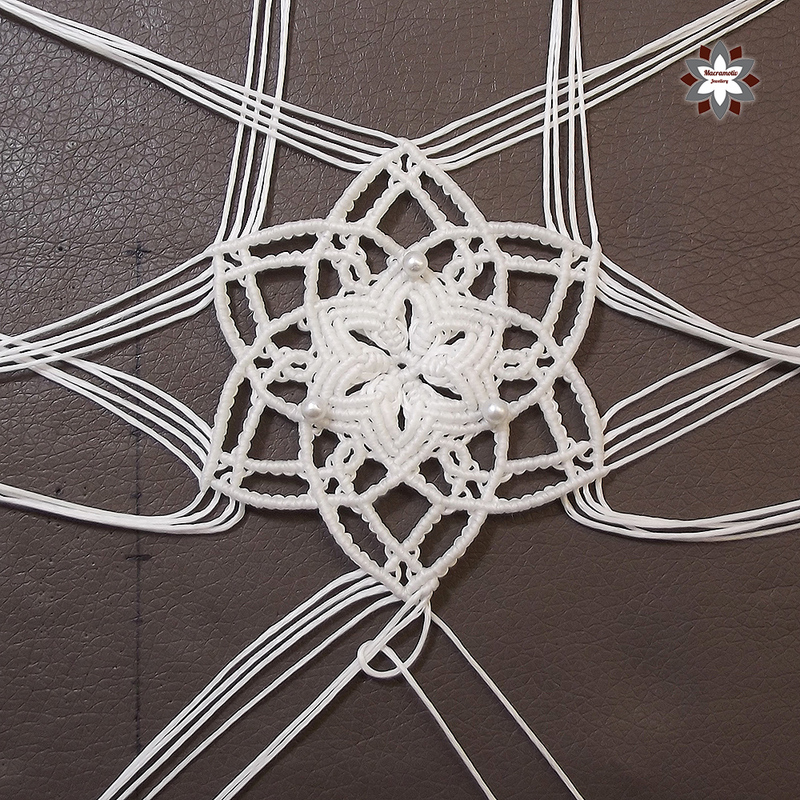 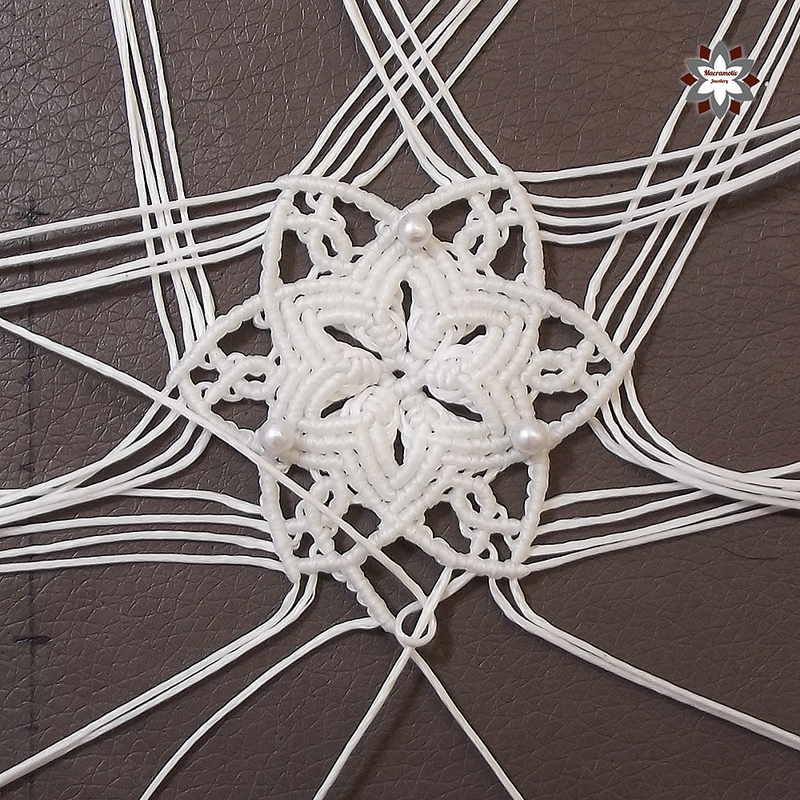 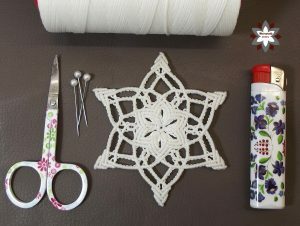 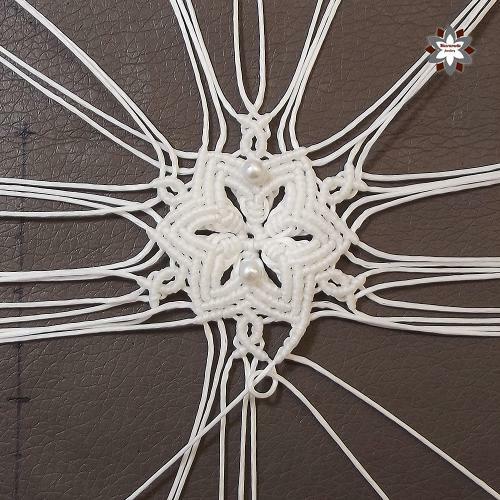 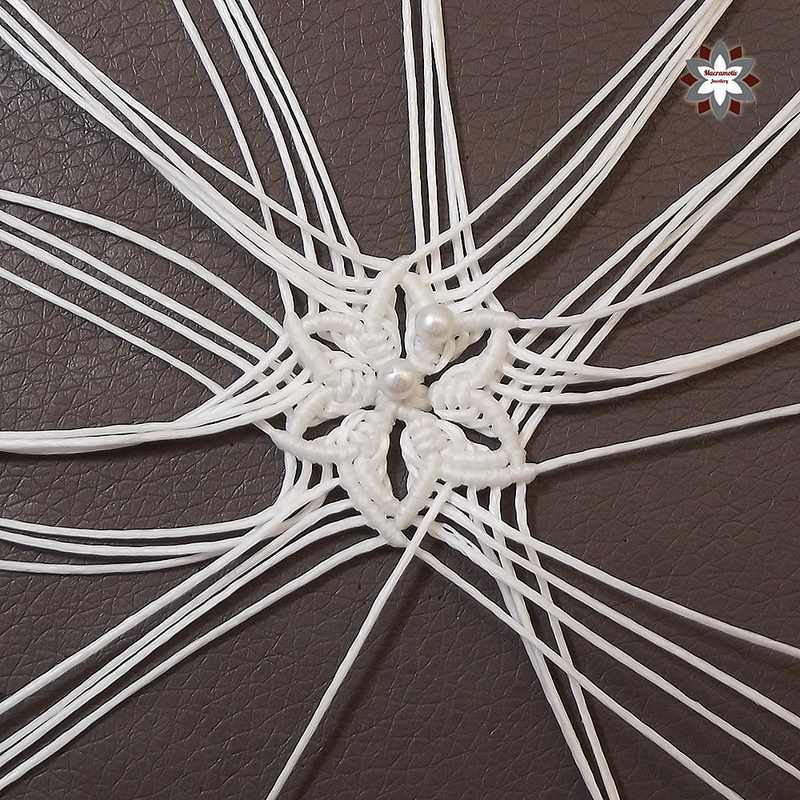 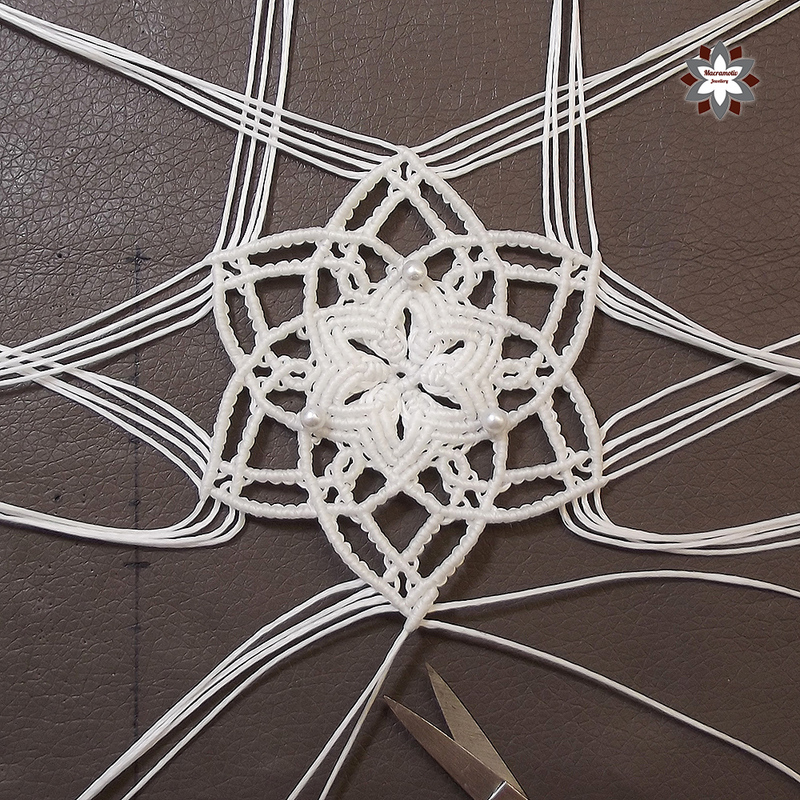 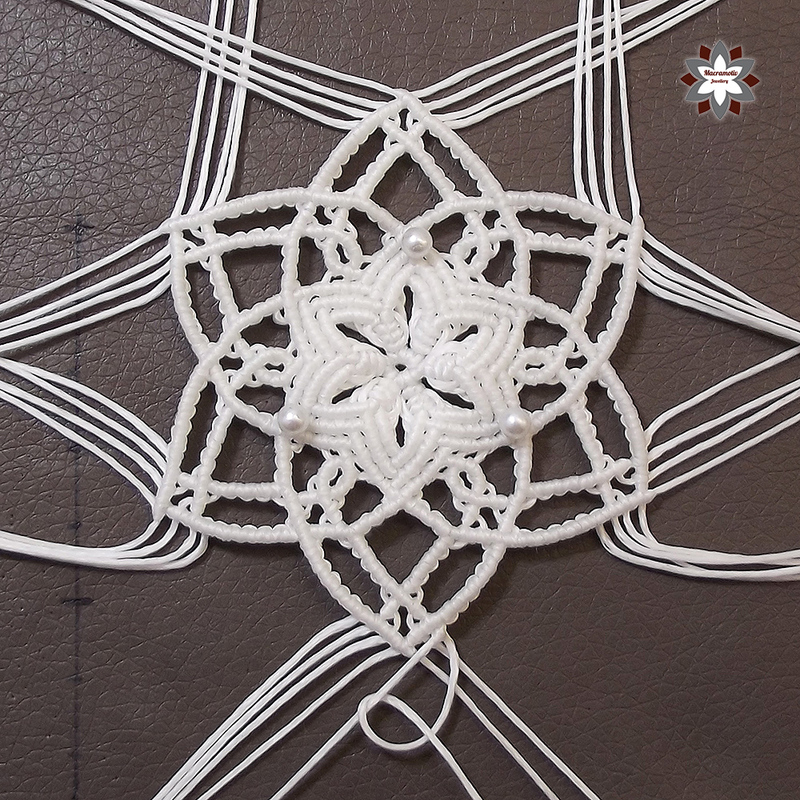 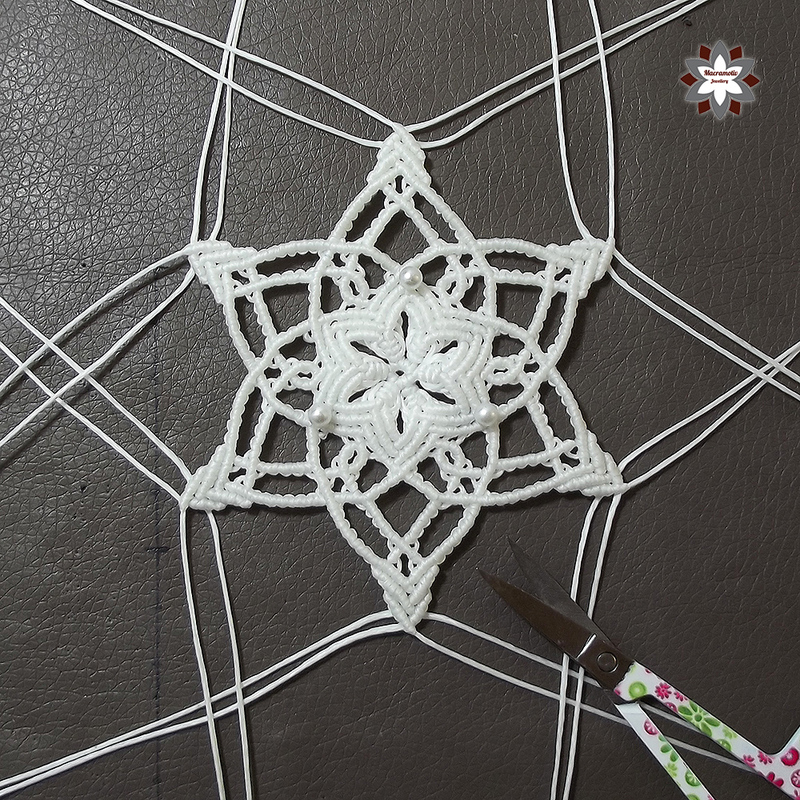 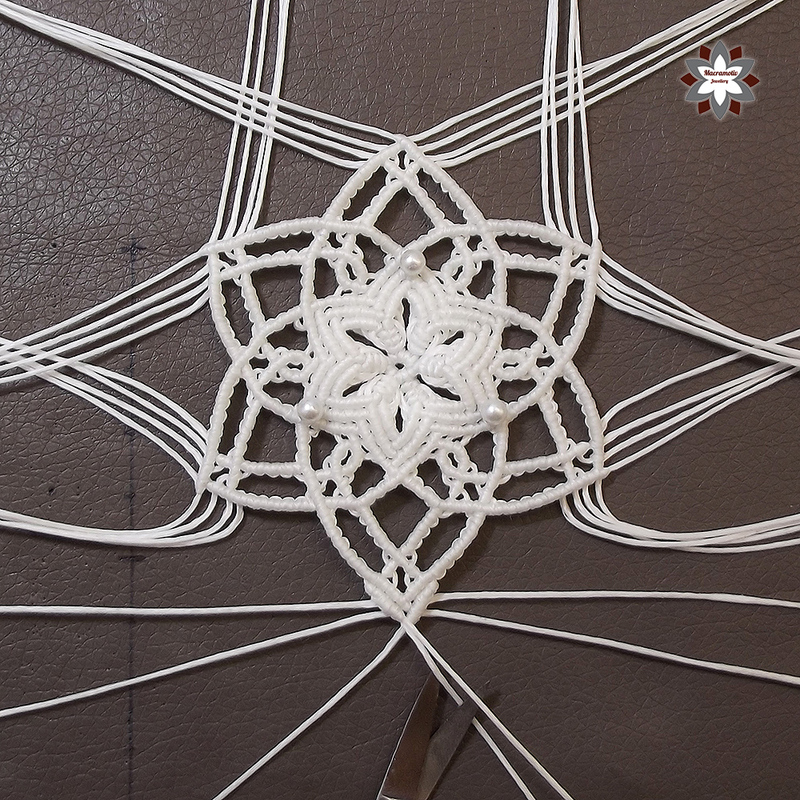 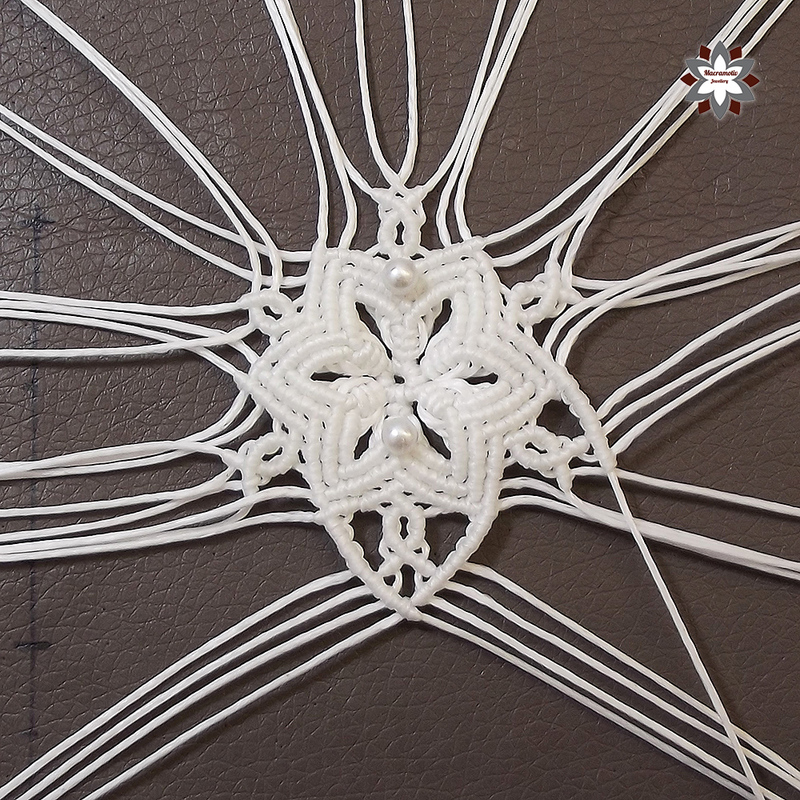 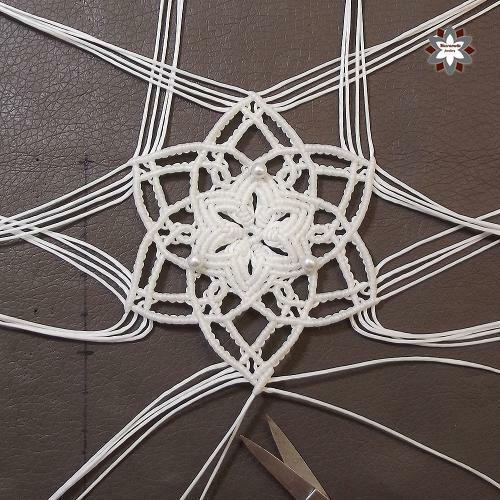 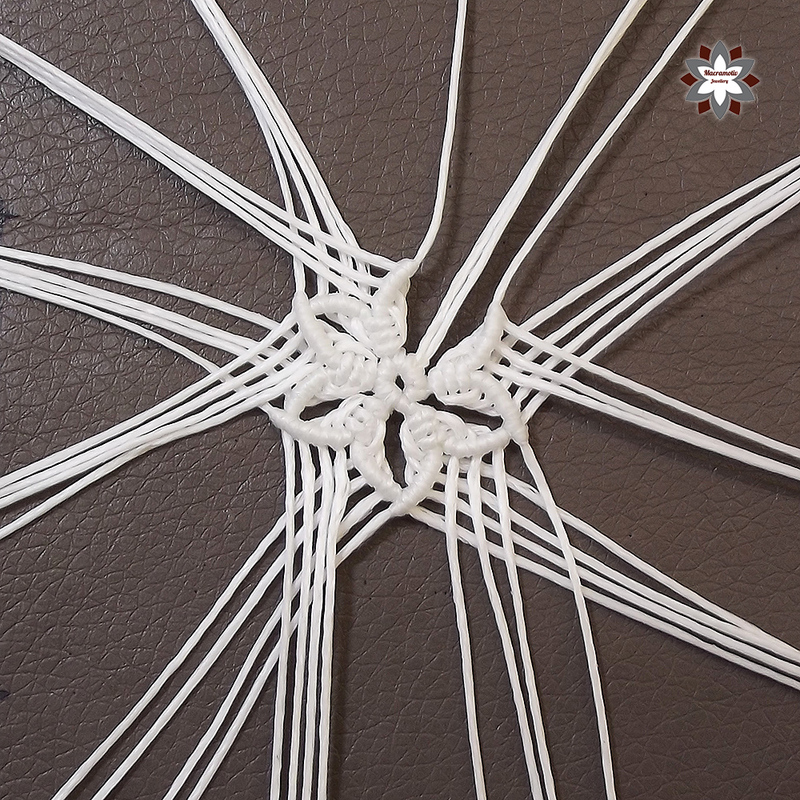 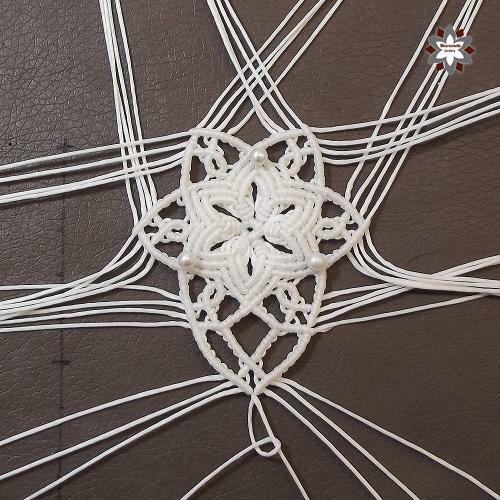 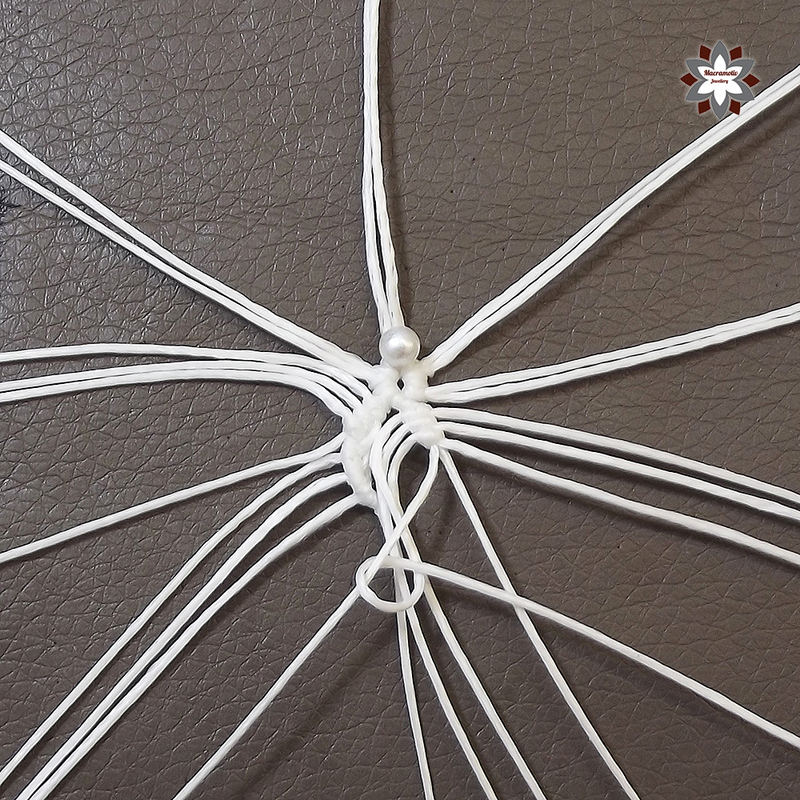 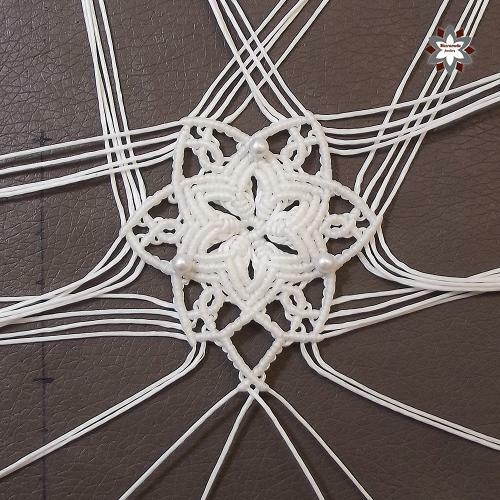 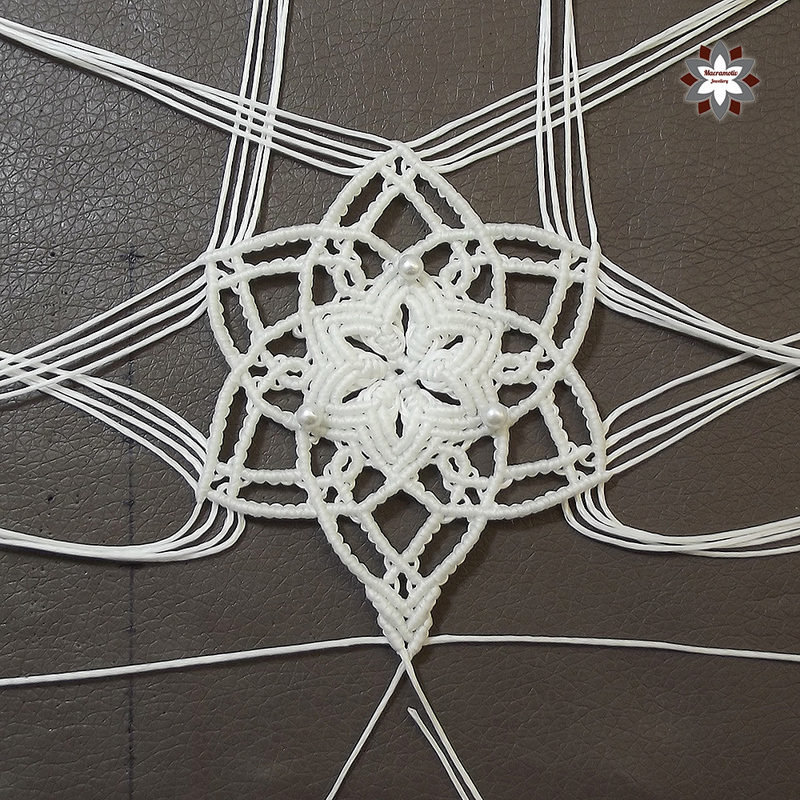 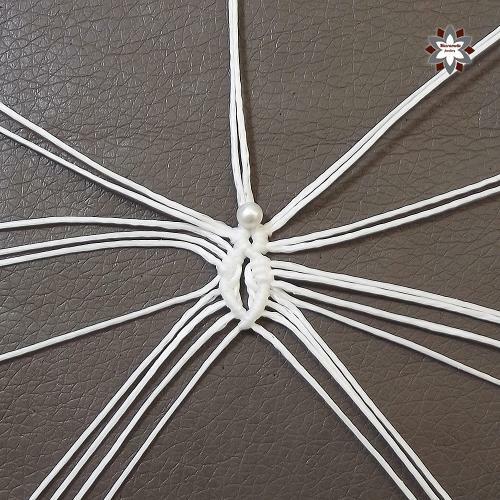 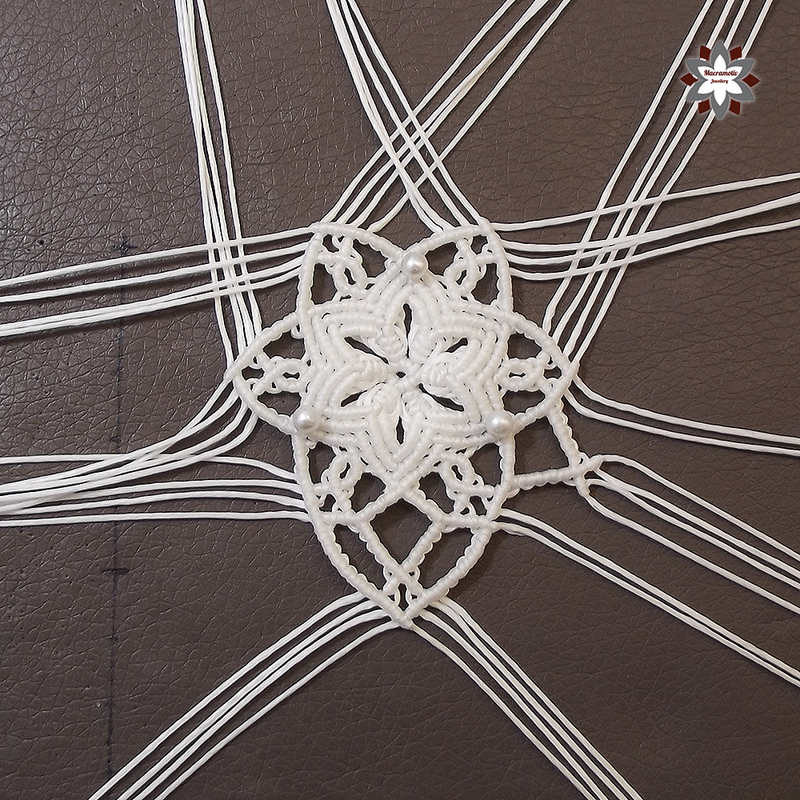 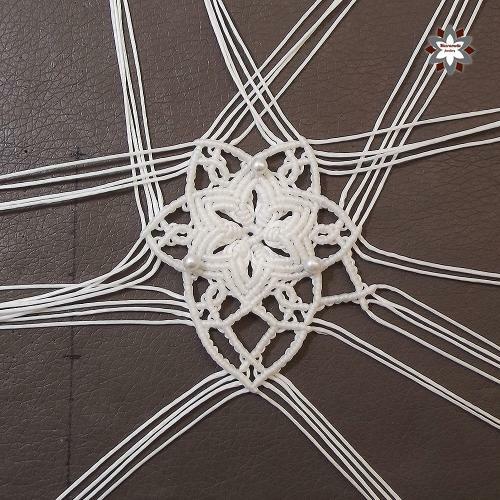 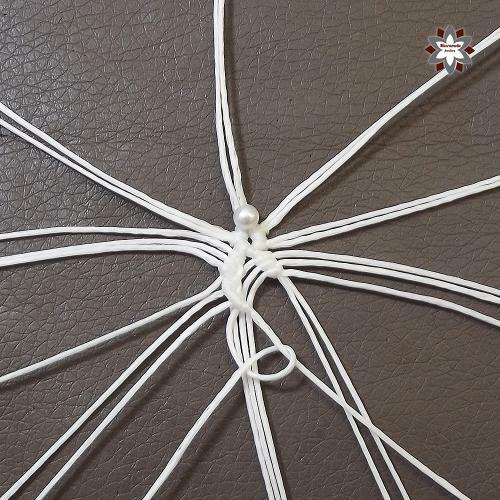 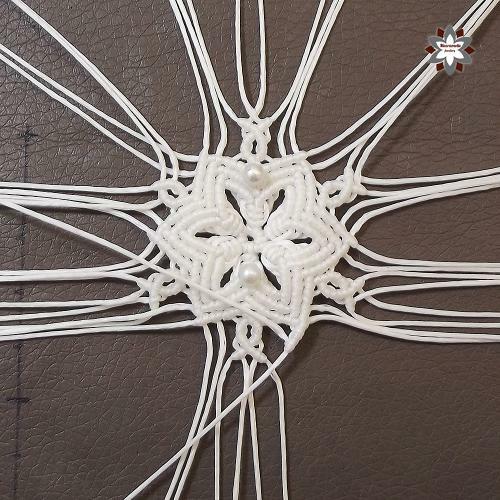 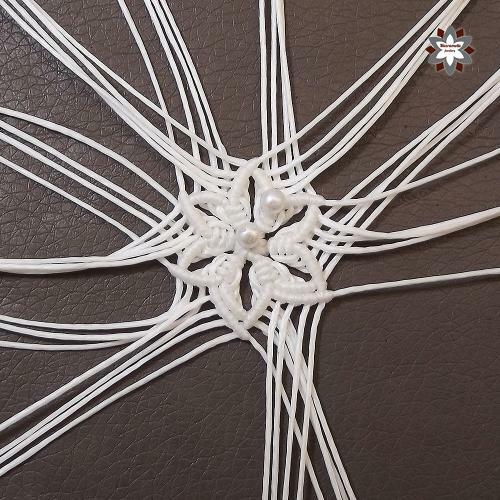 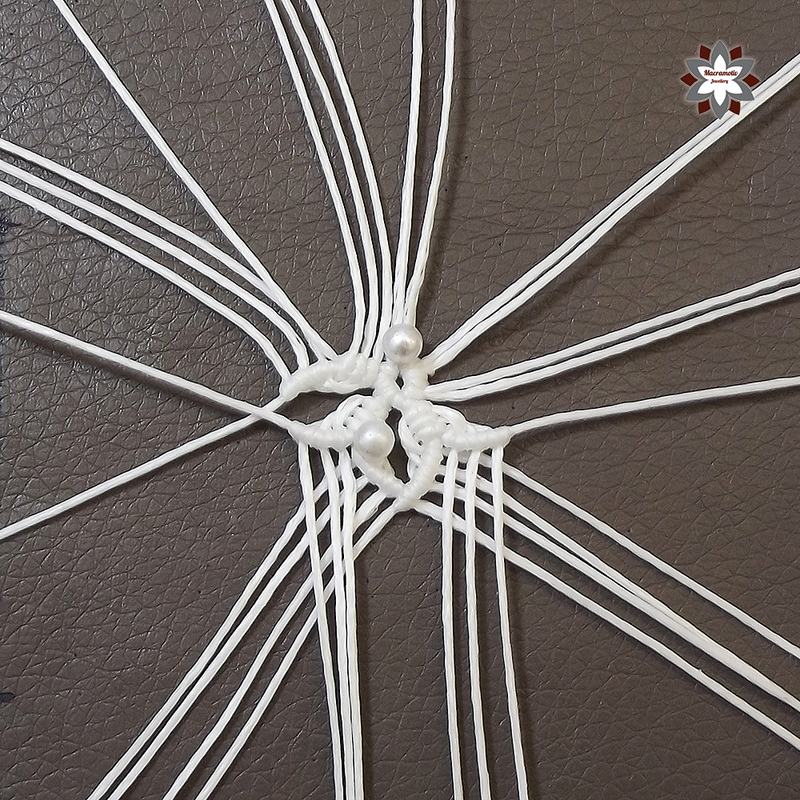 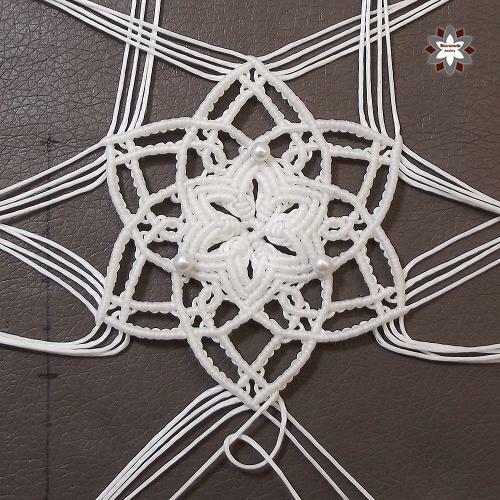 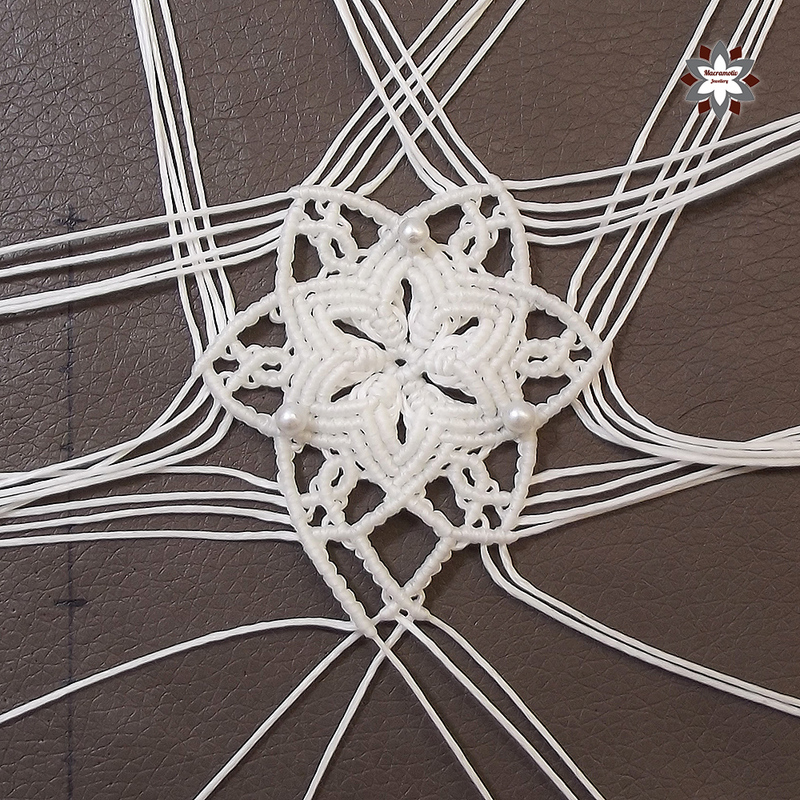 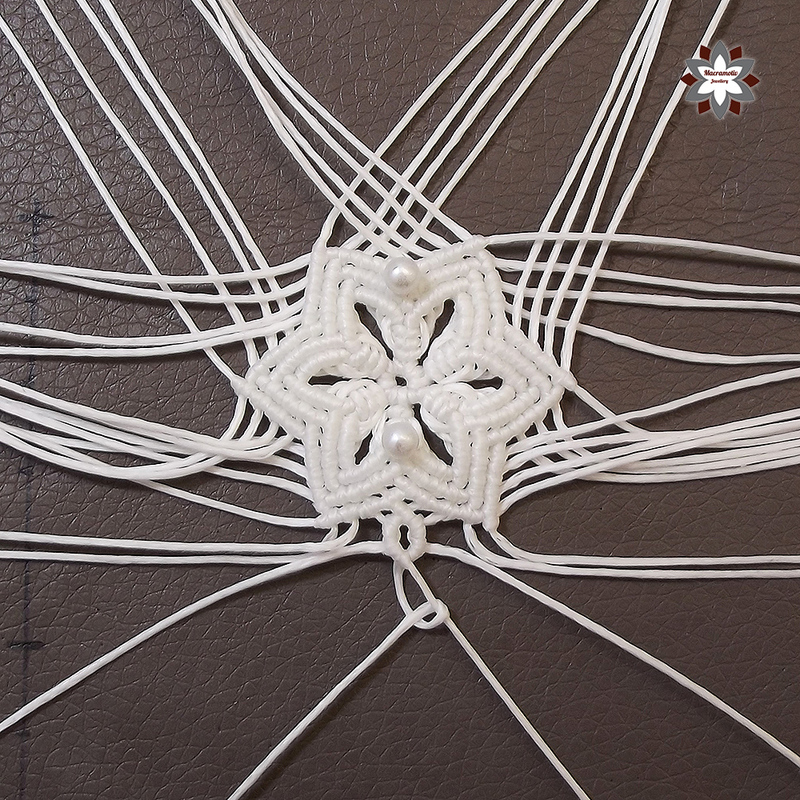 If you want, you can add more cords and play with these patterns to get larger snowflakes. 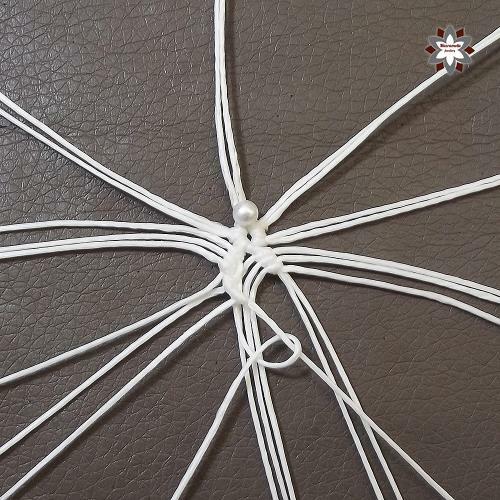 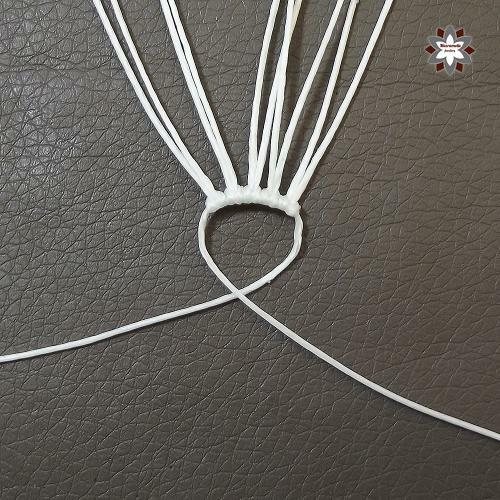 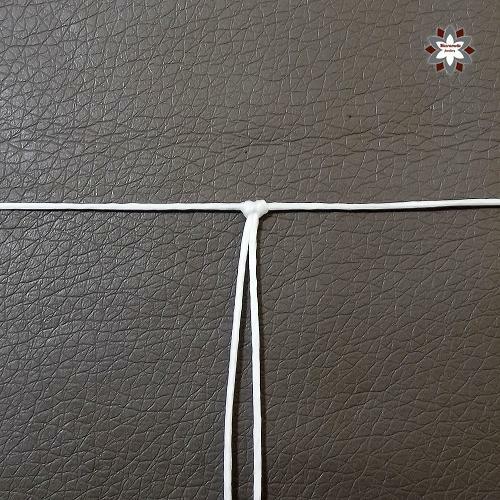 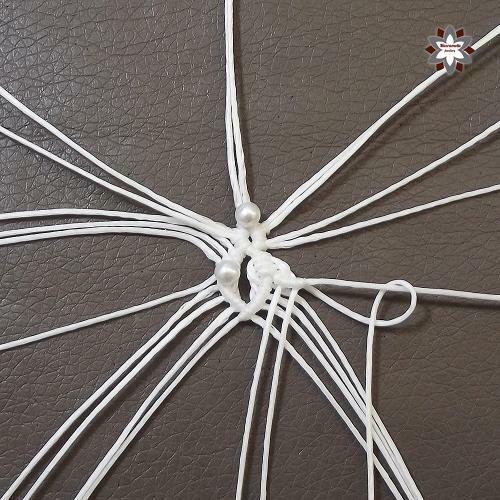 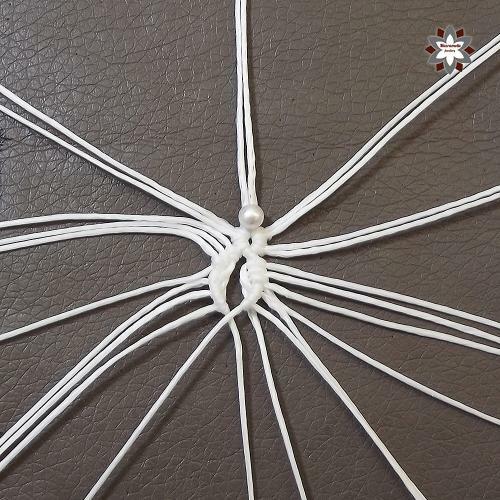 24 x 60cm waxed polyester cord (1mm).